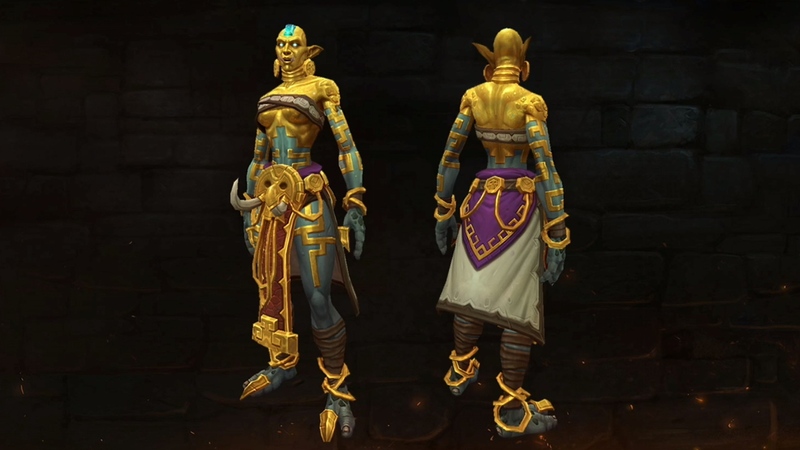 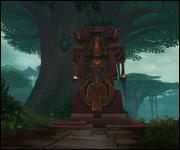 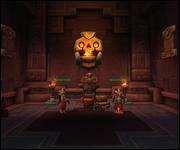 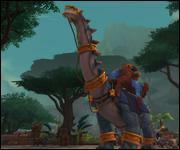 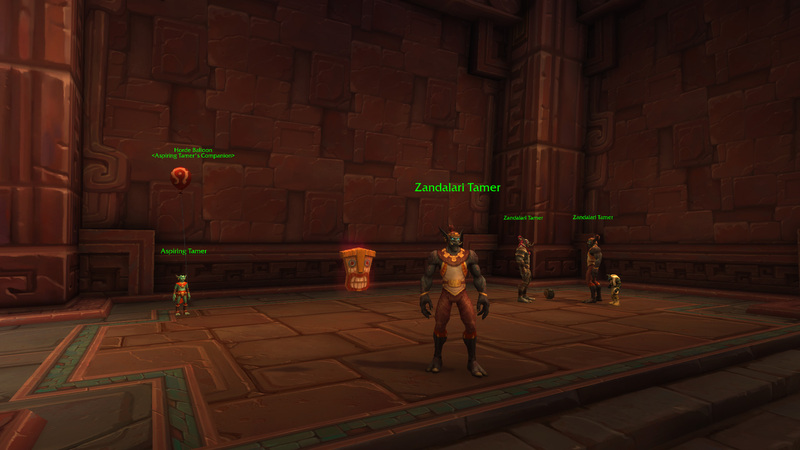 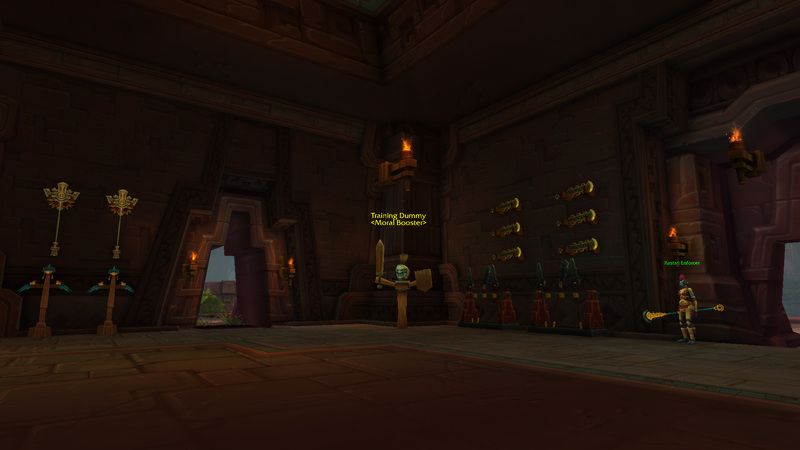 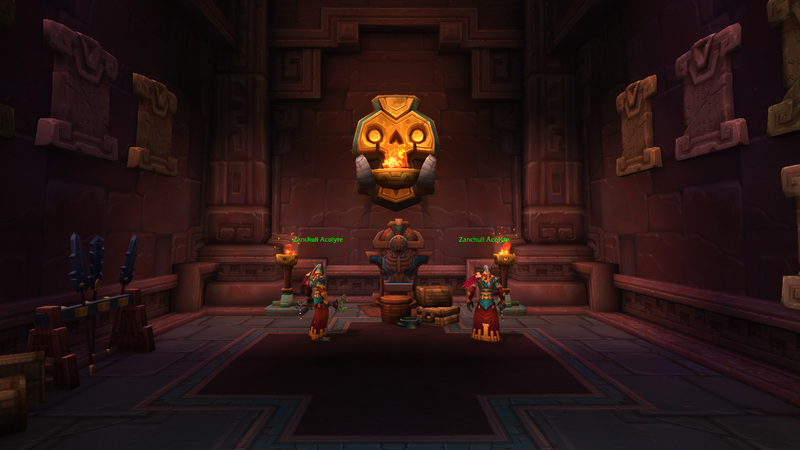 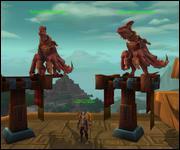 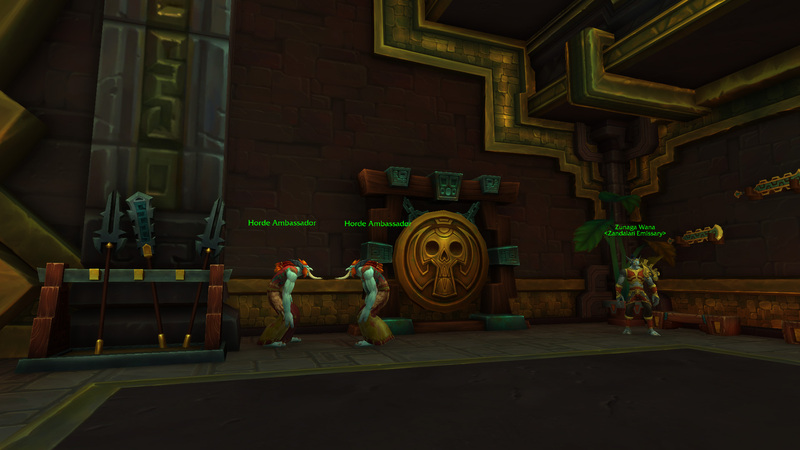 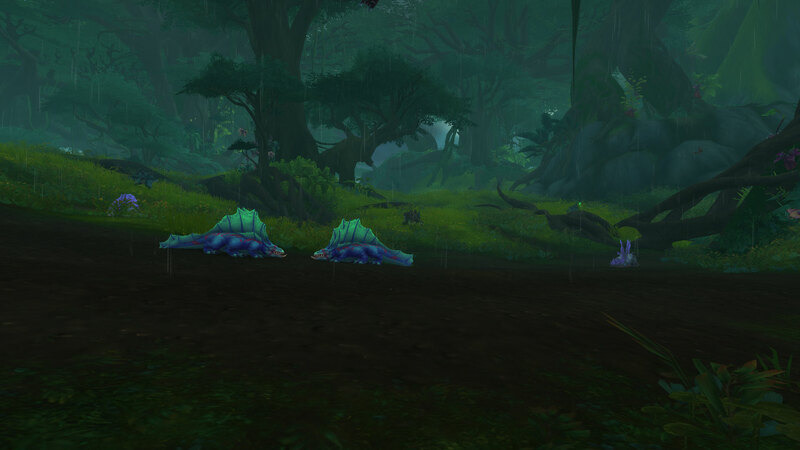 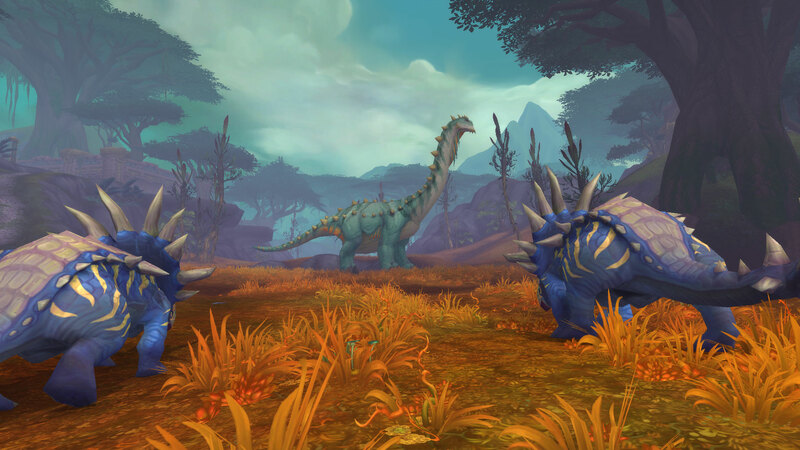 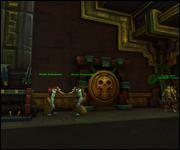 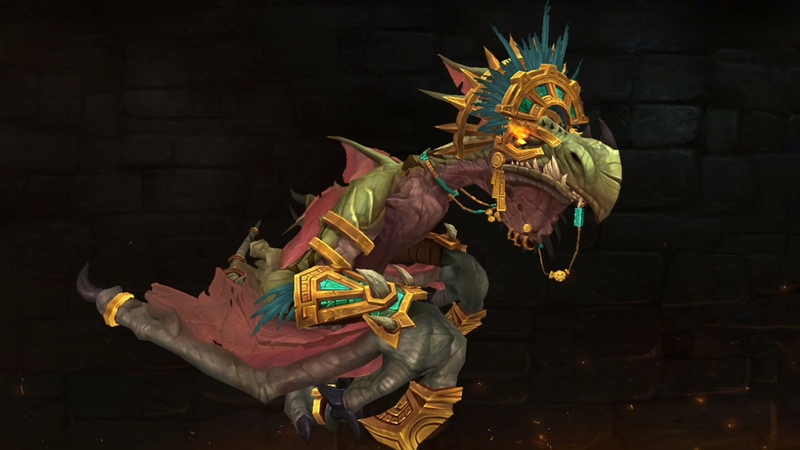 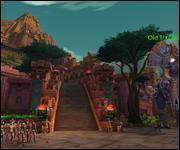 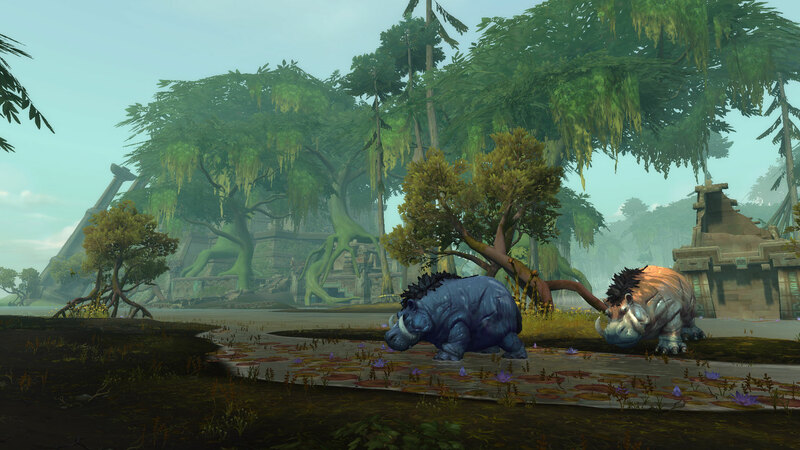 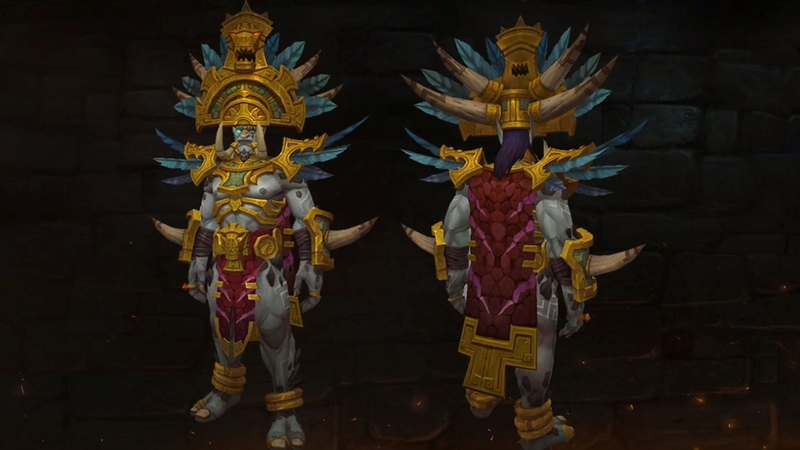 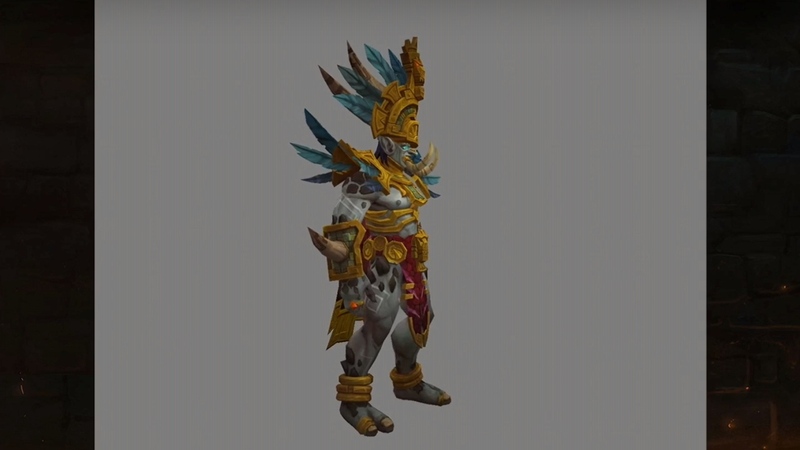 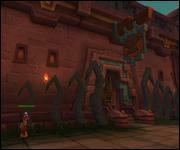 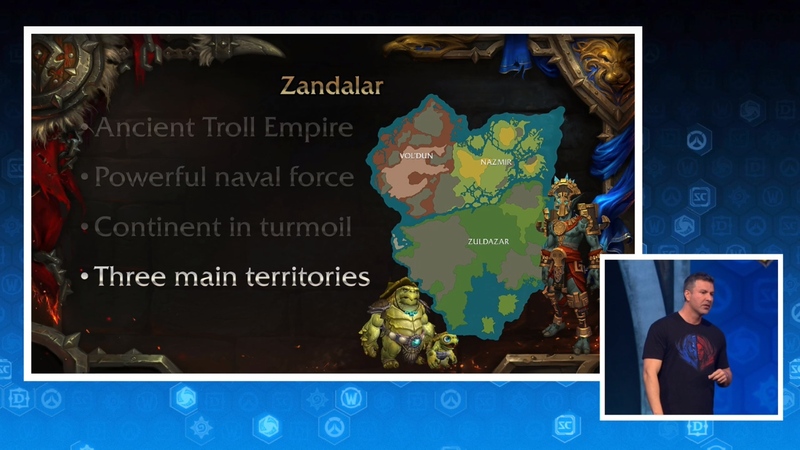 The Zandalari Empire formed 16,000 years ago. 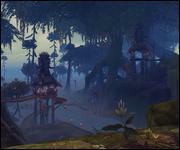 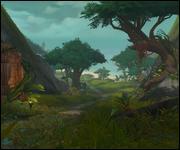 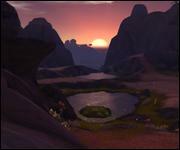 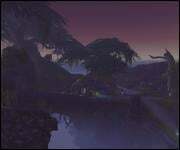 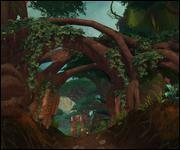 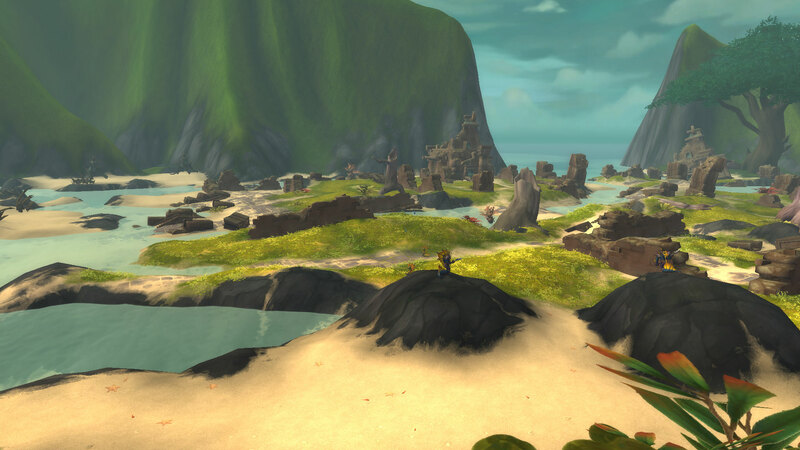 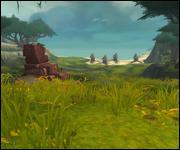 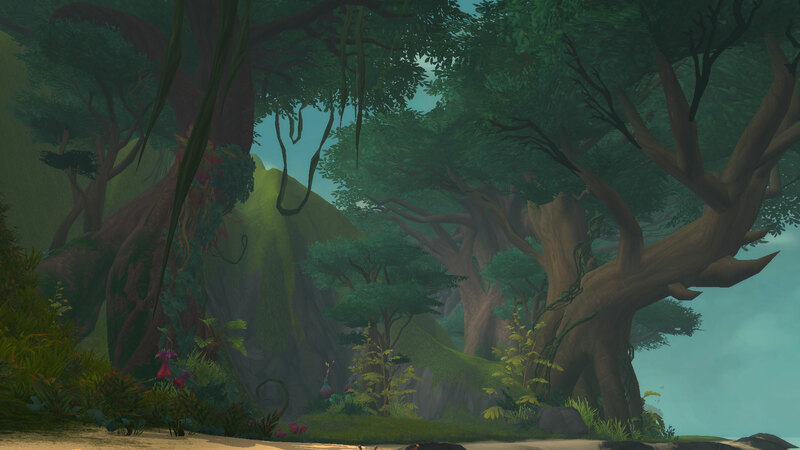 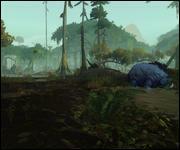 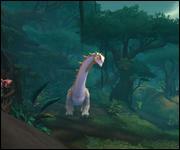 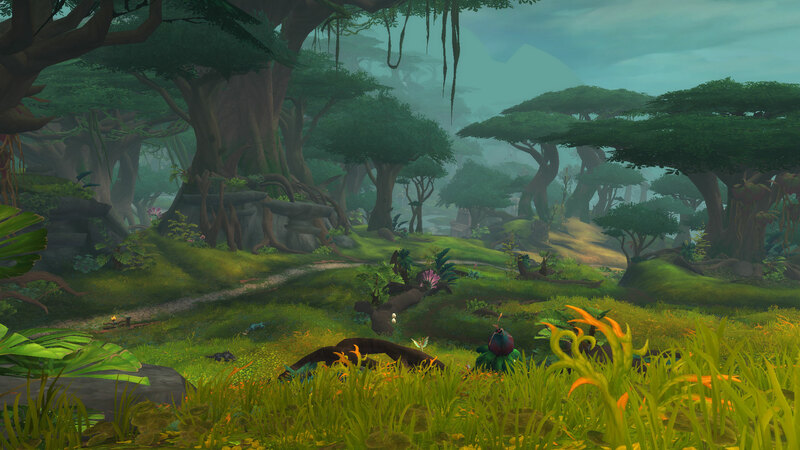 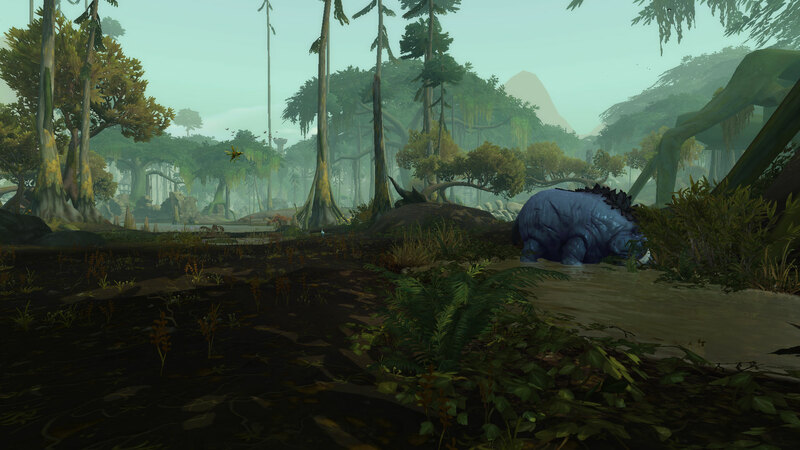 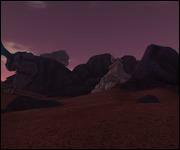 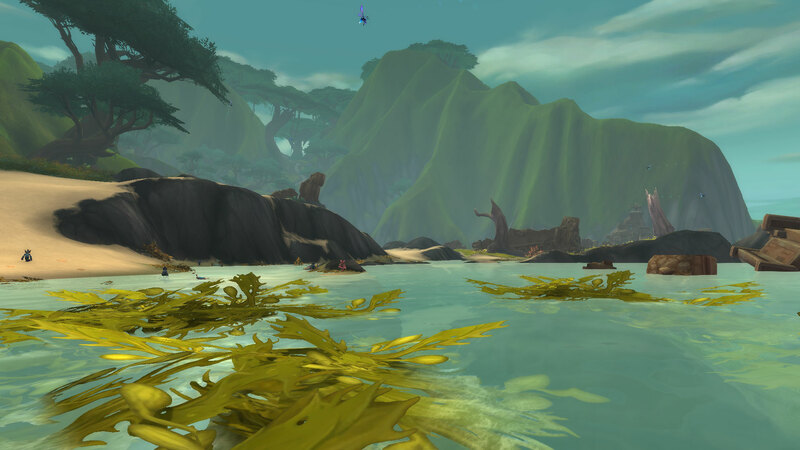 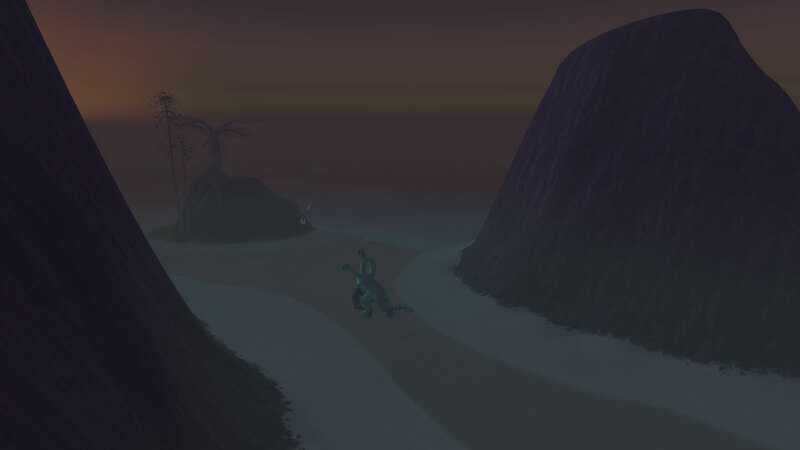 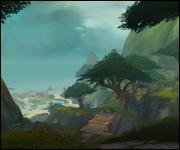 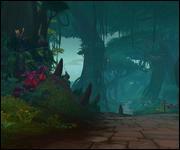 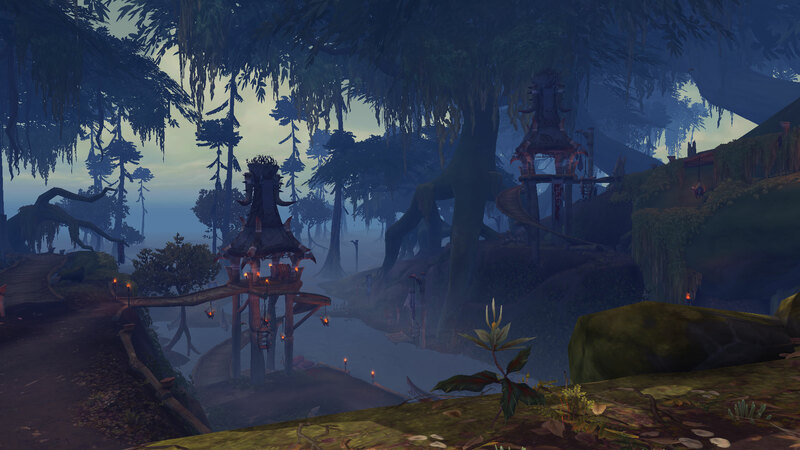 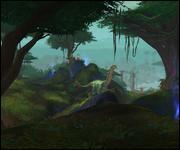 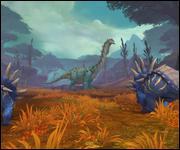 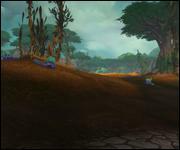 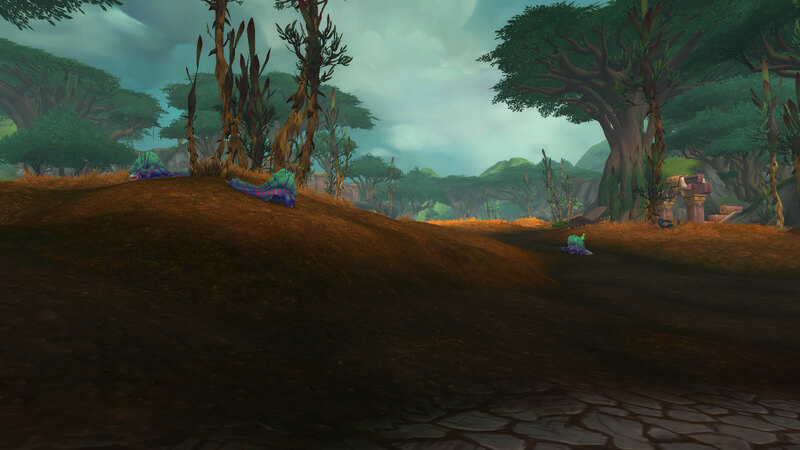 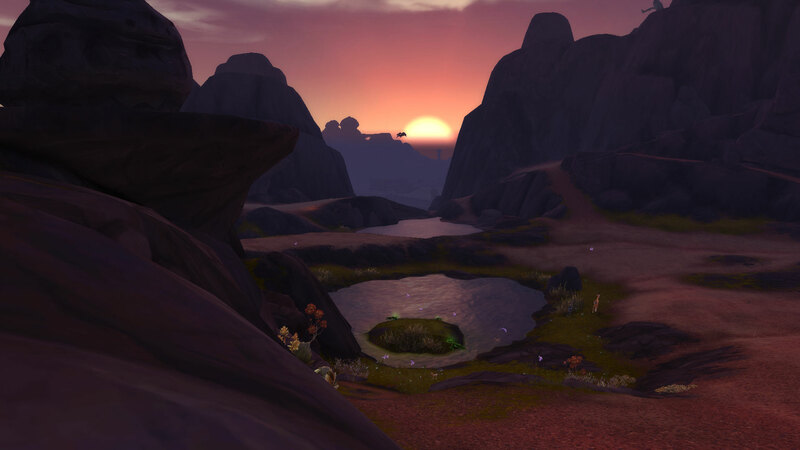 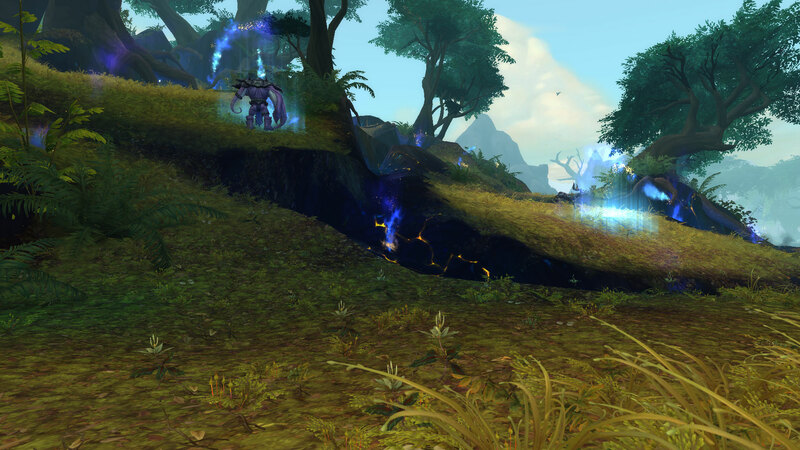 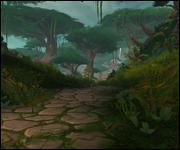 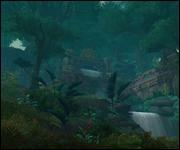 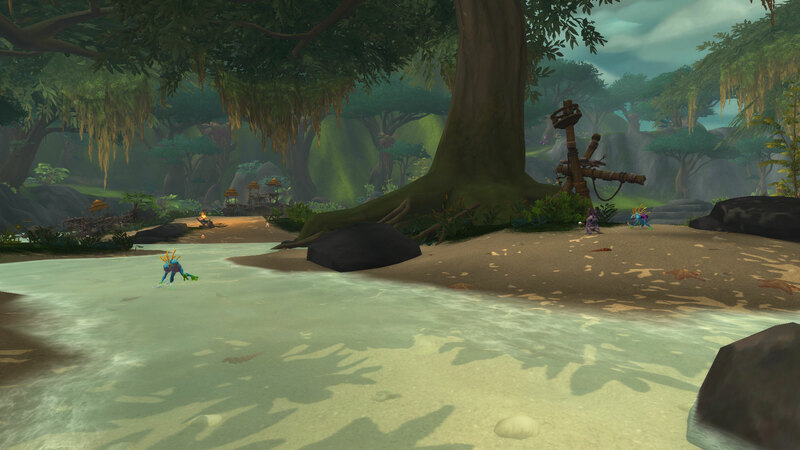 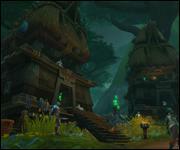 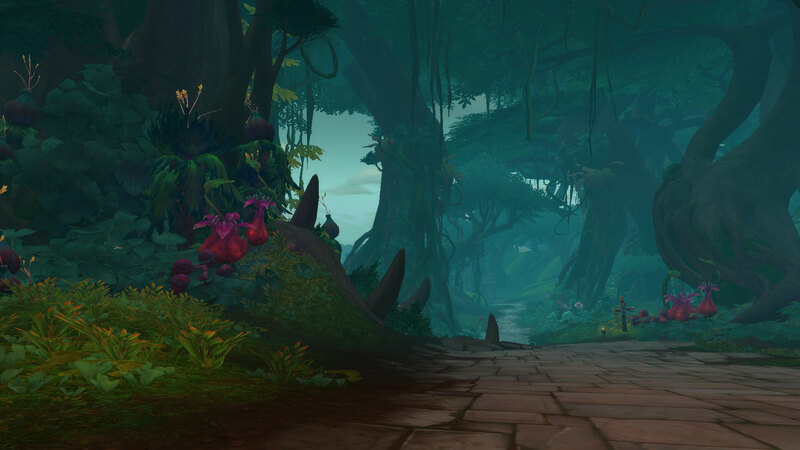 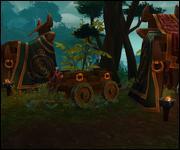 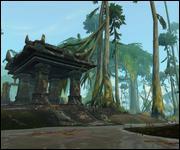 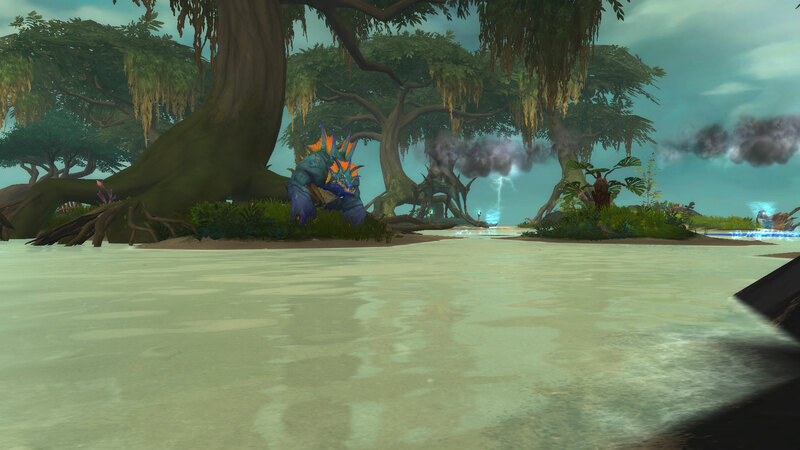 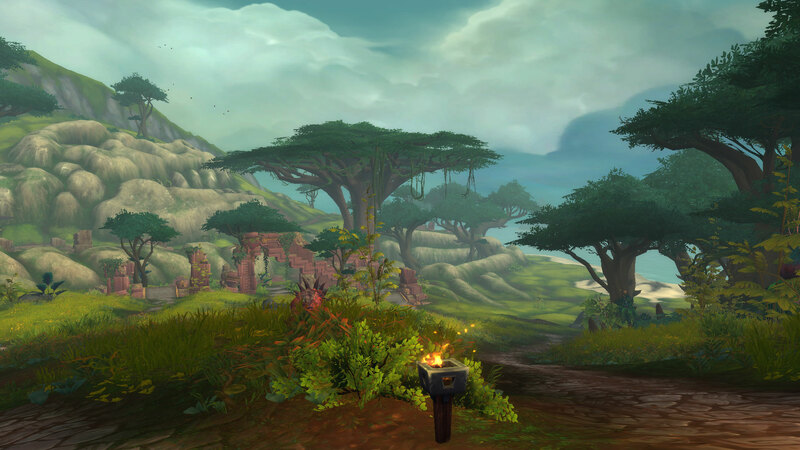 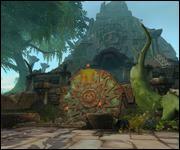 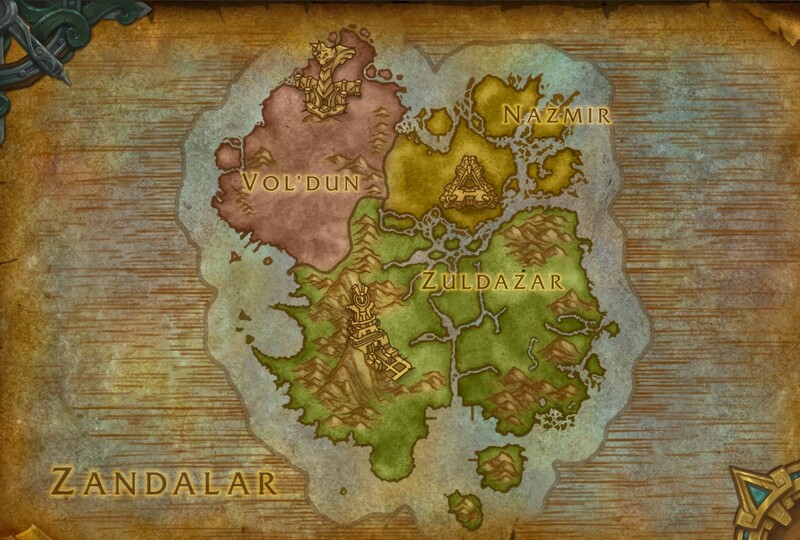 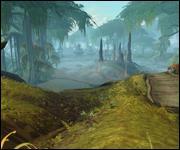 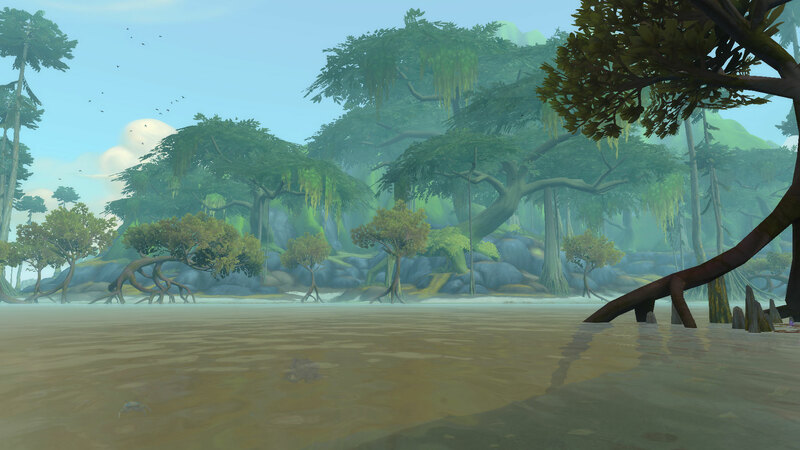 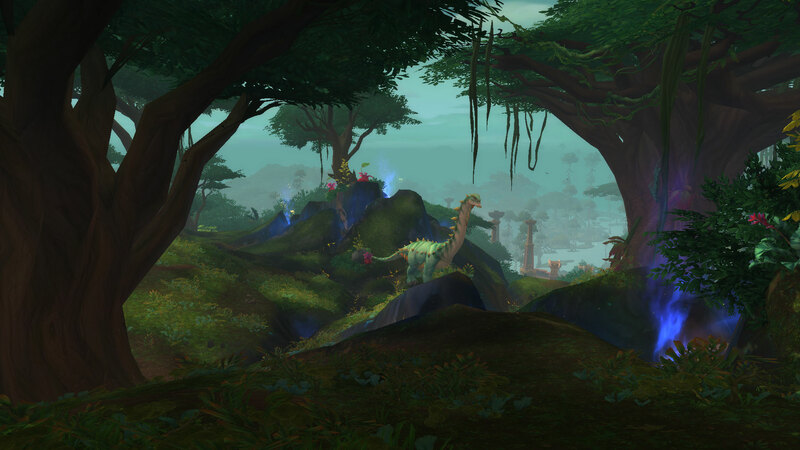 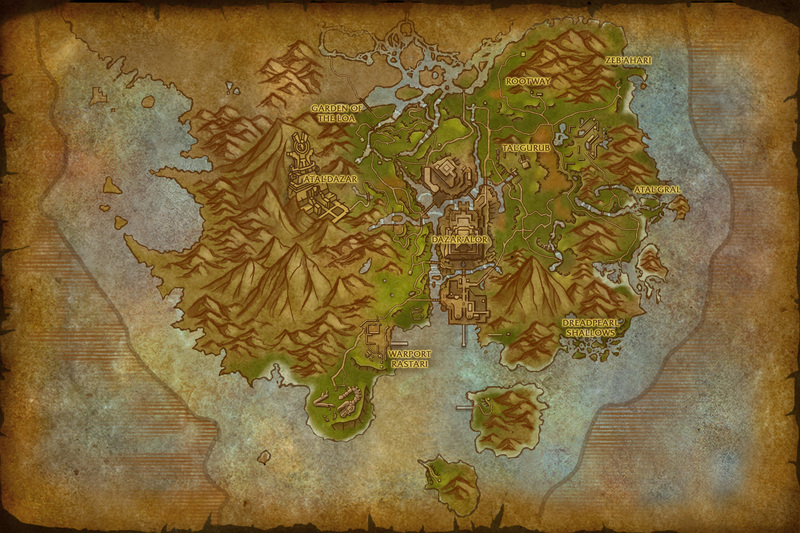 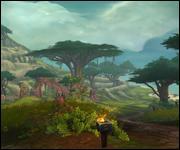 The continent of Zandalar was once a landlocked mountain but the sundering changed that. 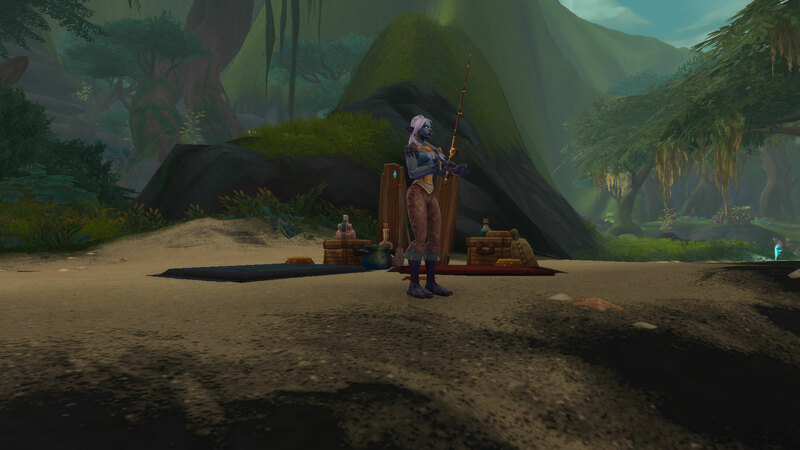 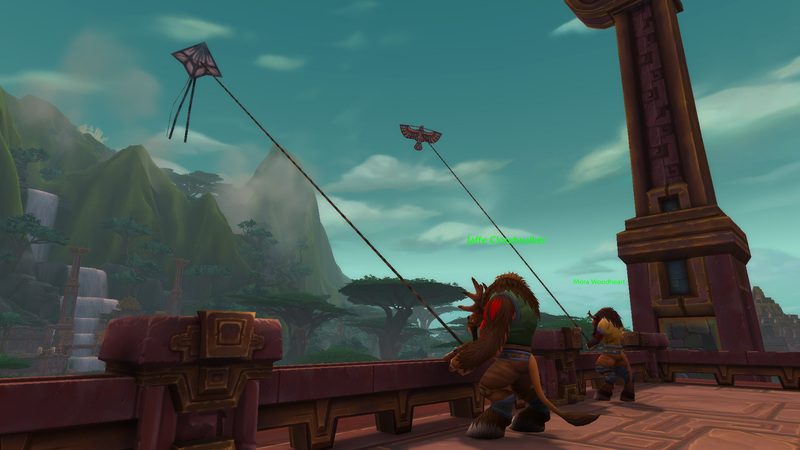 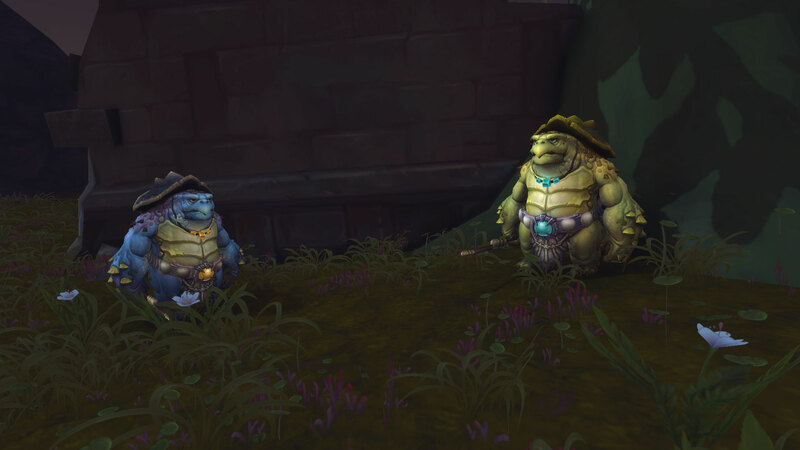 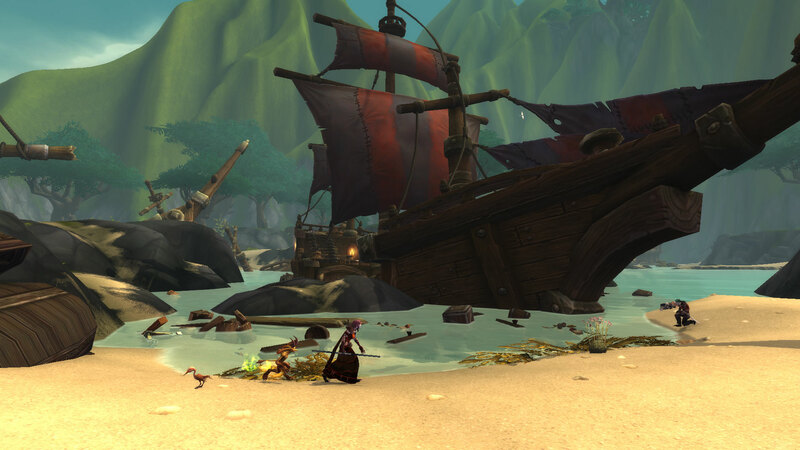 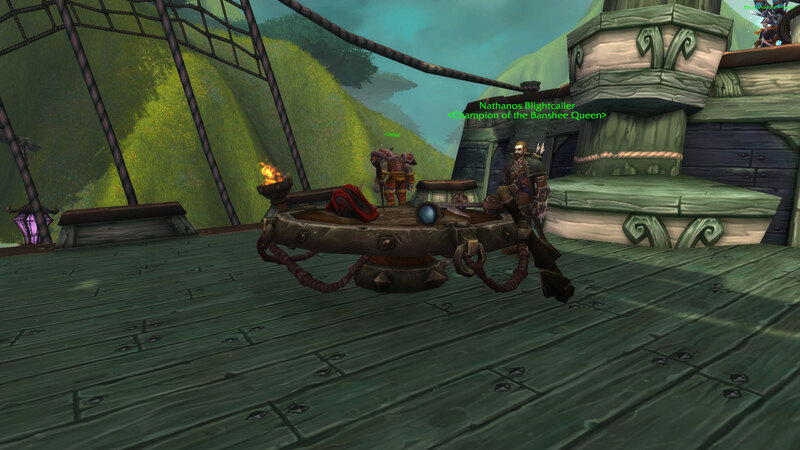 The empire sank into the sea, but the trolls adapted to island life and built a navy that rivals, if not surpasses, Kul Tiras. 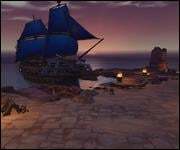 The Horde wants to add this navy to its cause. 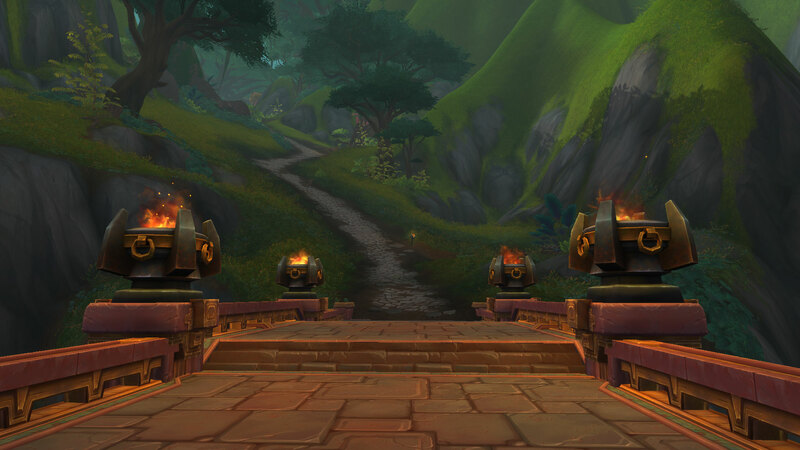 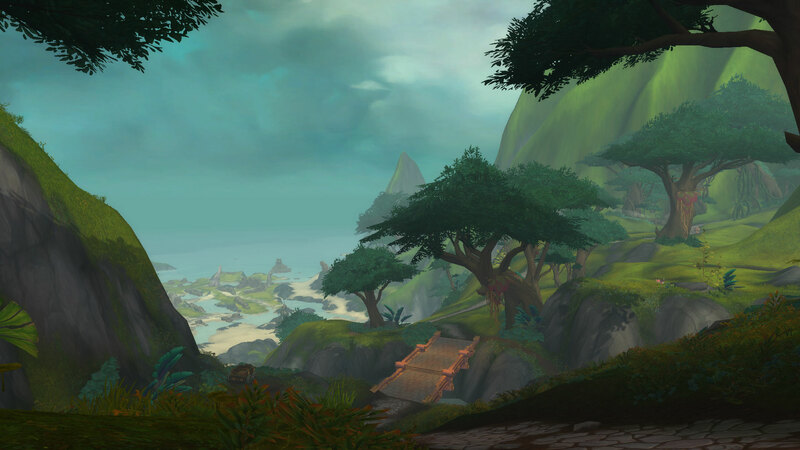 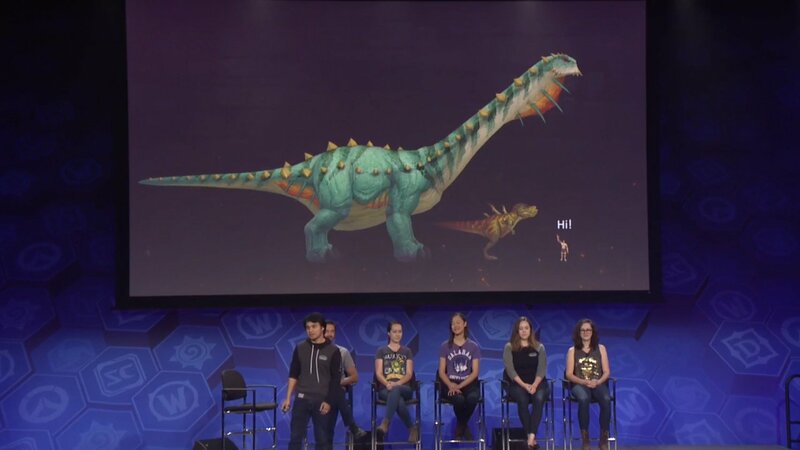 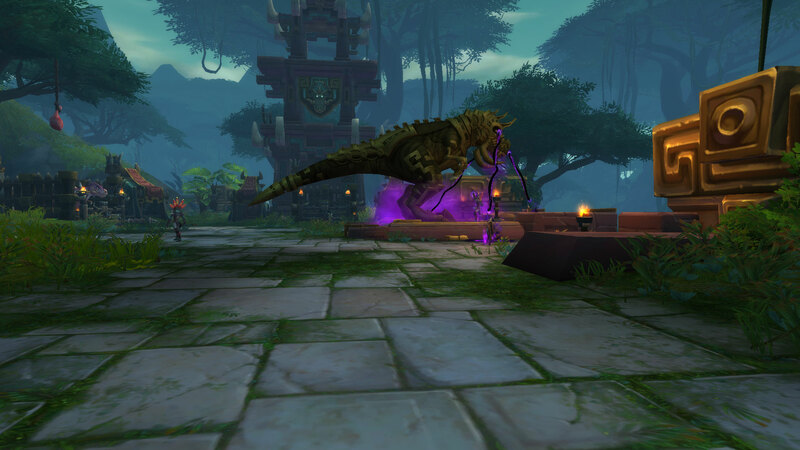 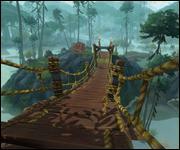 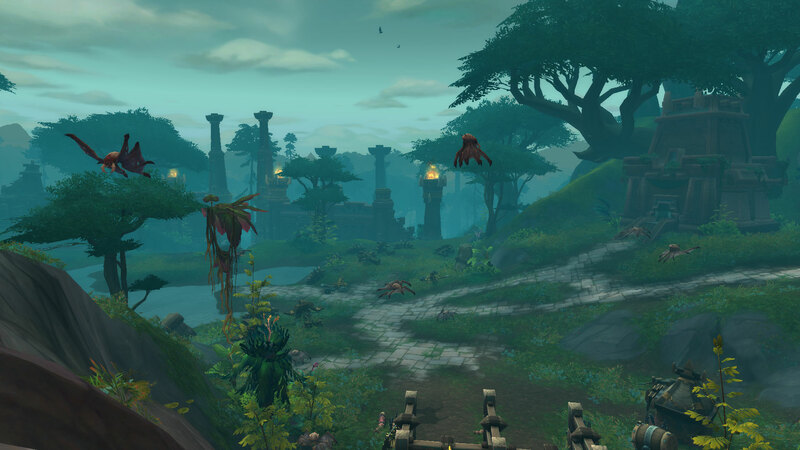 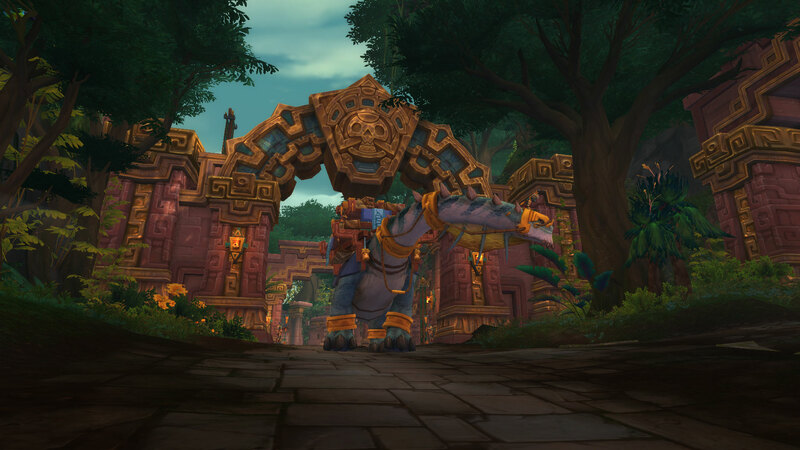 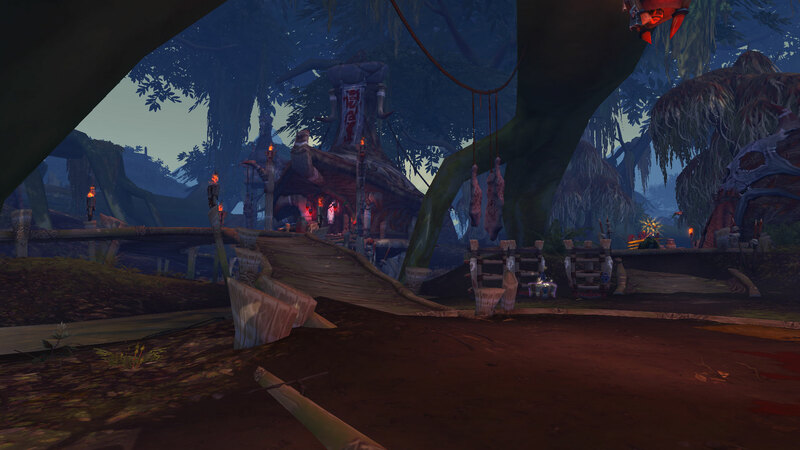 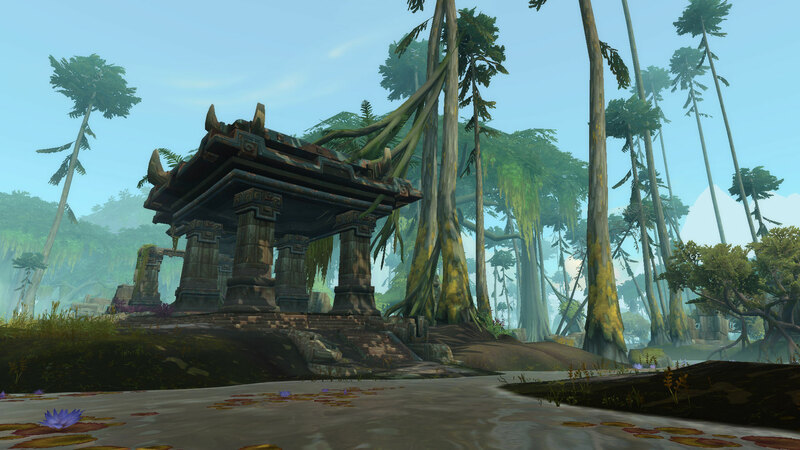 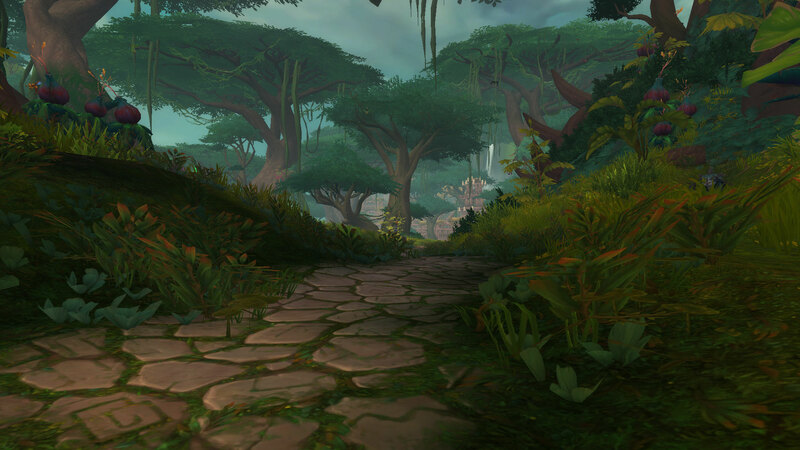 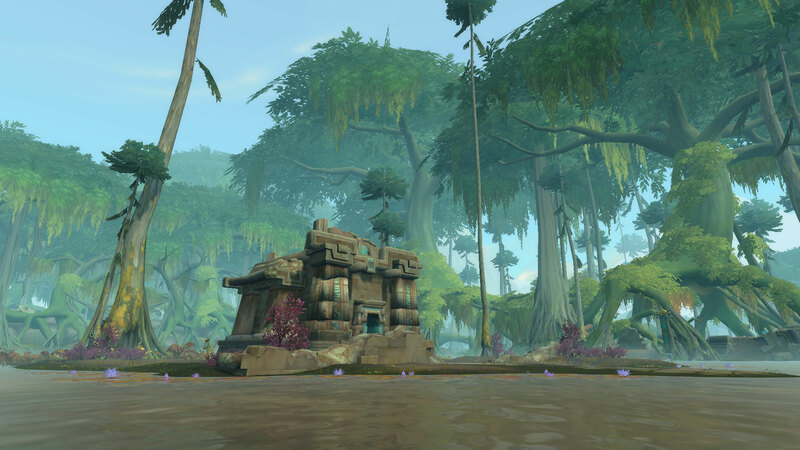 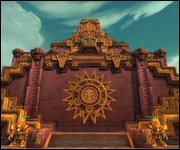 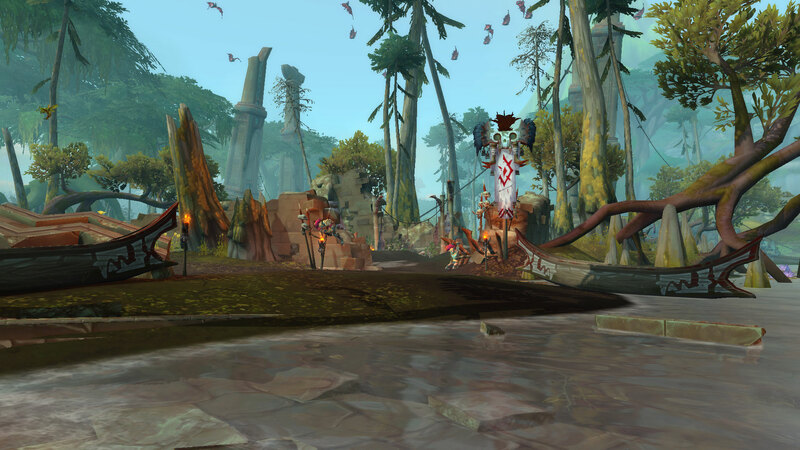 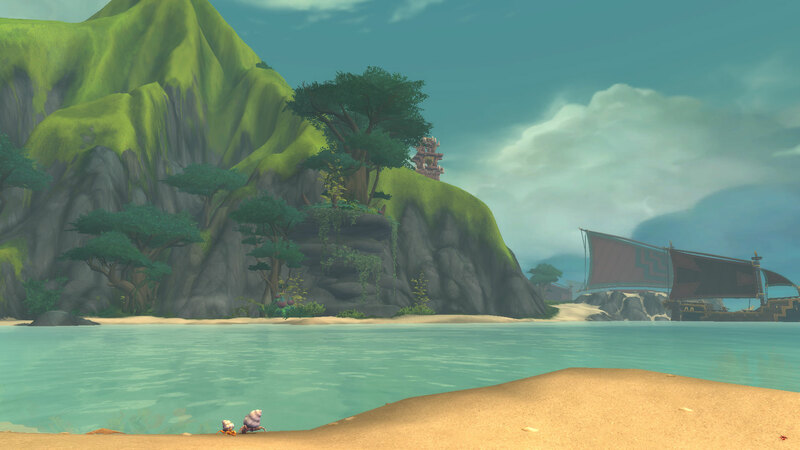 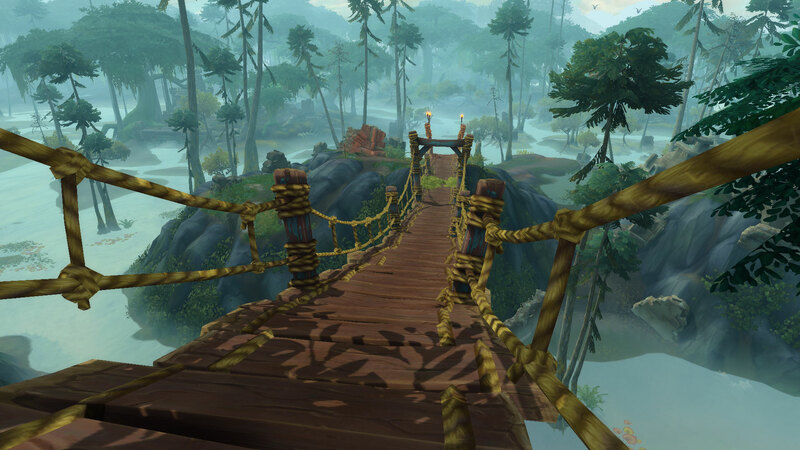 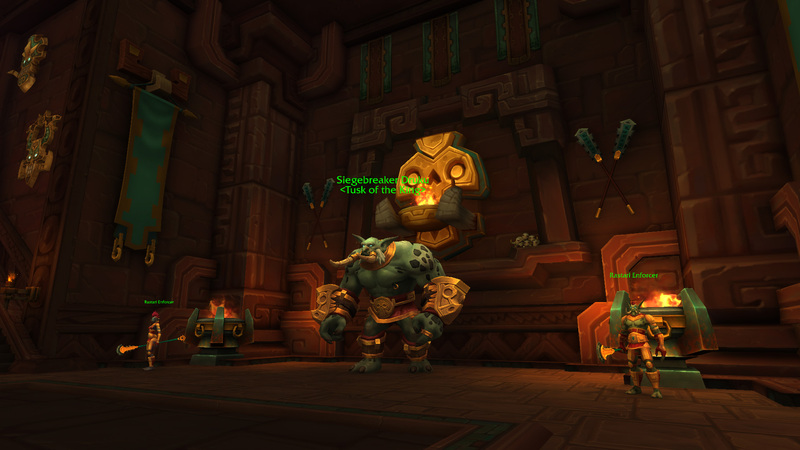 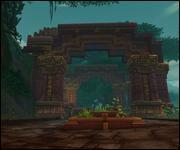 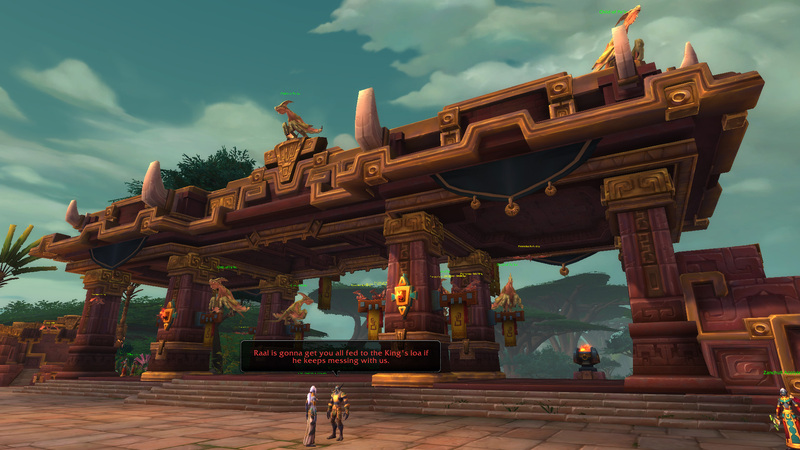 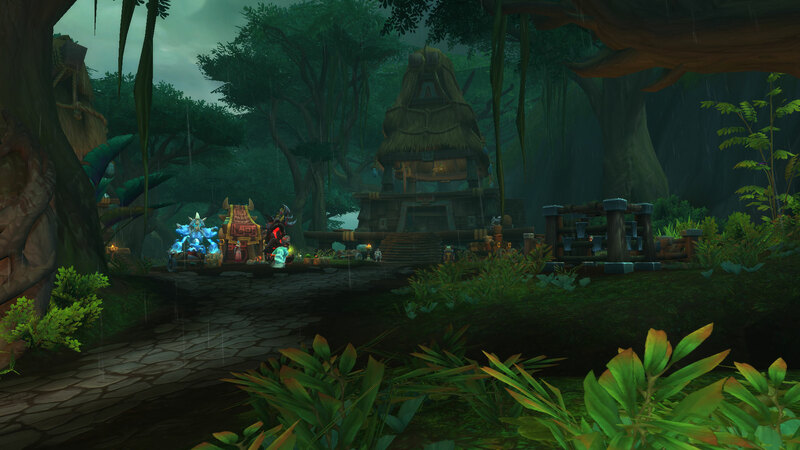 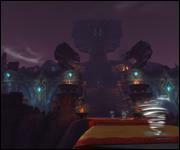 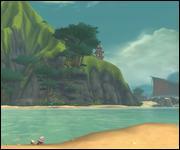 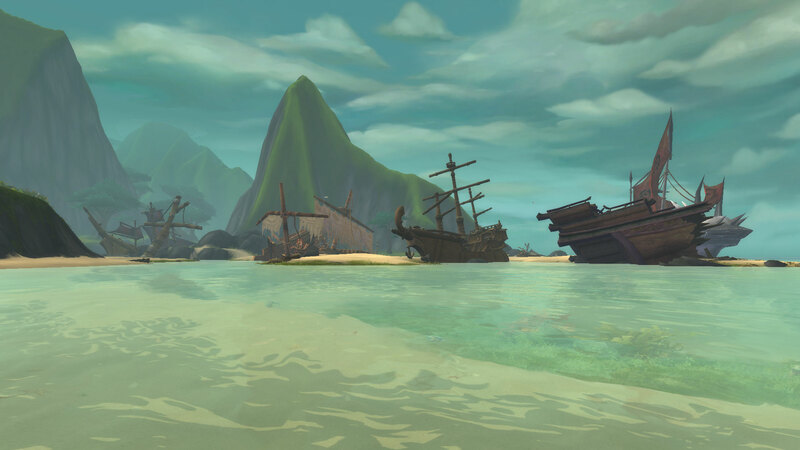 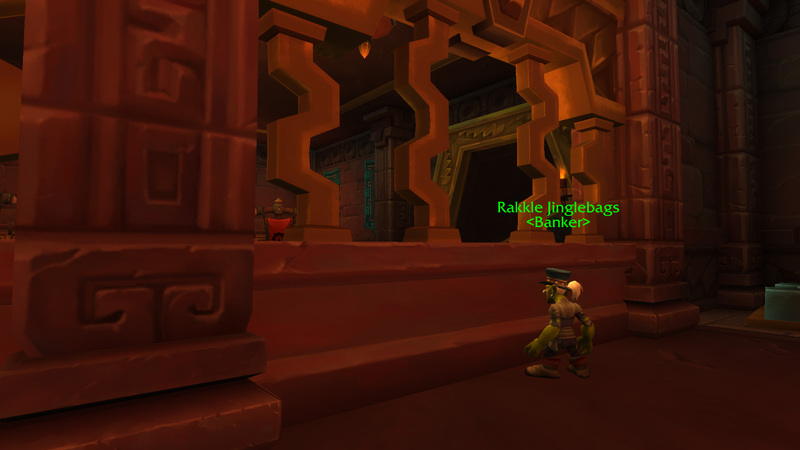 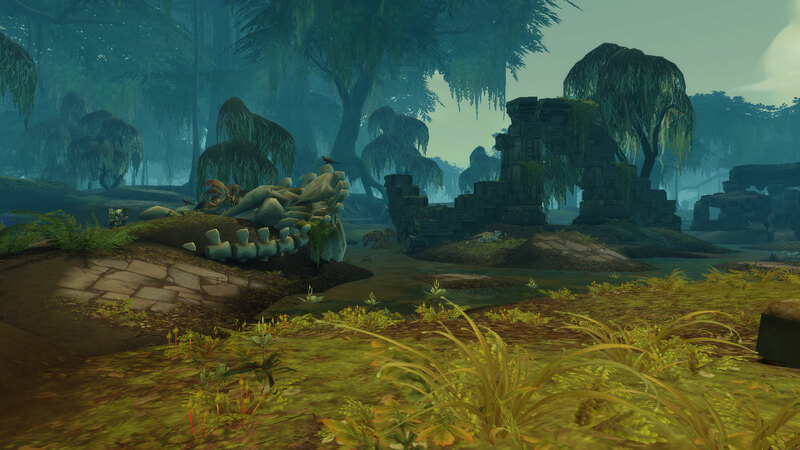 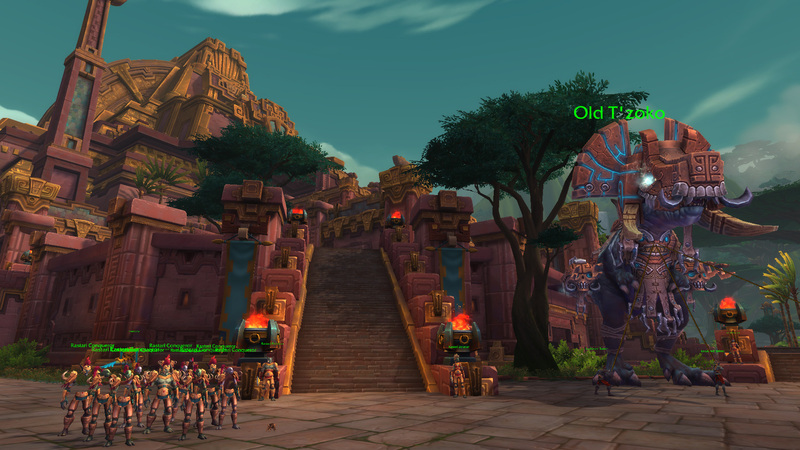 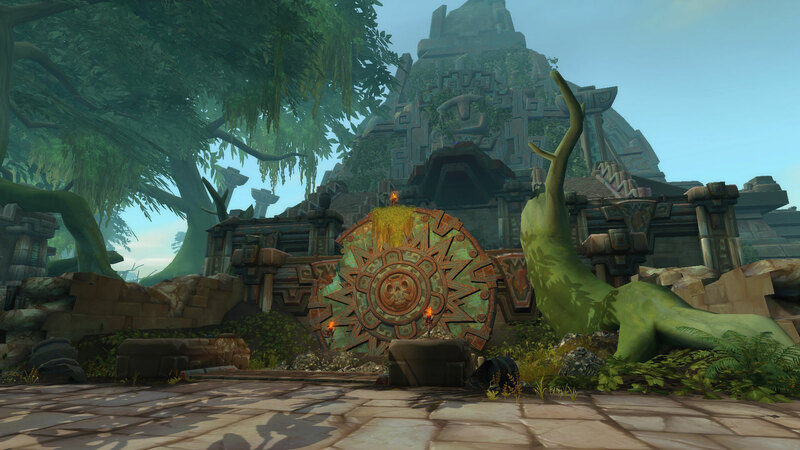 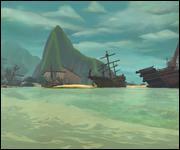 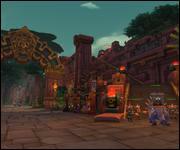 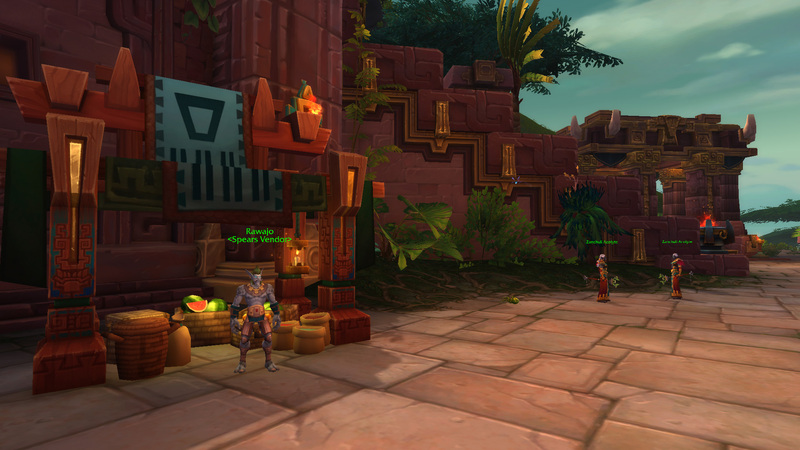 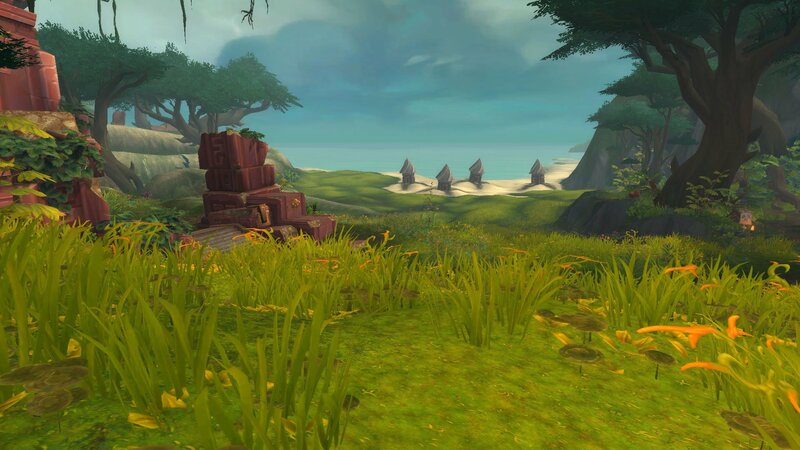 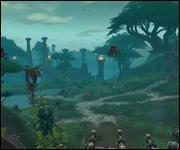 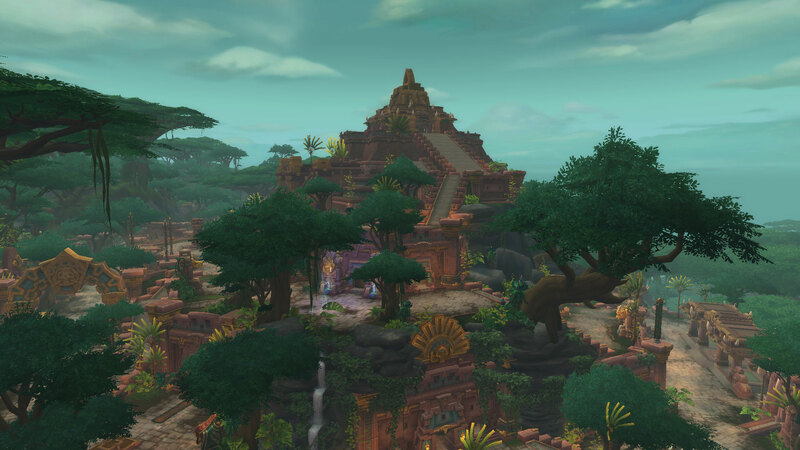 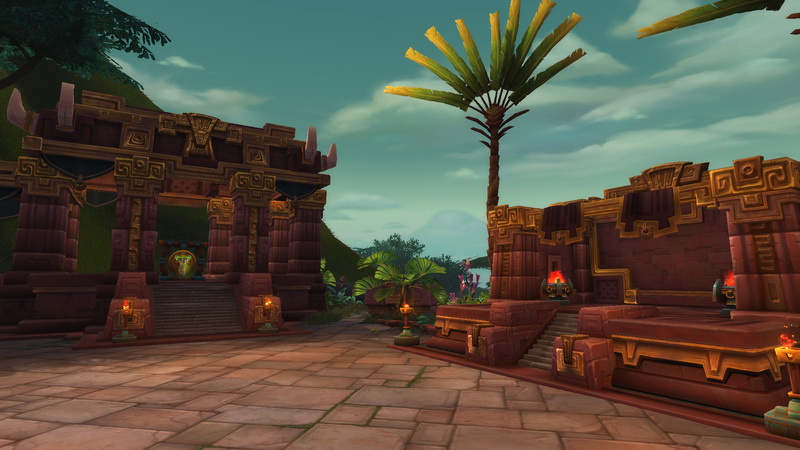 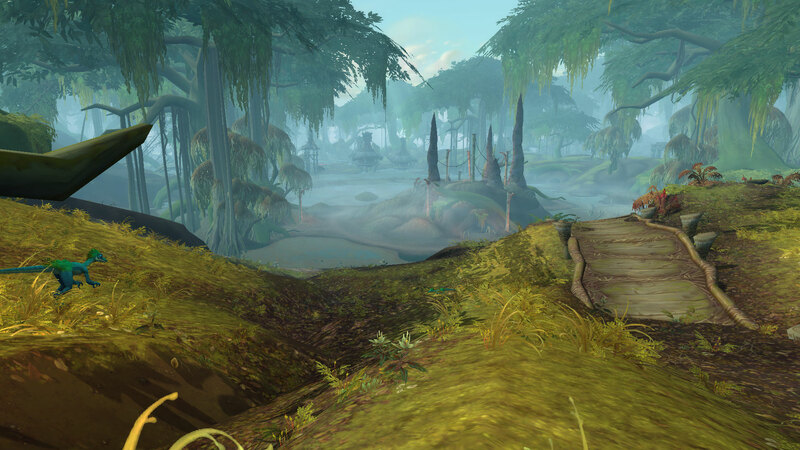 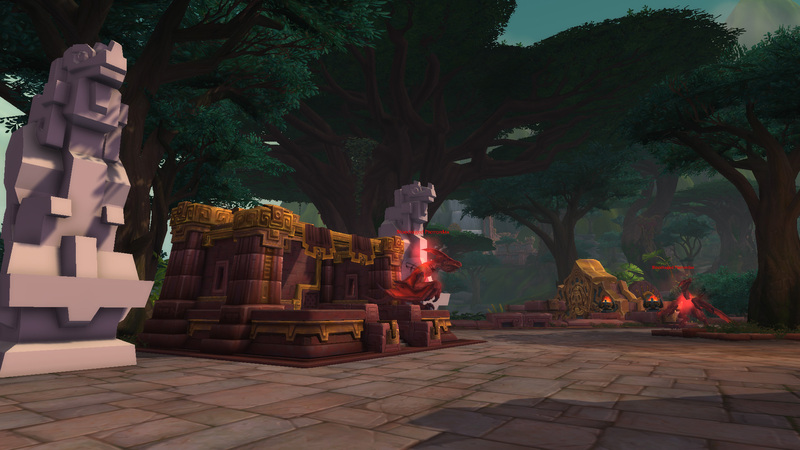 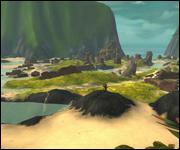 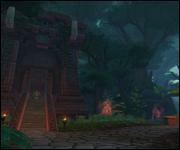 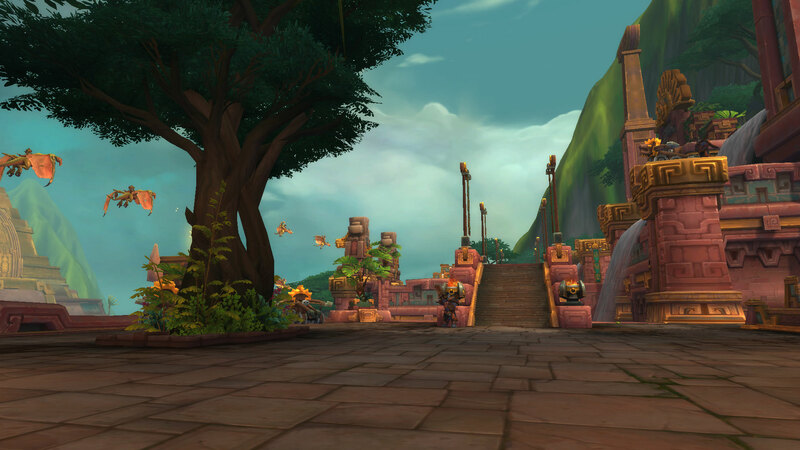 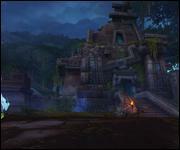 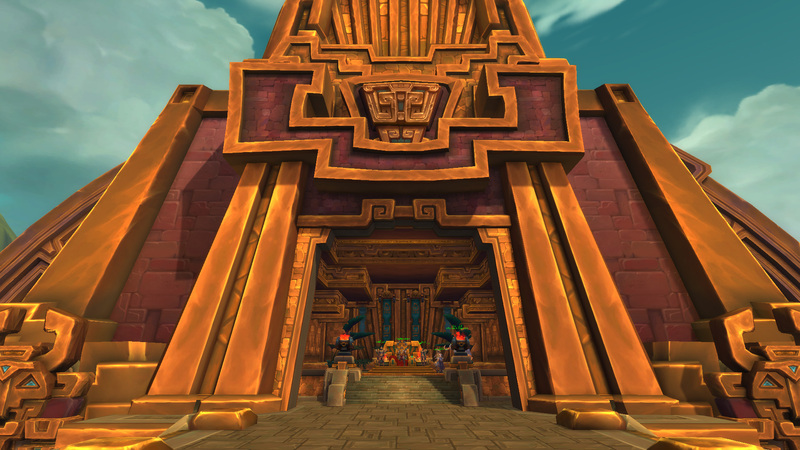 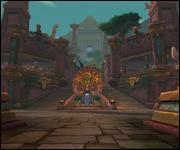 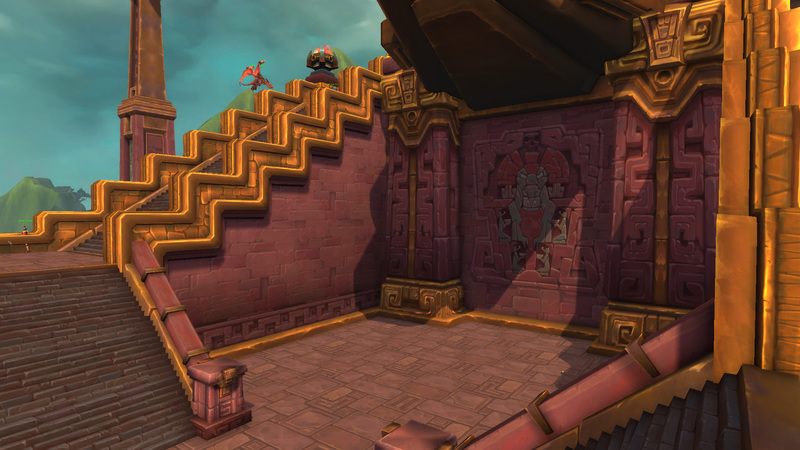 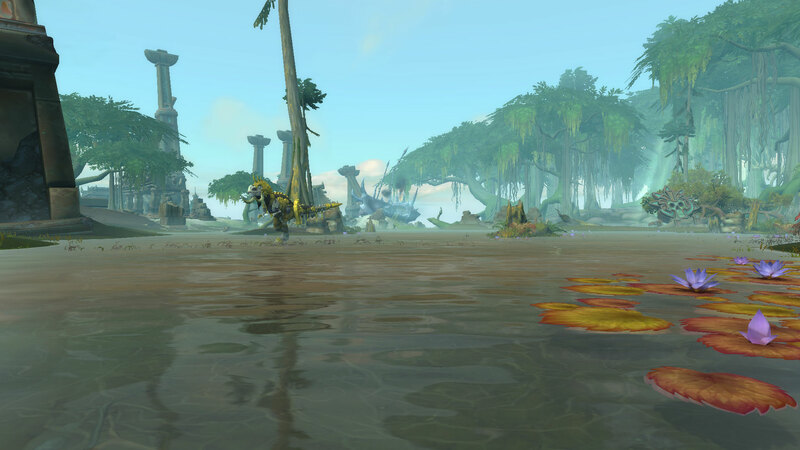 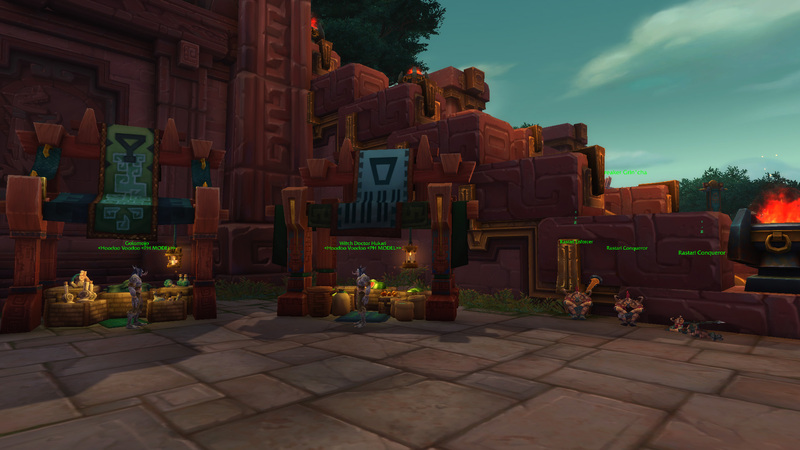 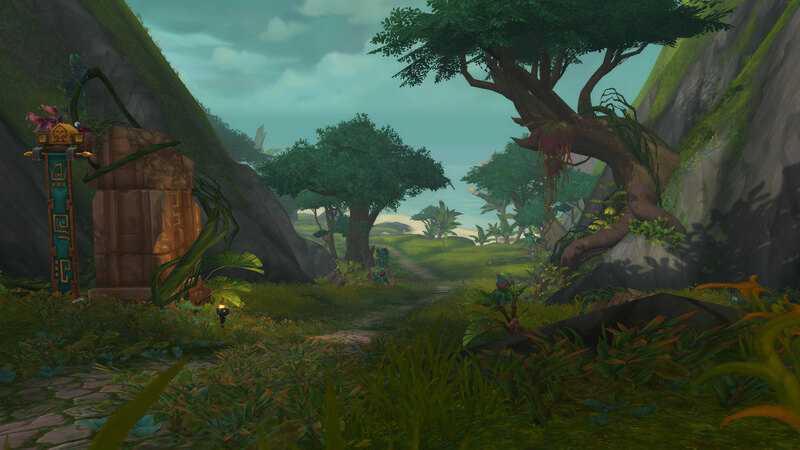 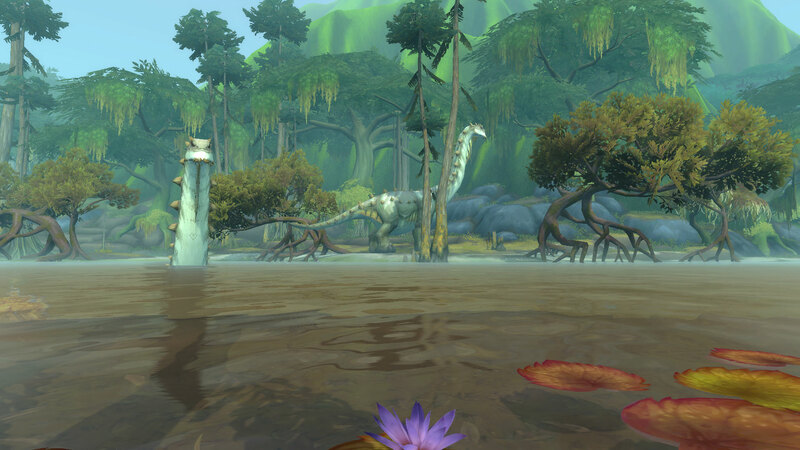 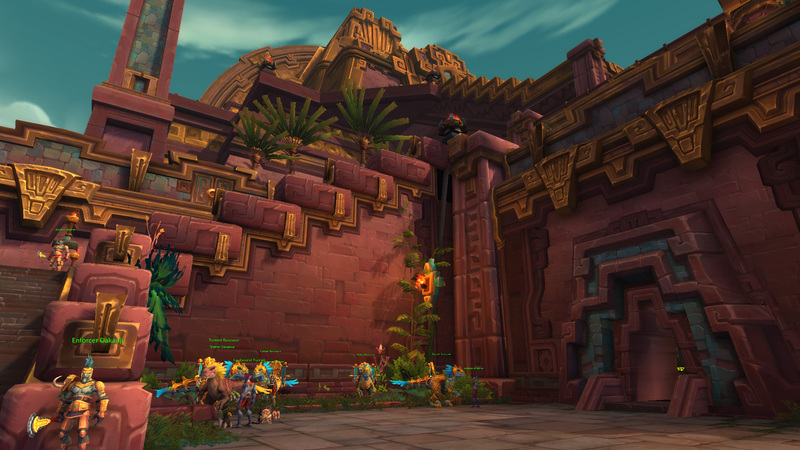 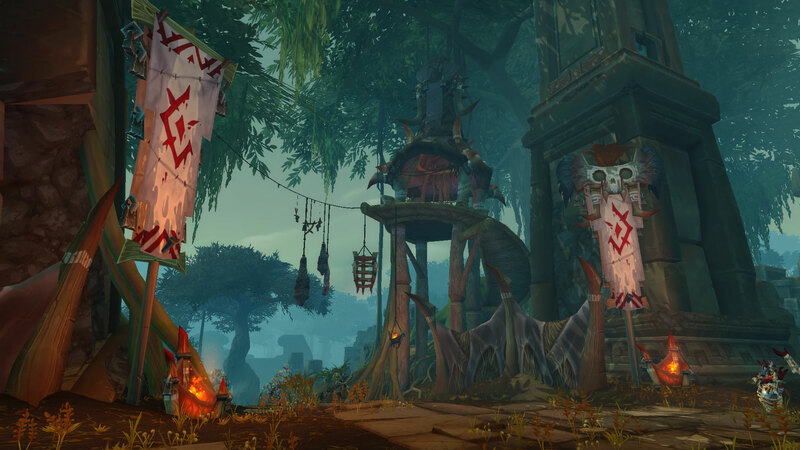 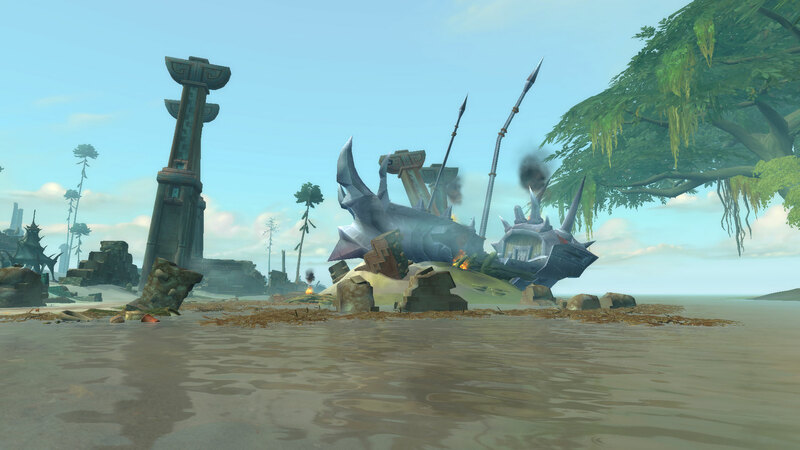 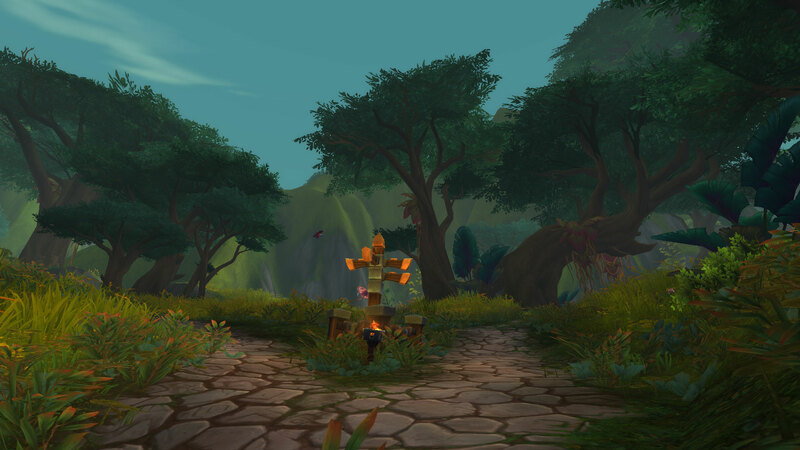 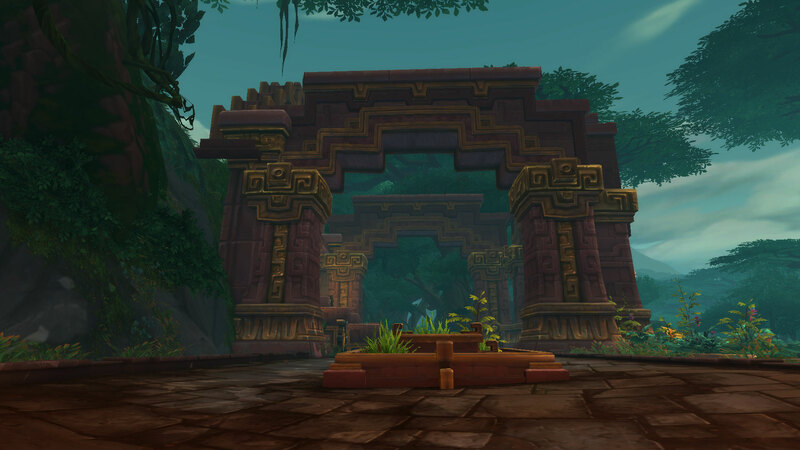 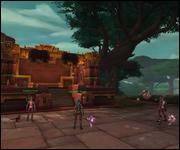 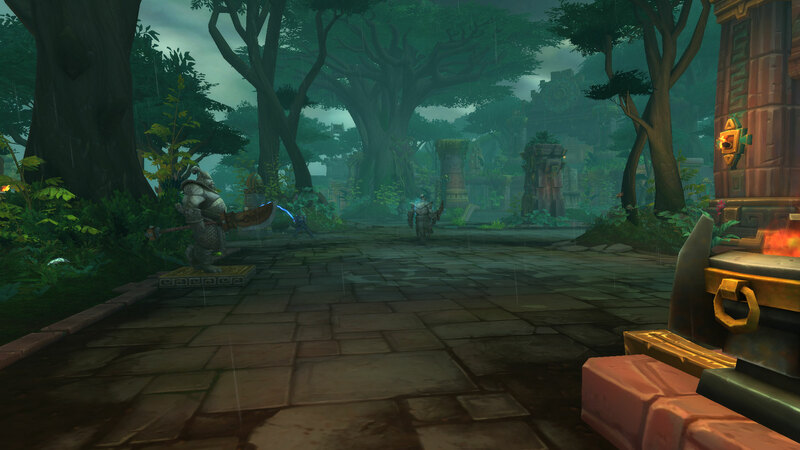 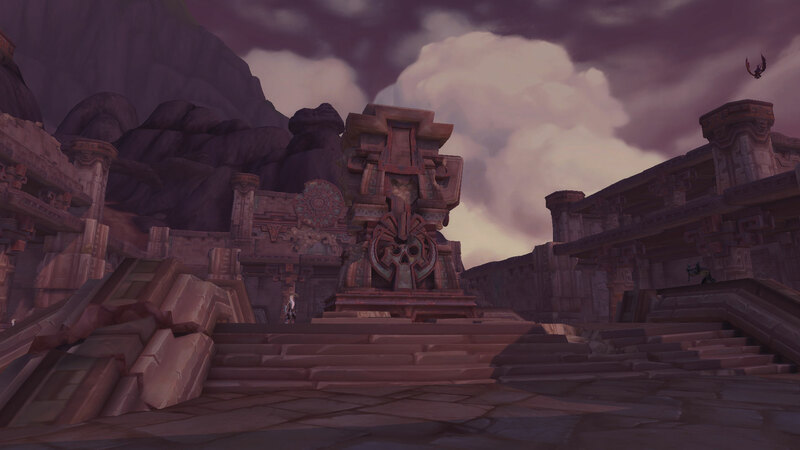 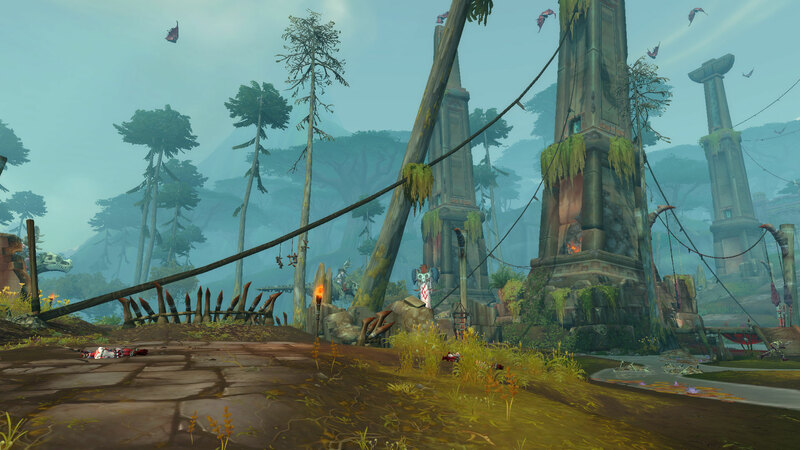 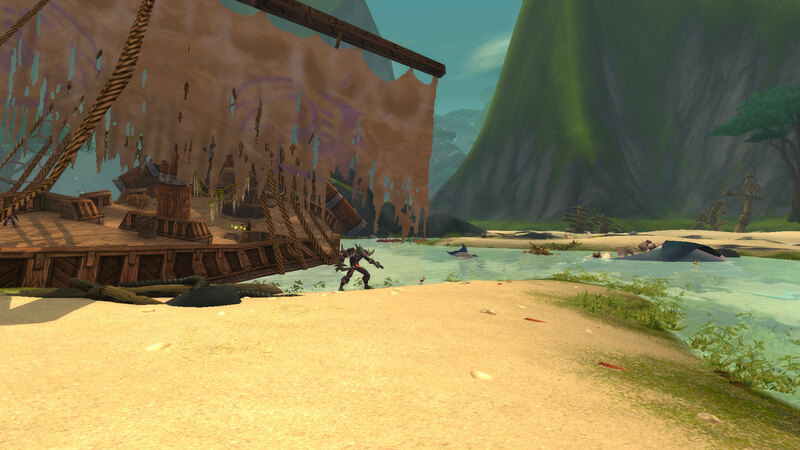 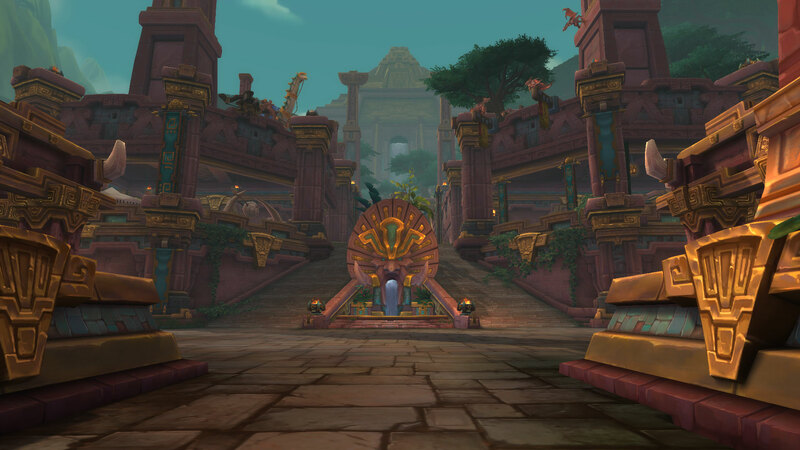 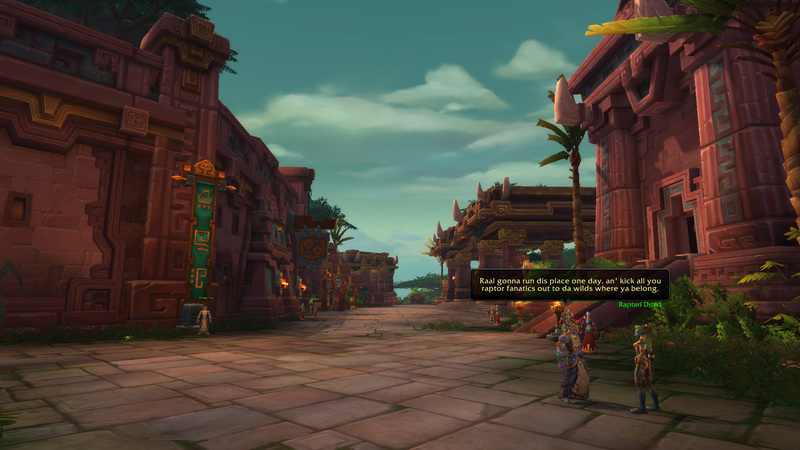 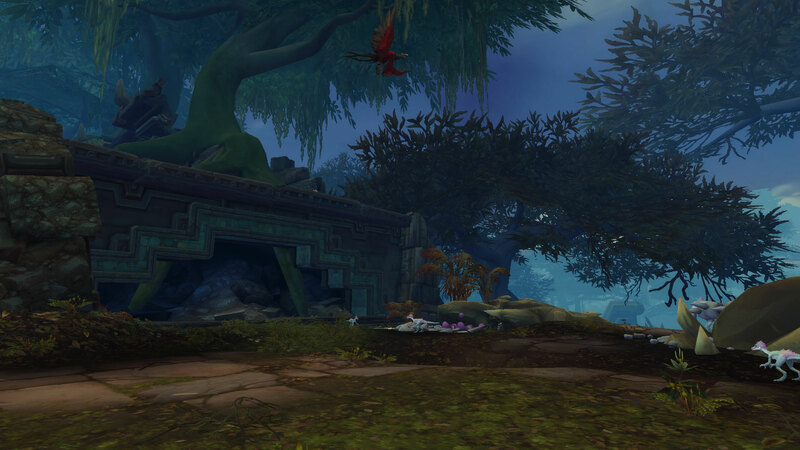 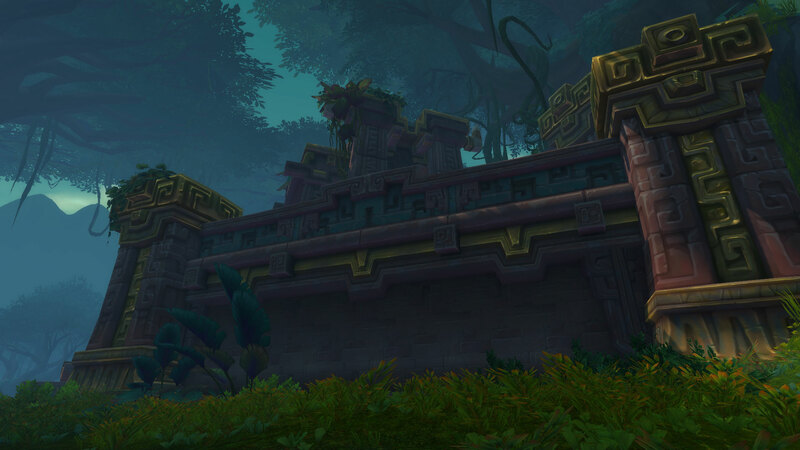 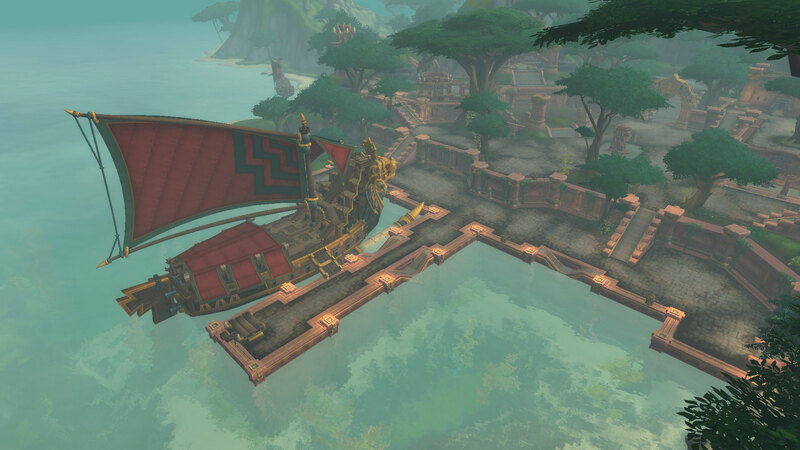 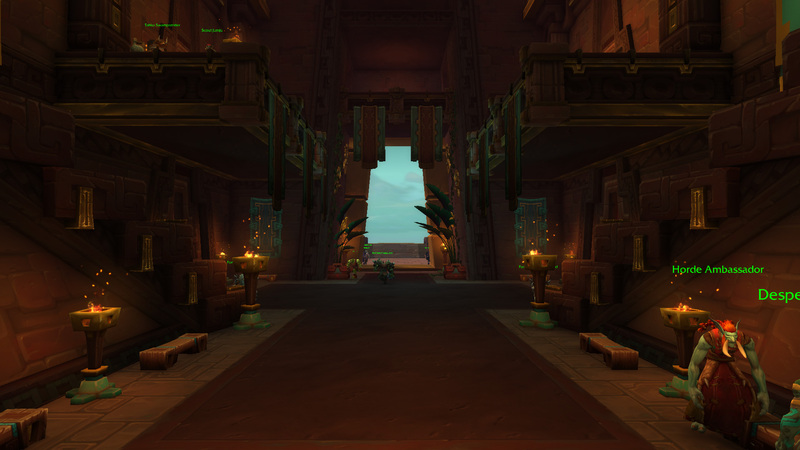 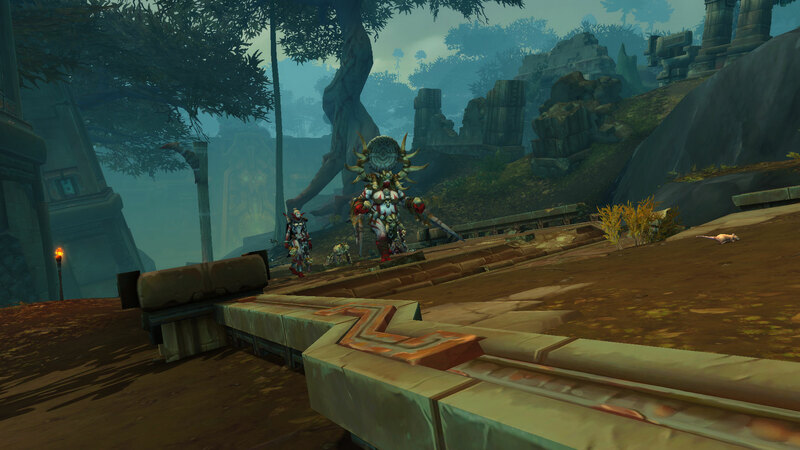 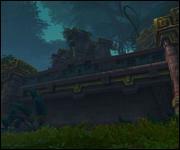 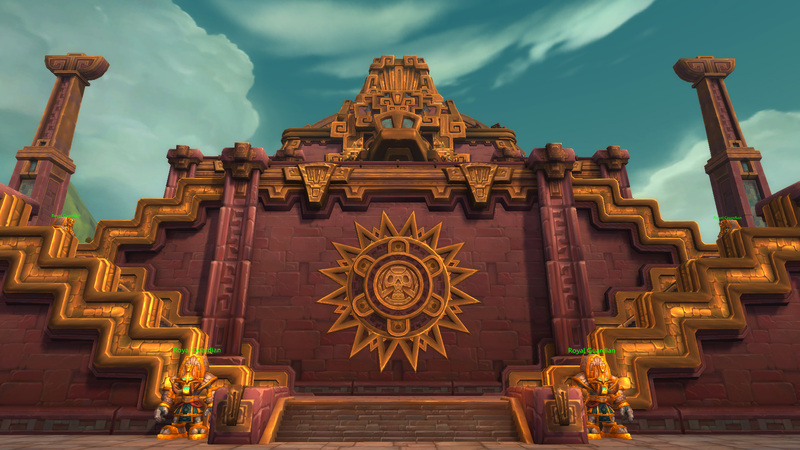 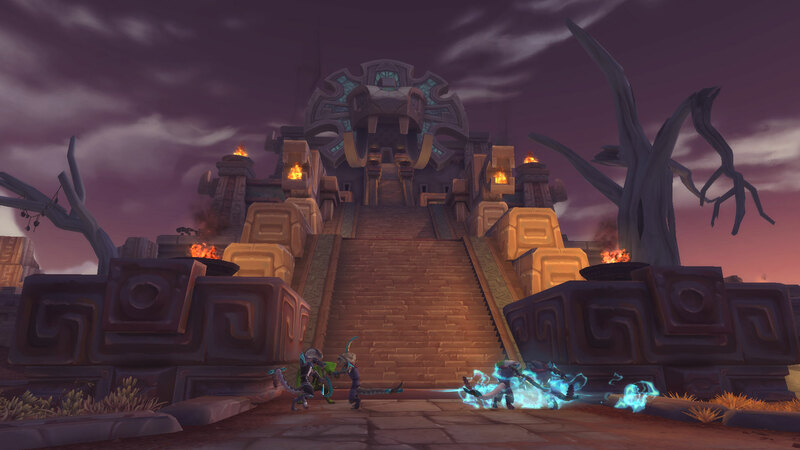 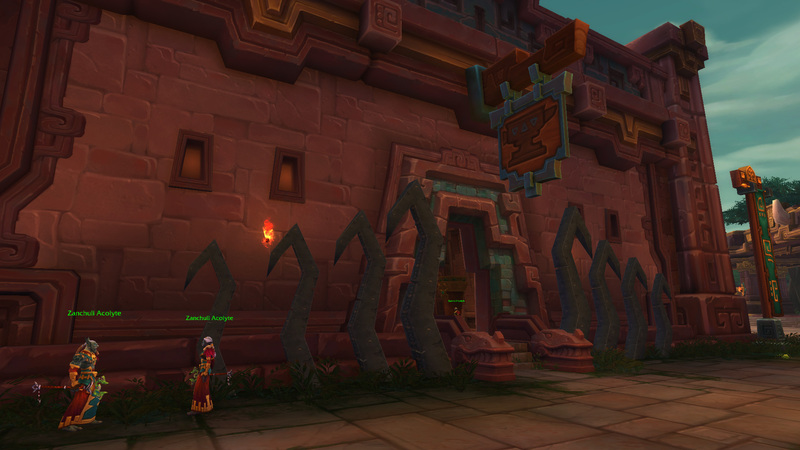 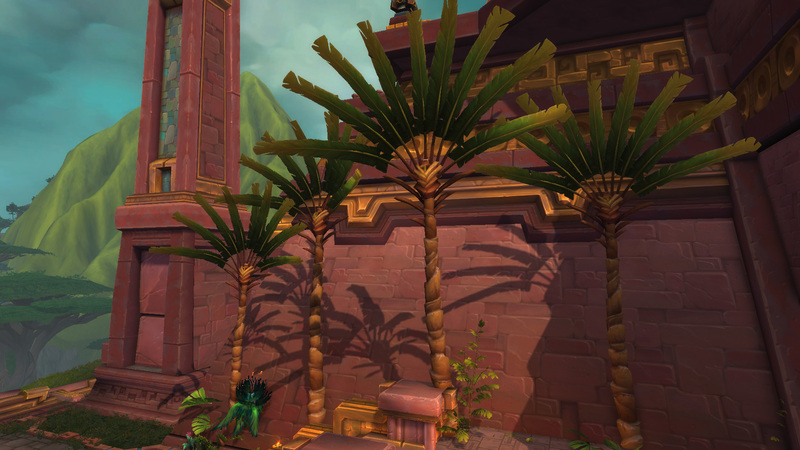 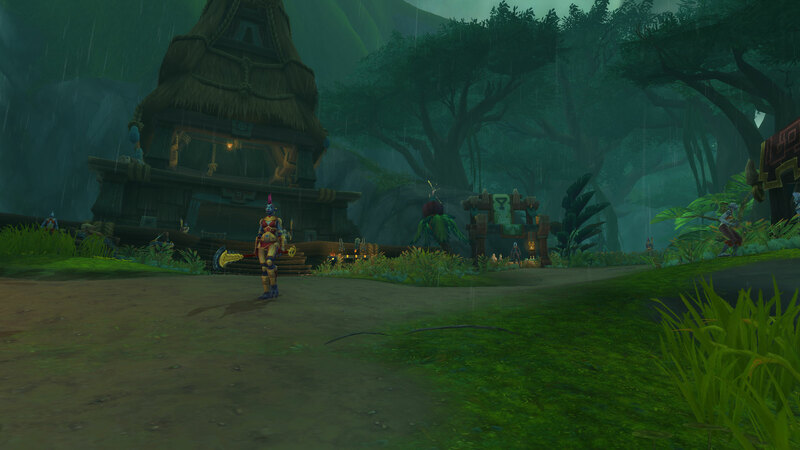 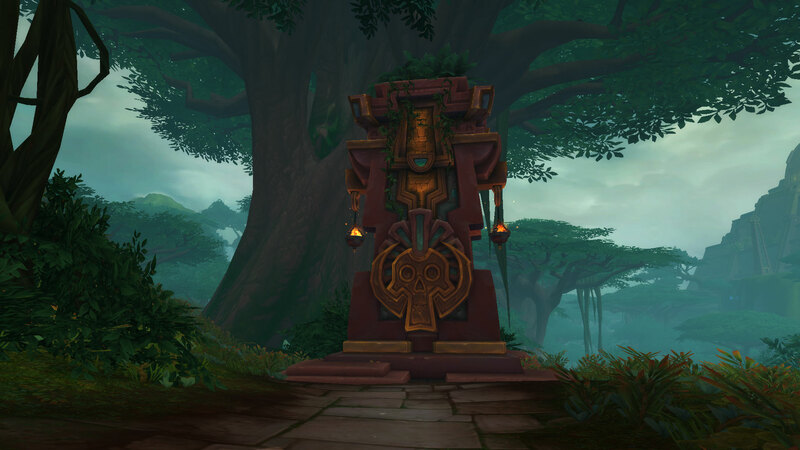 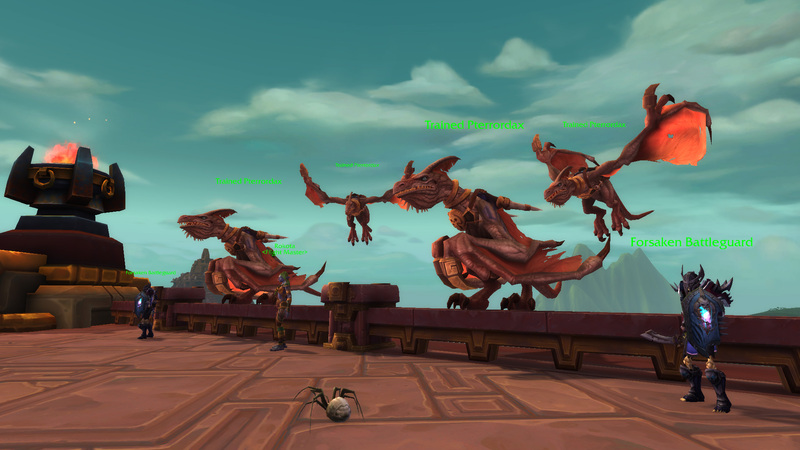 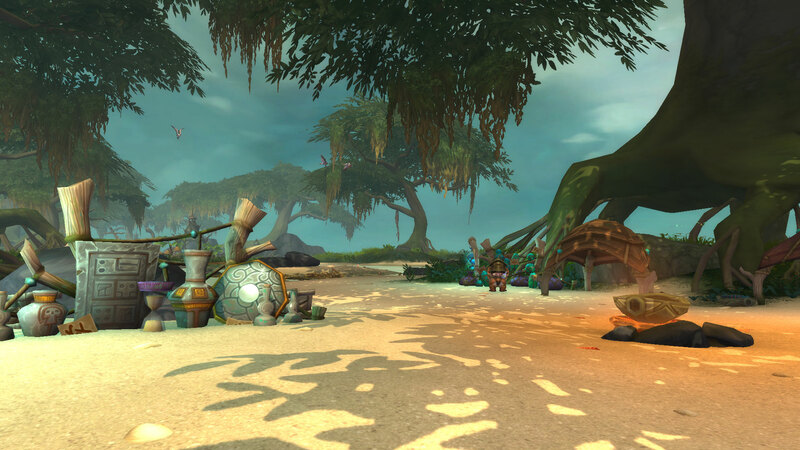 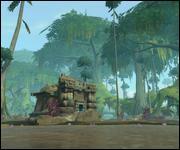 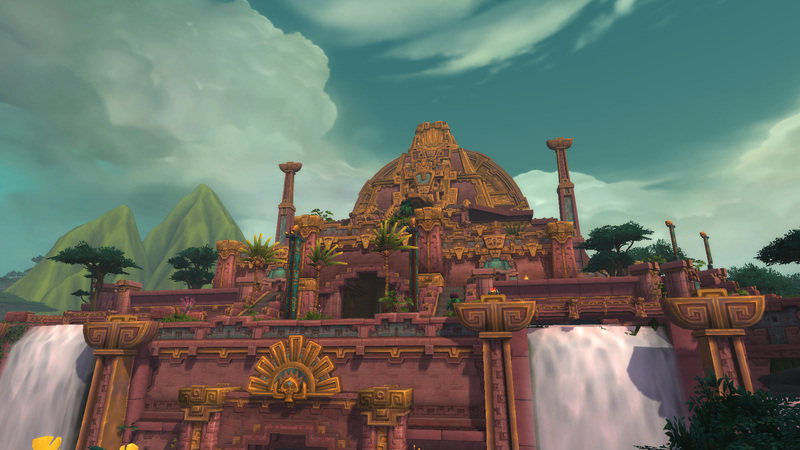 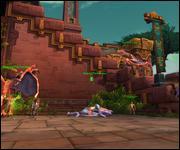 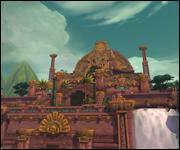 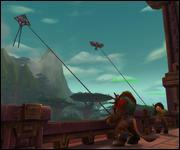 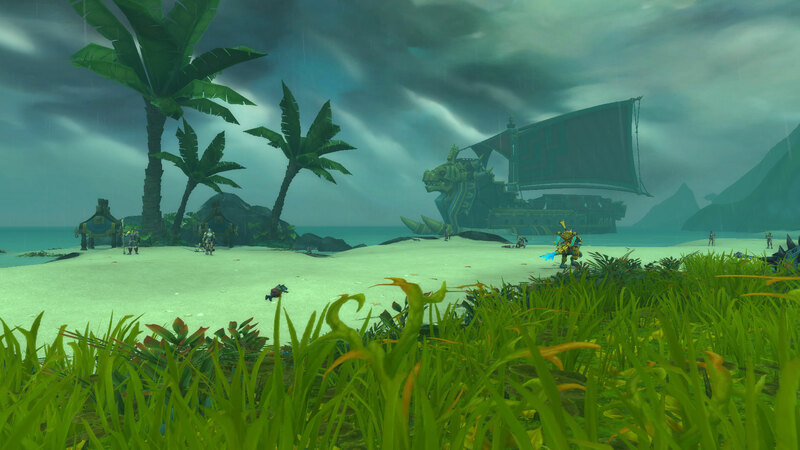 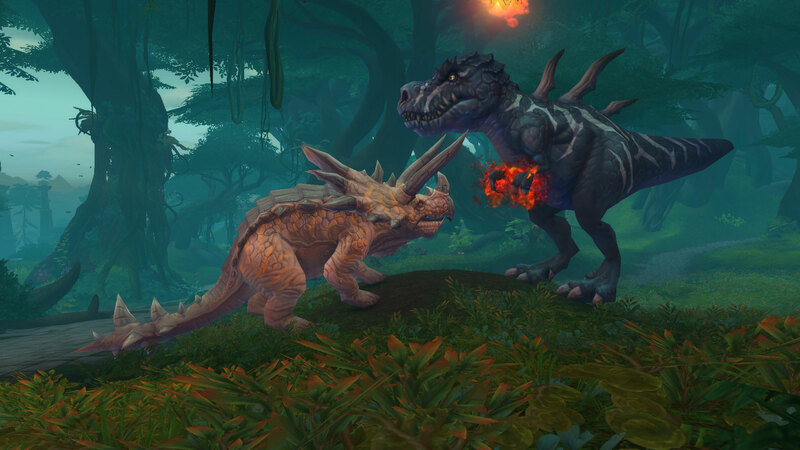 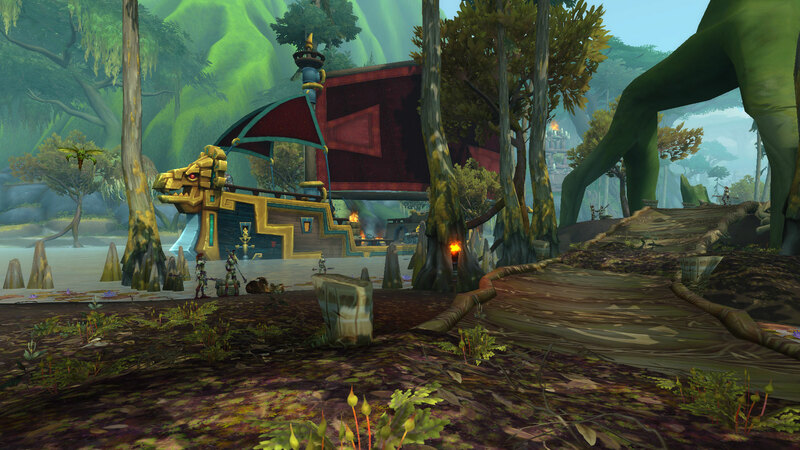 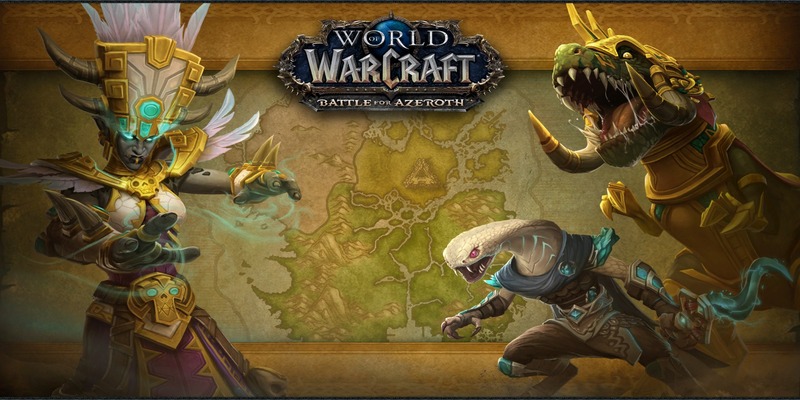 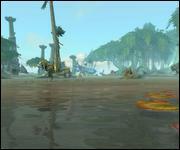 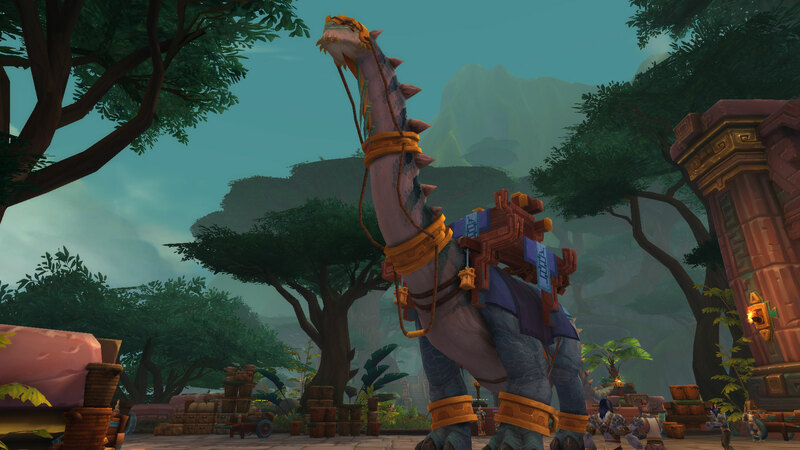 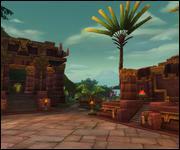 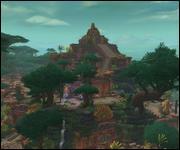 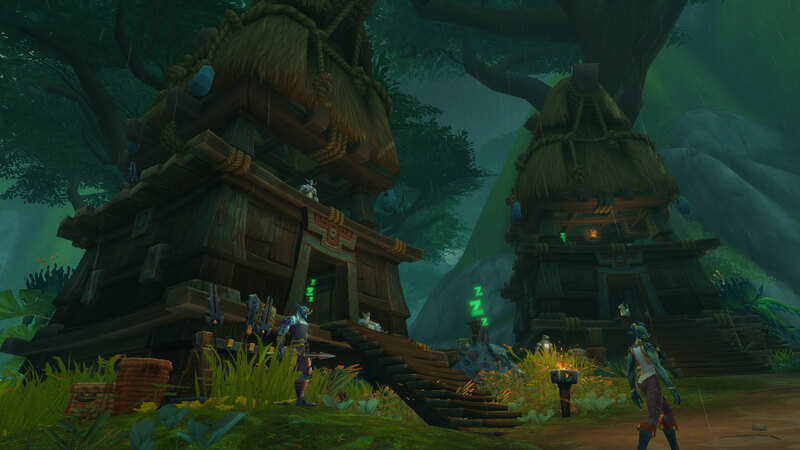 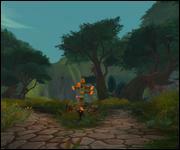 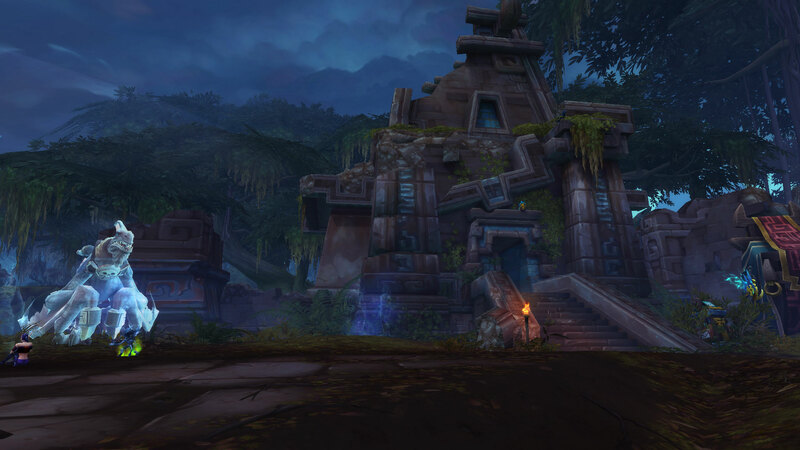 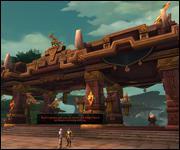 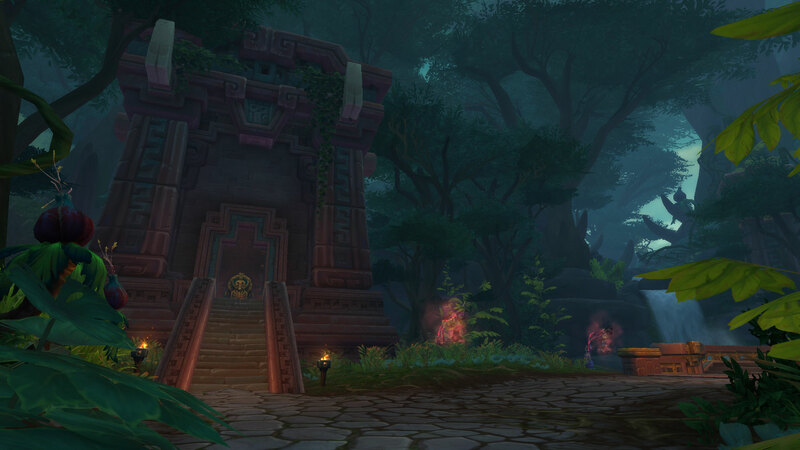 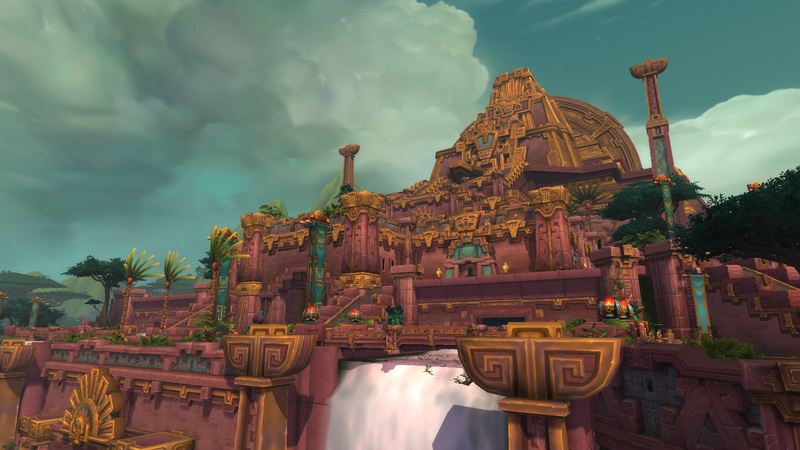 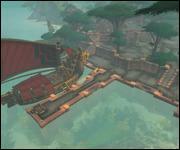 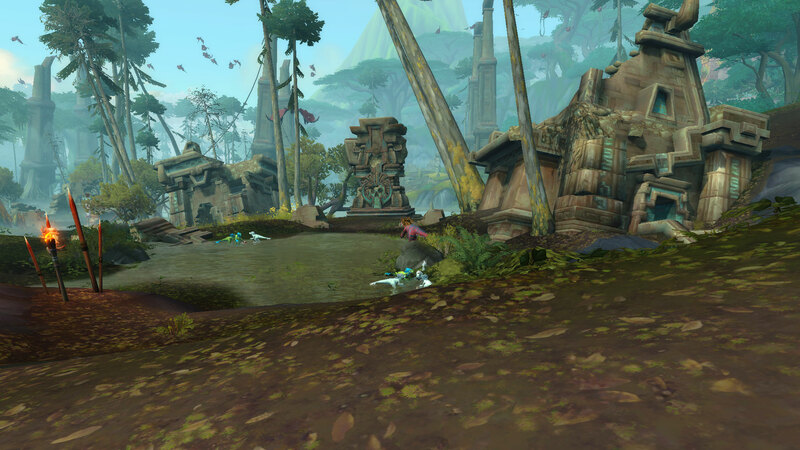 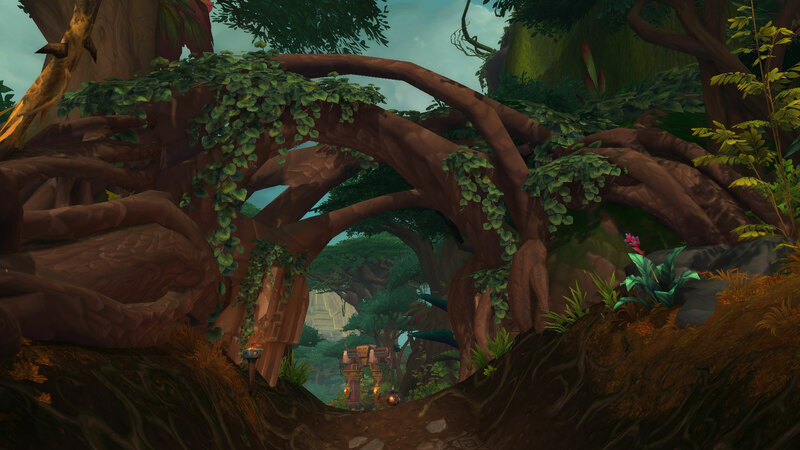 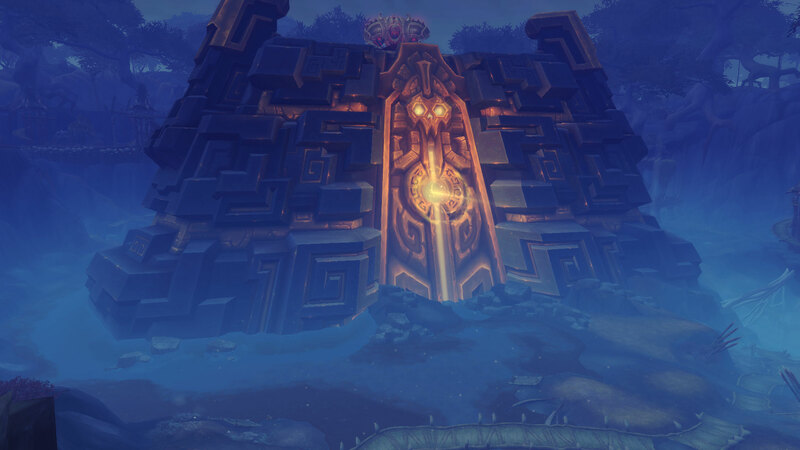 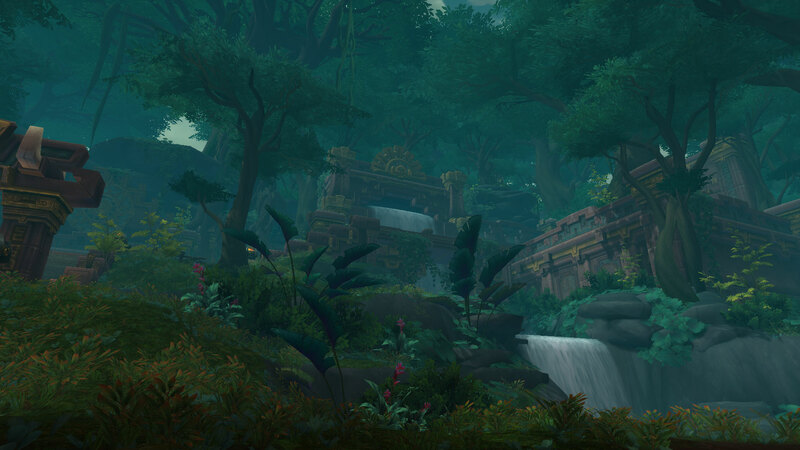 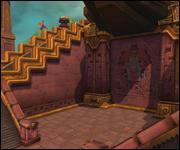 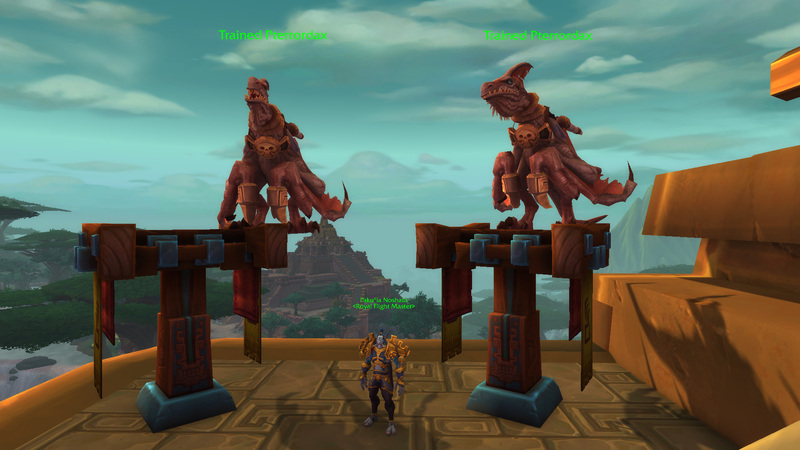 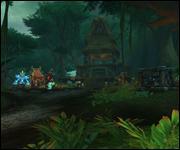 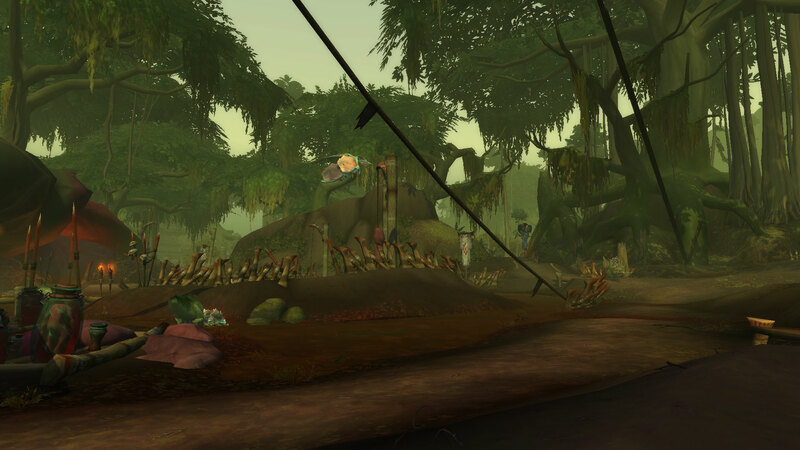 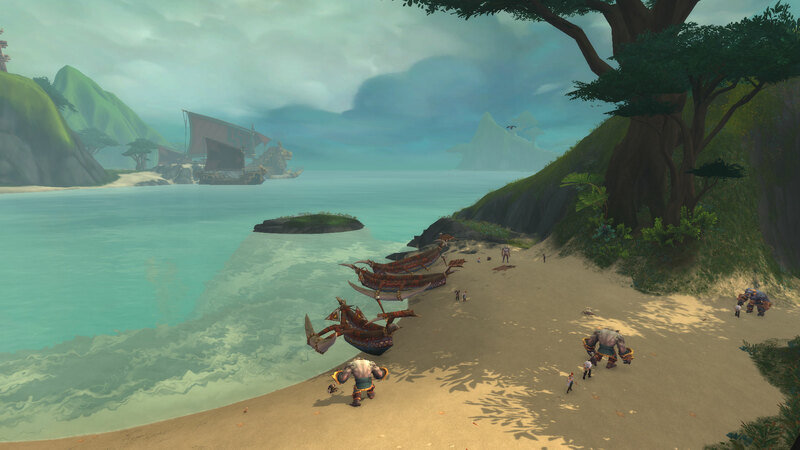 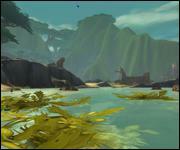 Zuldazar is the capital of the Zandalari Empire and is located in the southern part of the island. 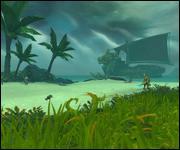 It is also the only safe haven on the continent. 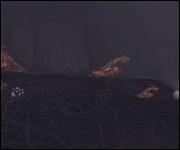 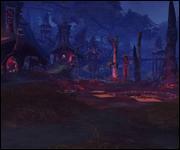 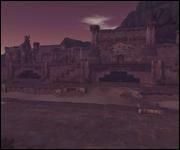 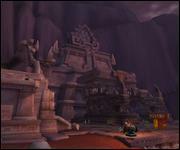 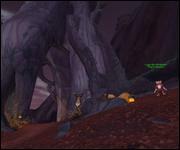 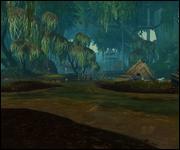 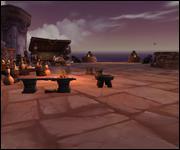 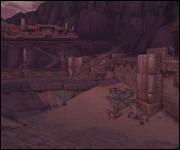 The Horde use this capital as a hub for the expansion. 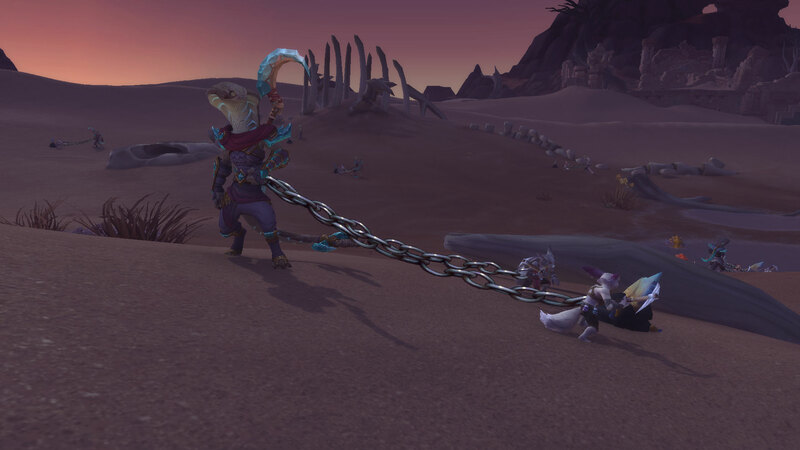 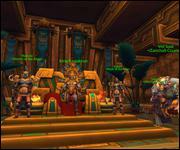 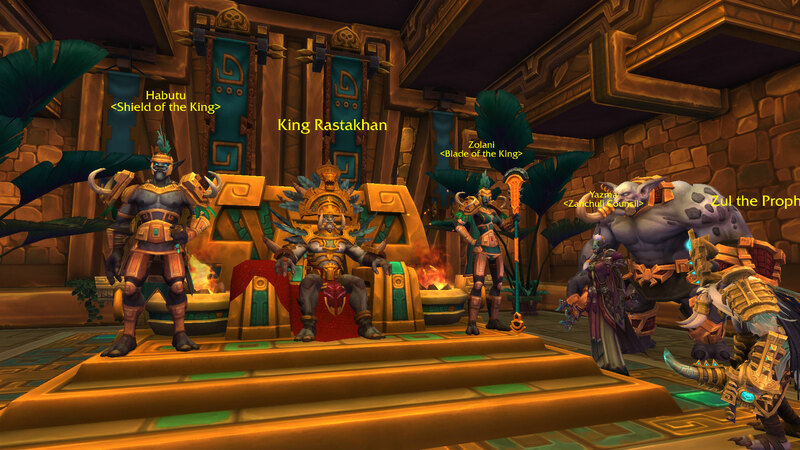 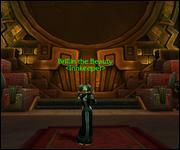 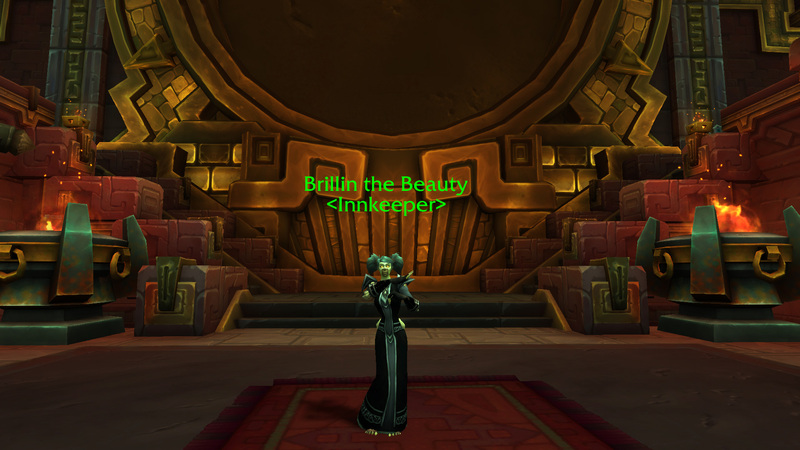 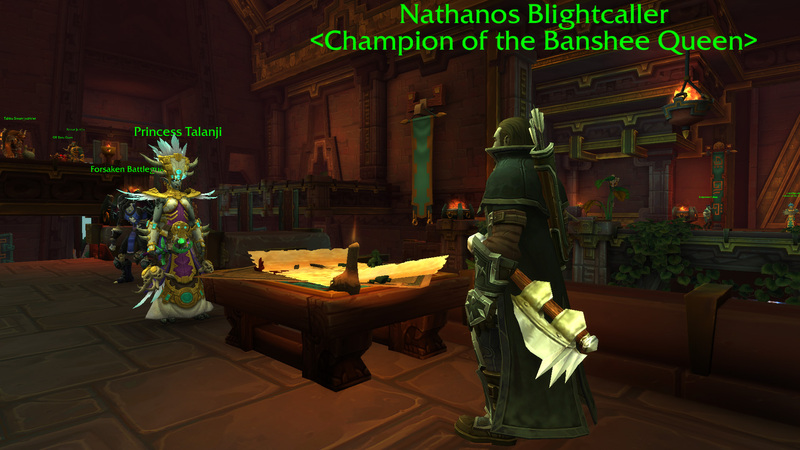 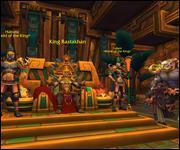 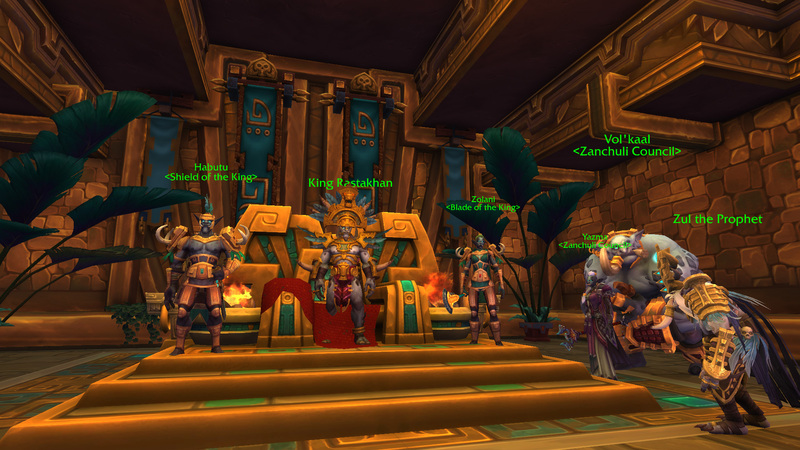 King Rastakhan and his daughter, Princess Talanji, rule over this empire. 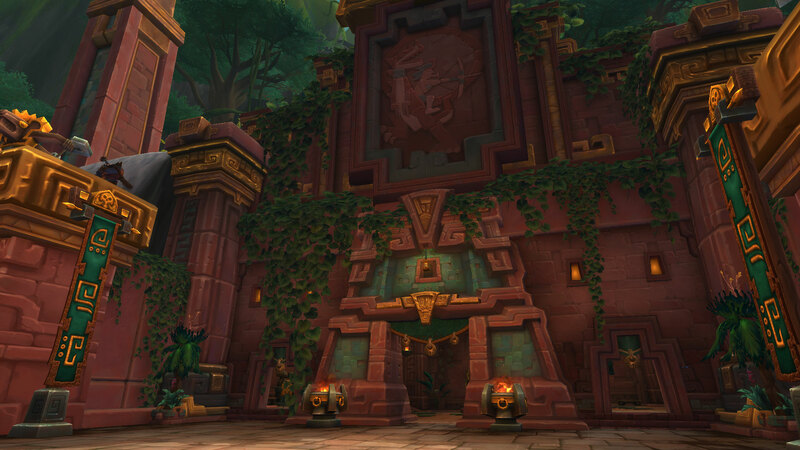 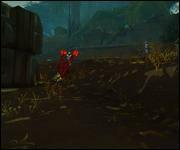 The Horde must investigate an internal uprising within Zuldazar while also fending off blood trolls from the north. 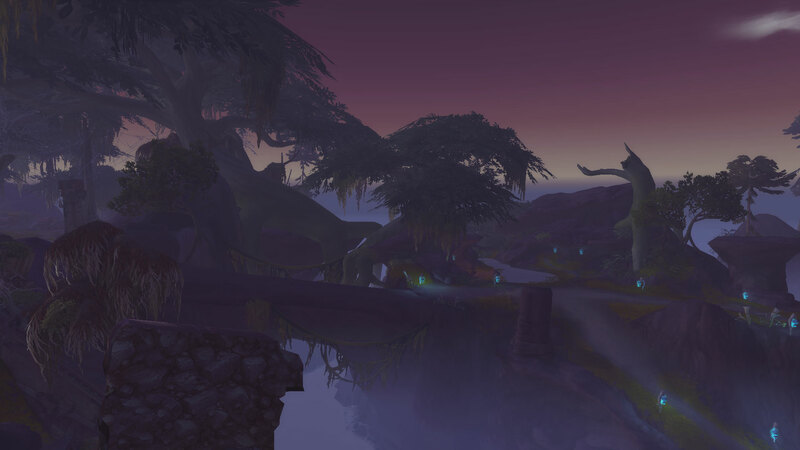 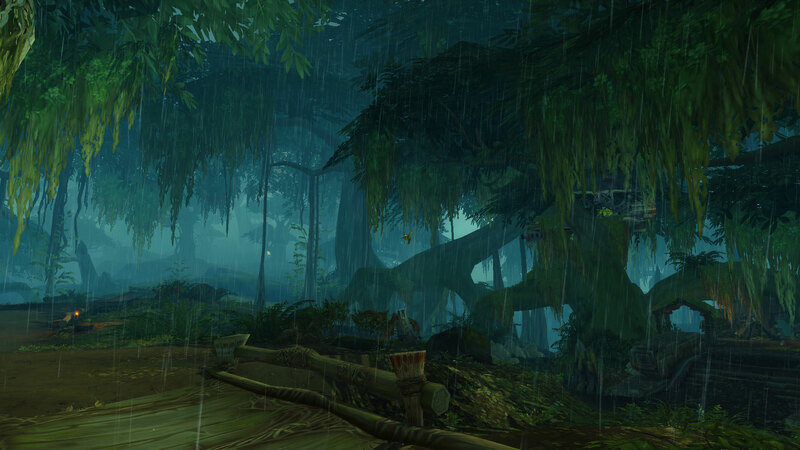 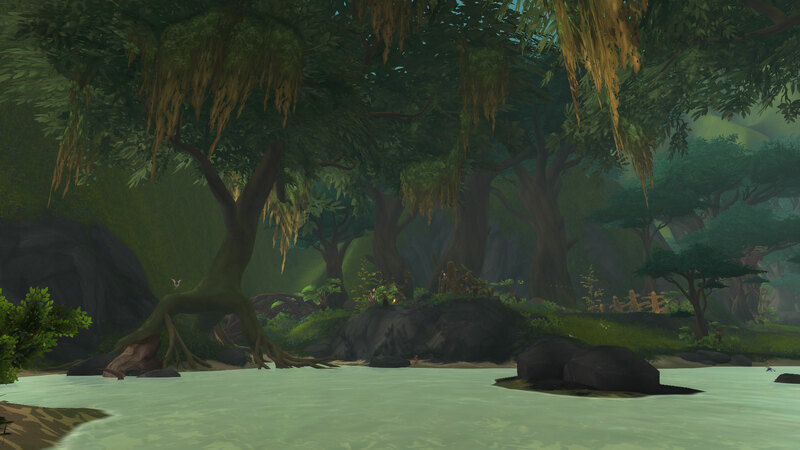 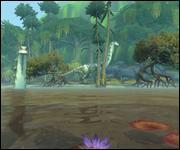 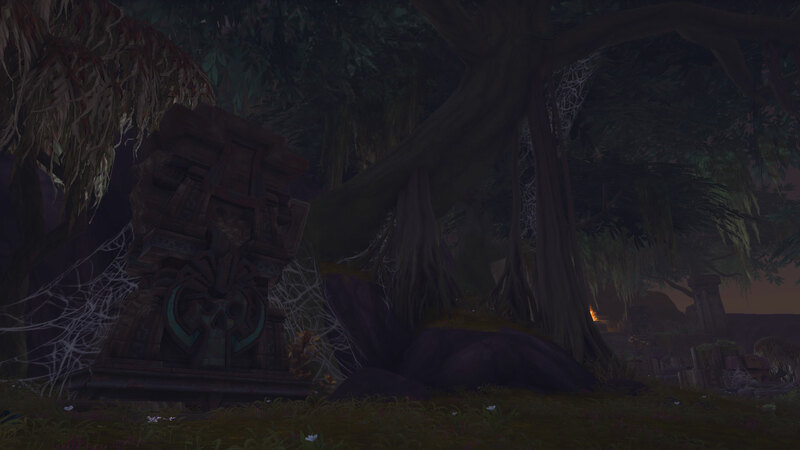 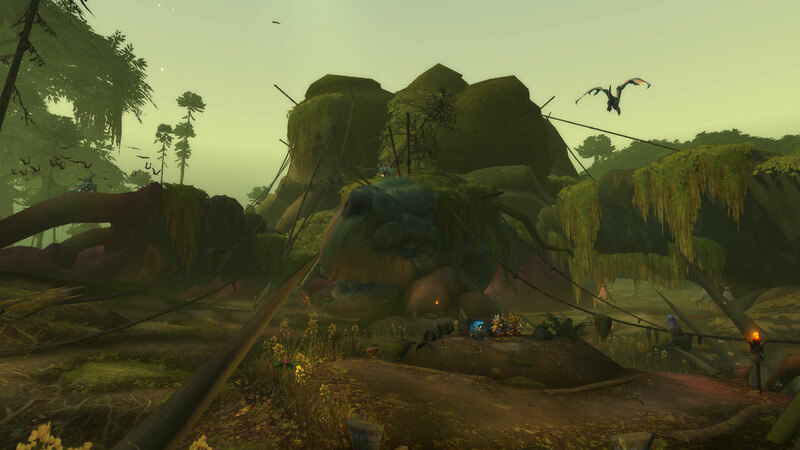 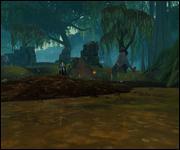 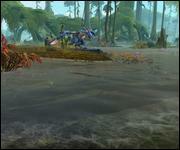 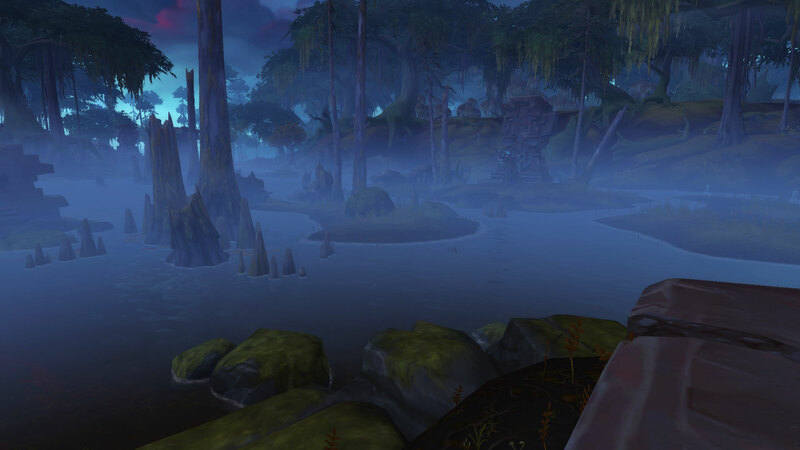 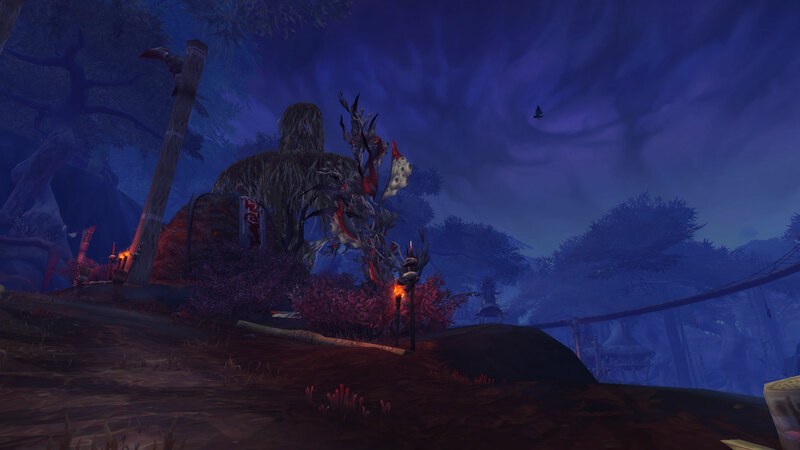 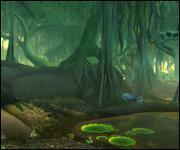 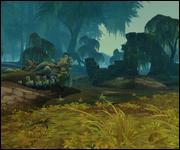 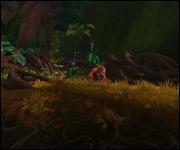 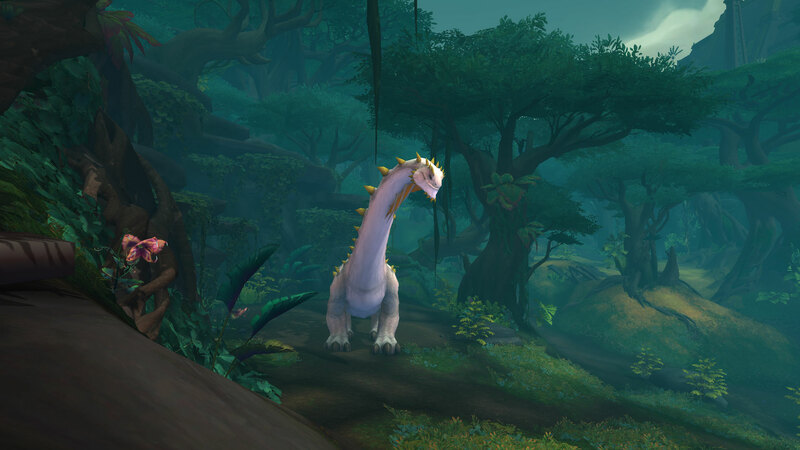 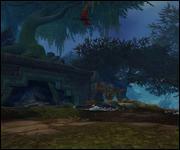 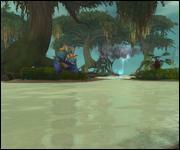 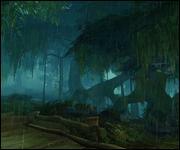 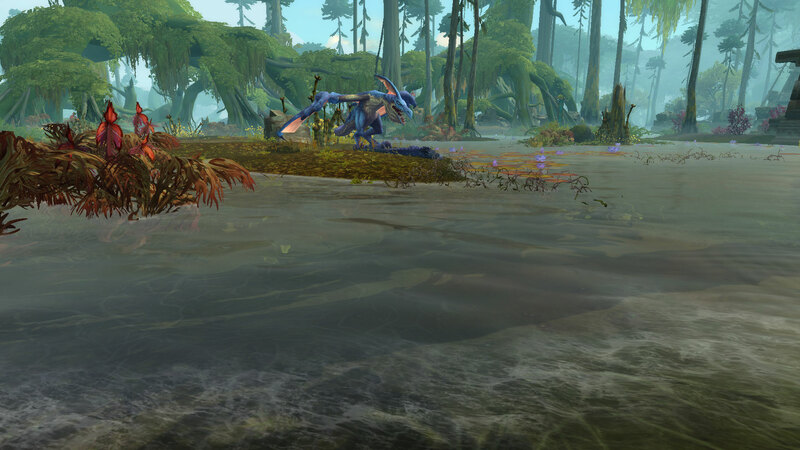 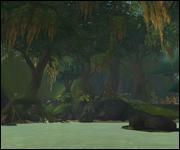 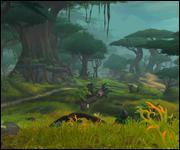 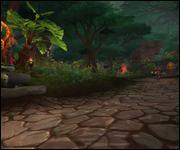 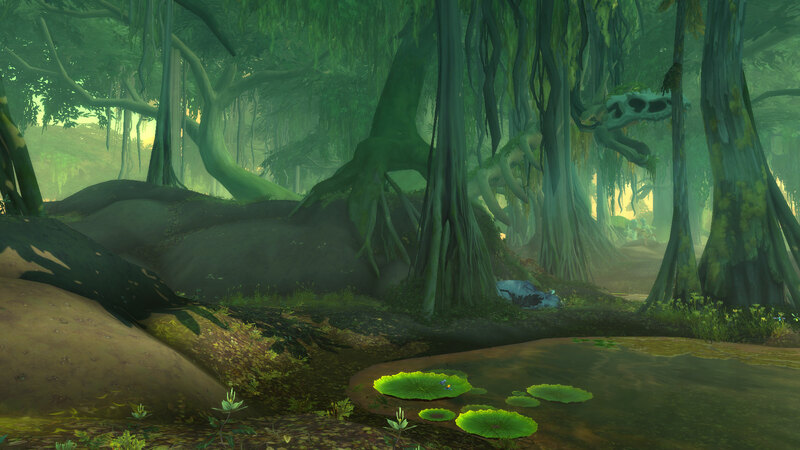 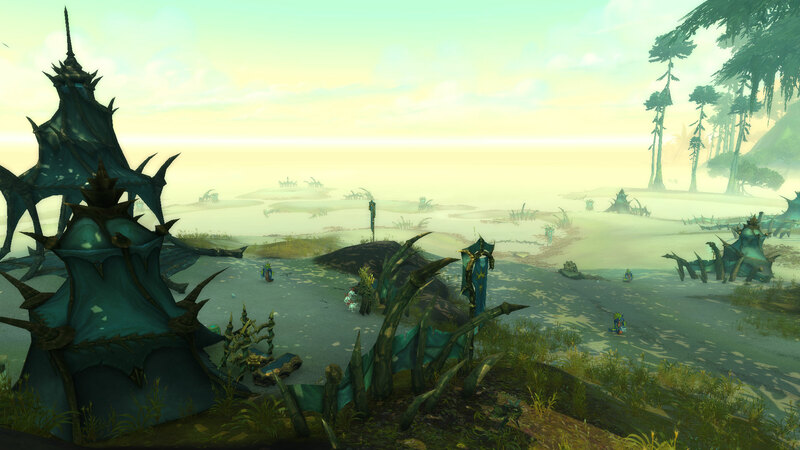 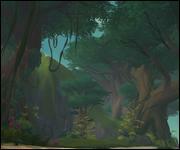 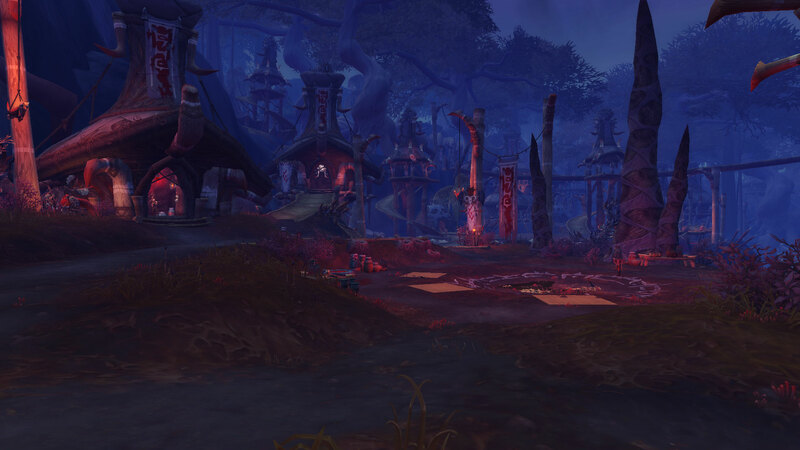 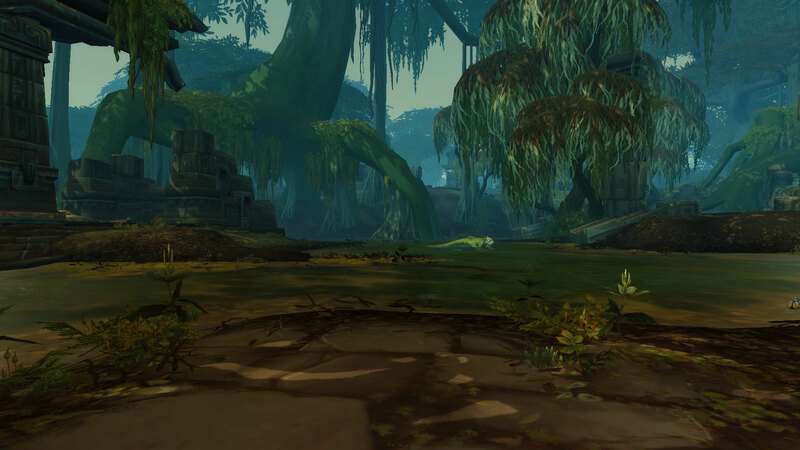 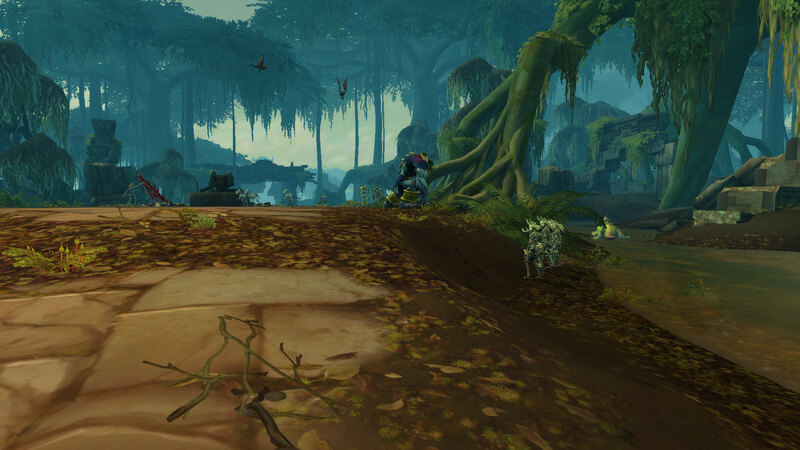 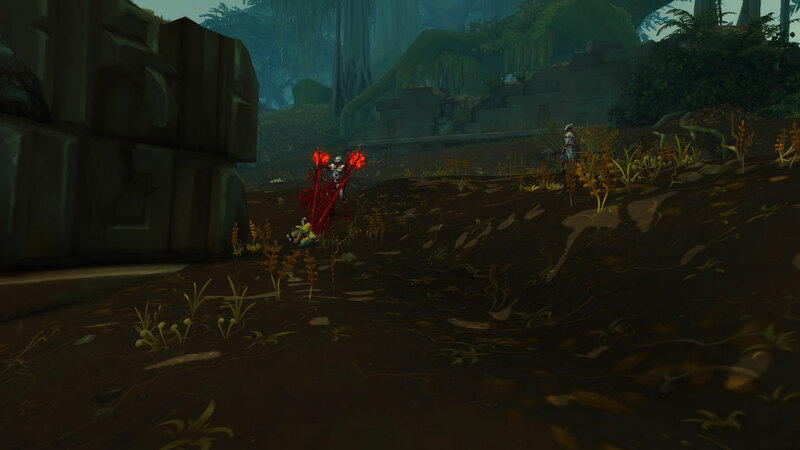 Nazmir was once a lush forest but has since become a festering swampland since Deathwing shook the earth. 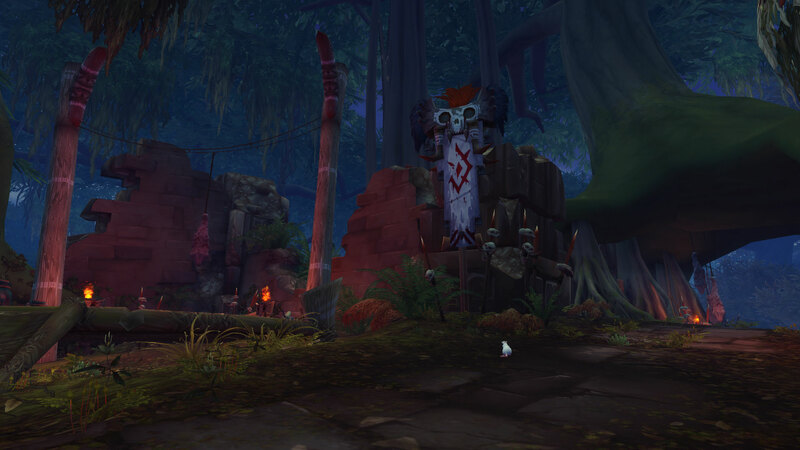 Blood trolls thrive here. 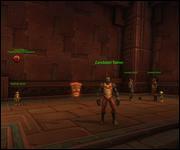 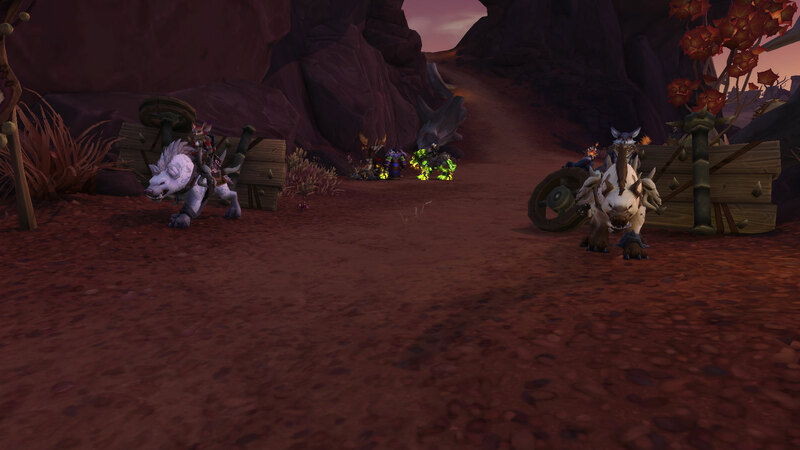 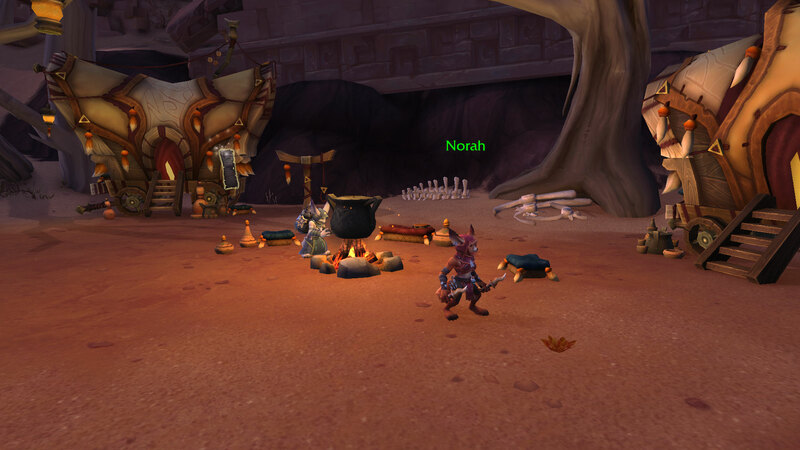 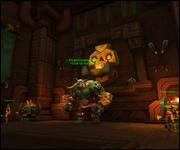 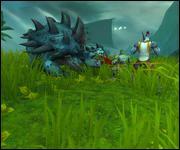 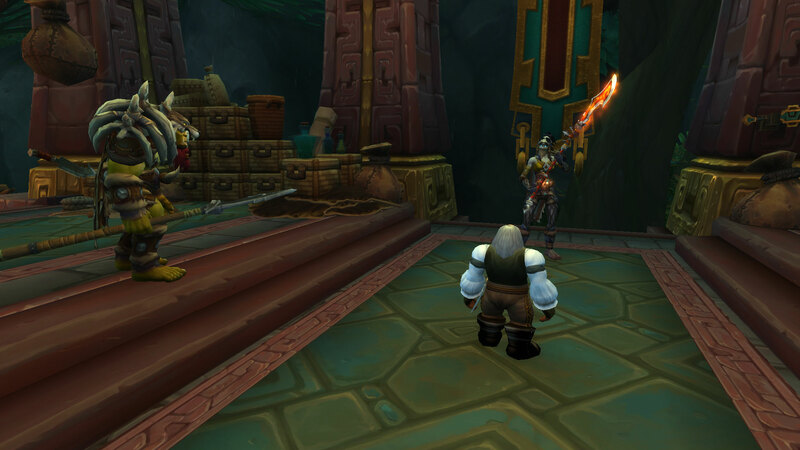 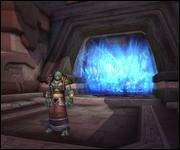 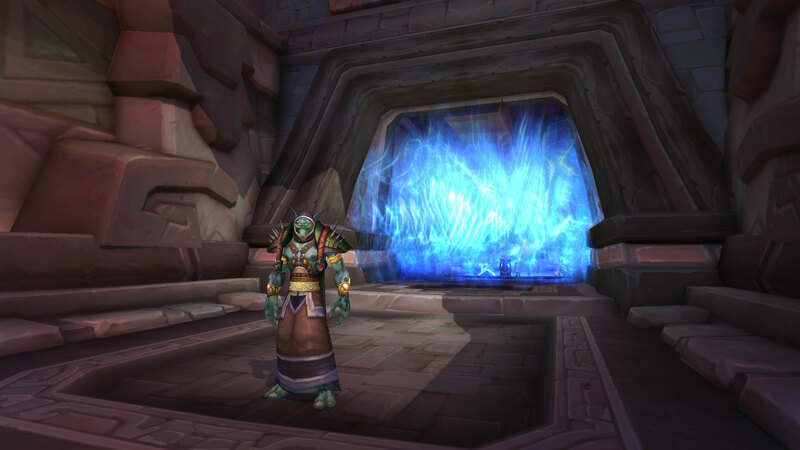 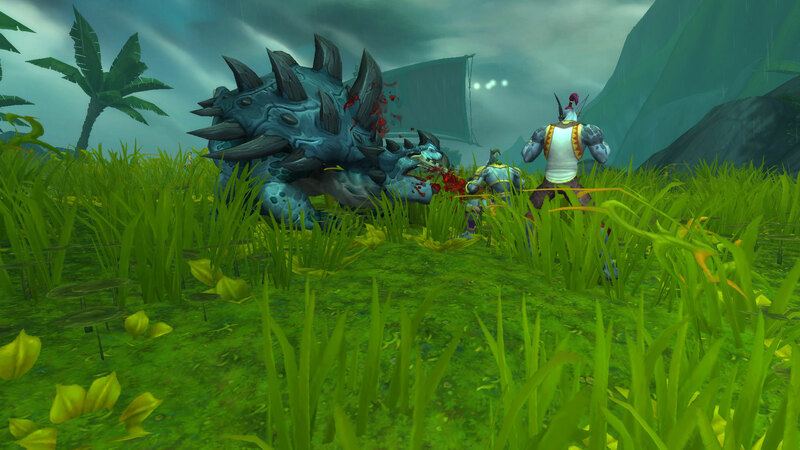 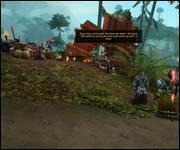 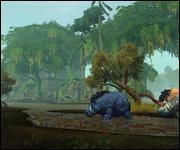 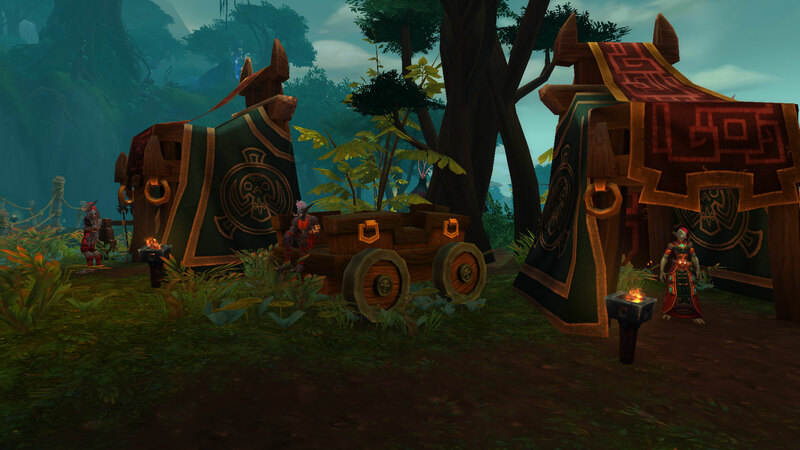 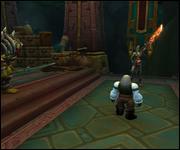 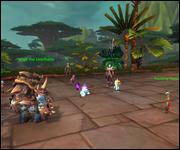 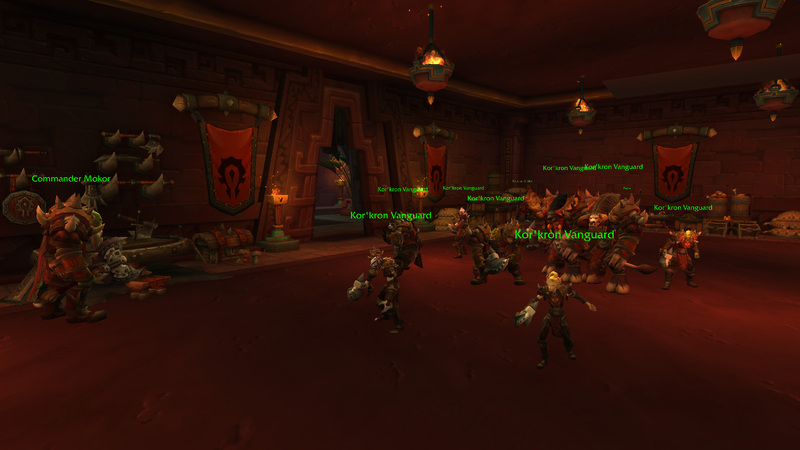 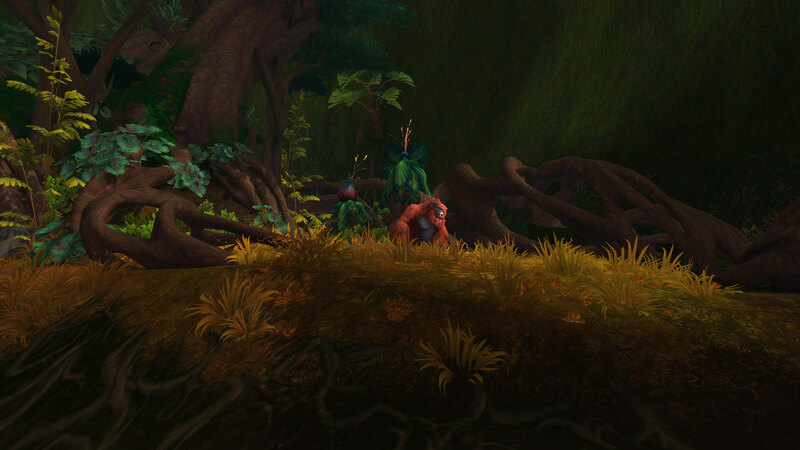 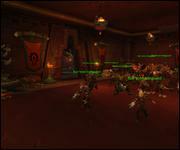 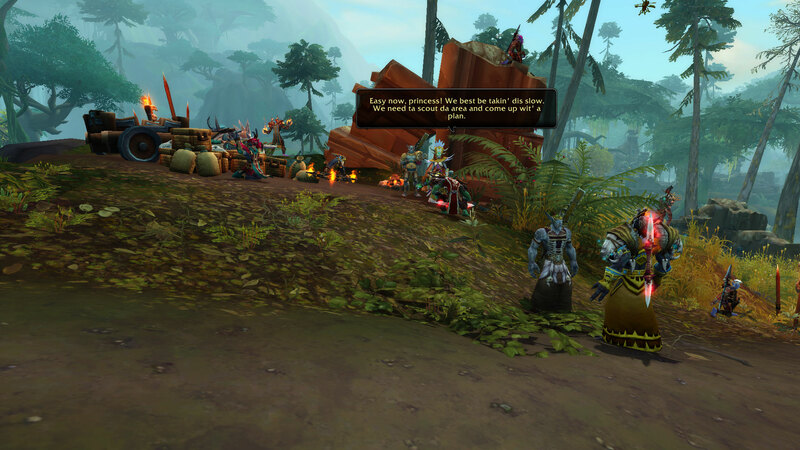 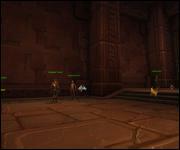 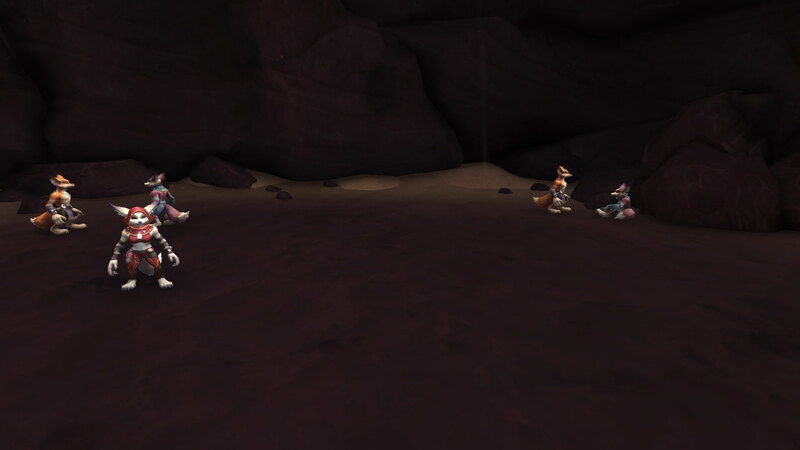 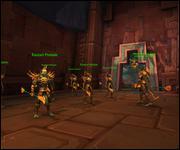 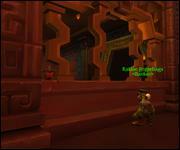 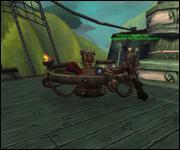 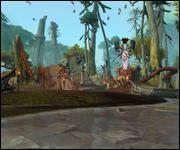 To defeat these trolls, the Horde must enlist the help of the Loa, powerful troll gods. 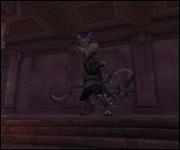 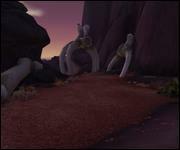 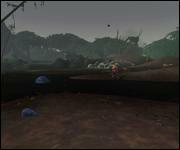 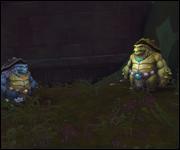 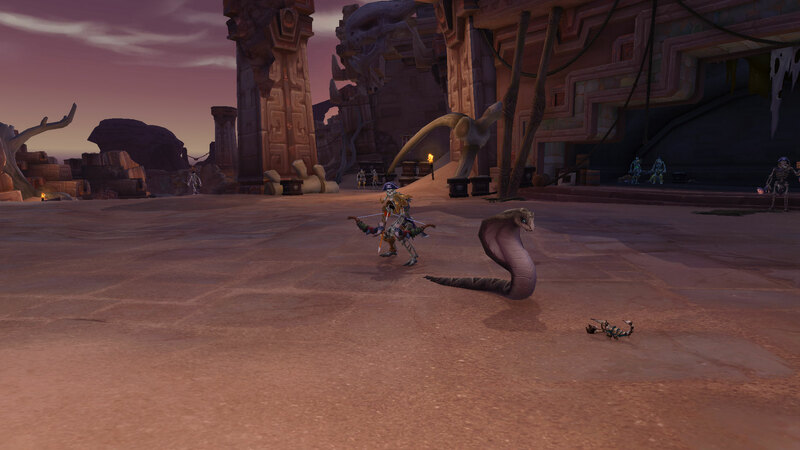 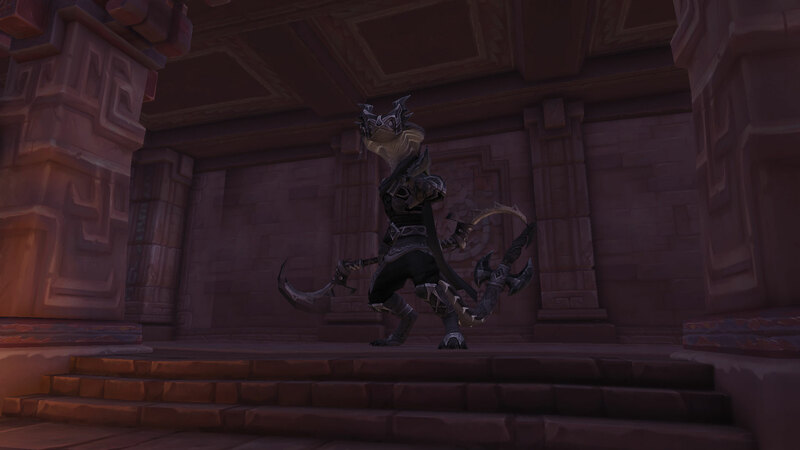 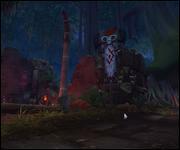 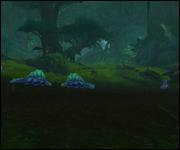 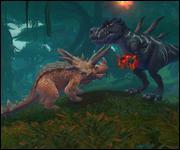 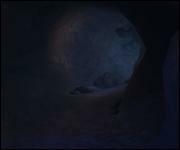 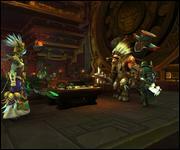 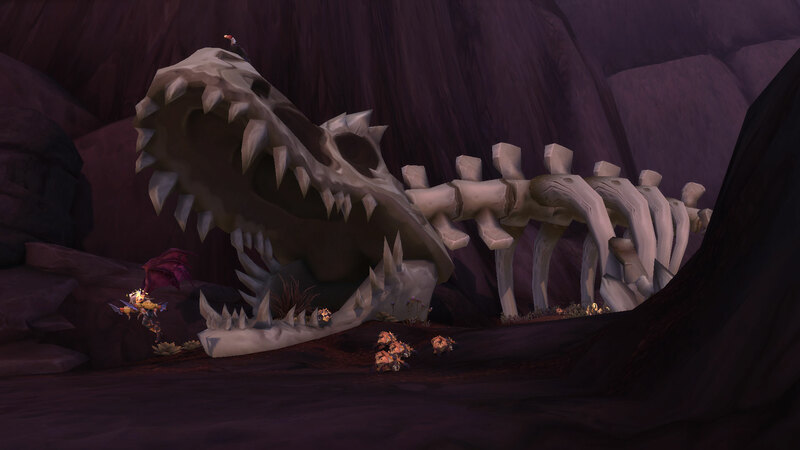 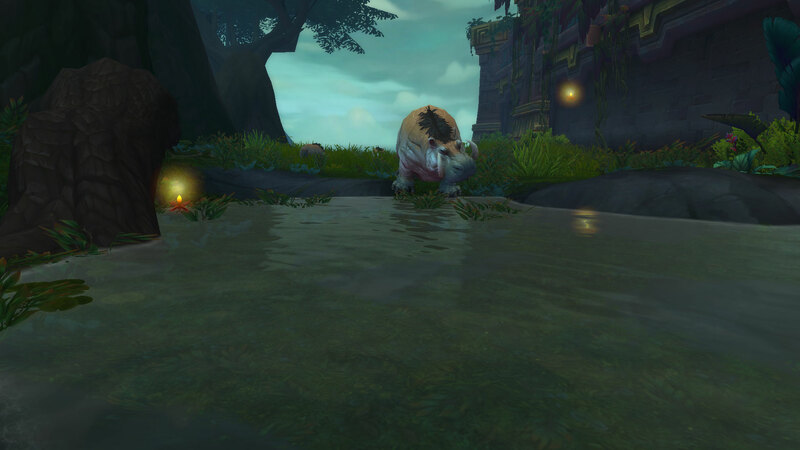 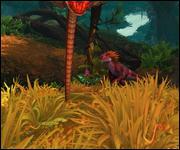 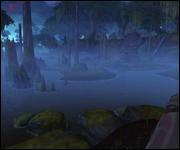 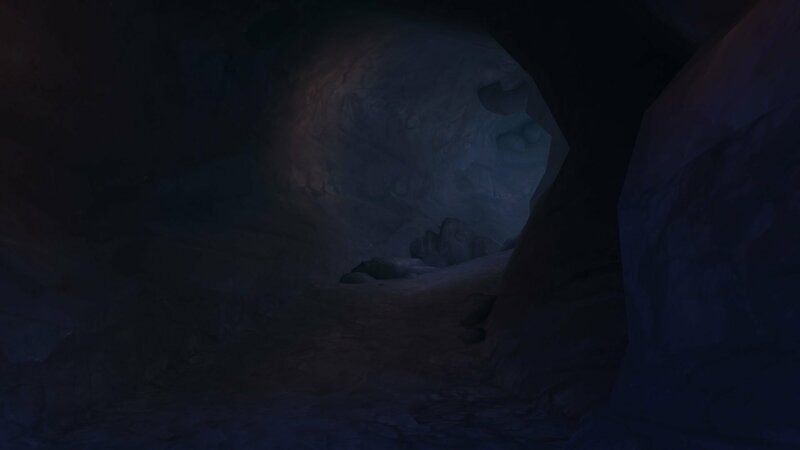 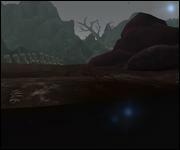 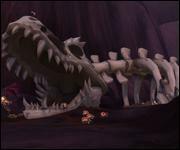 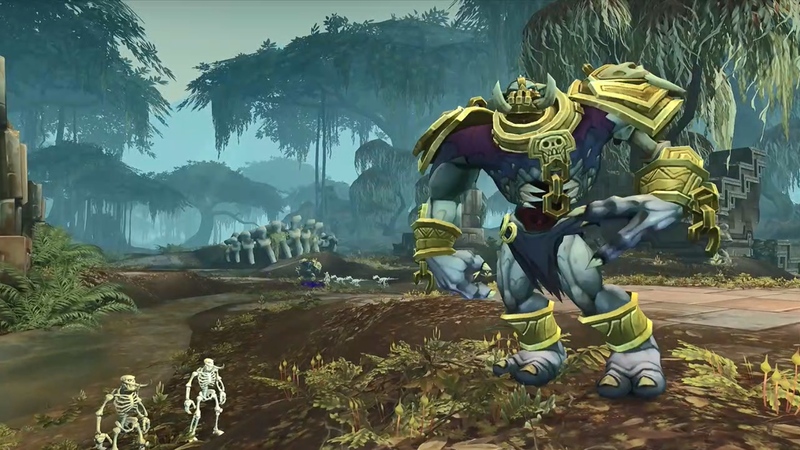 The Loa of Death Bwonsamdi and Krawgwa the Frog Loa play important roles in the story. 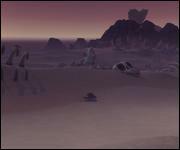 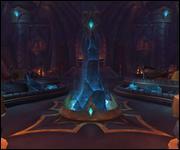 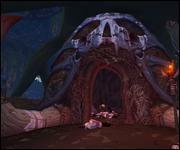 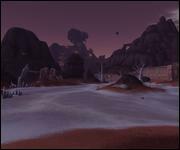 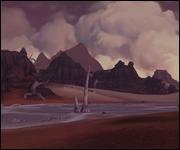 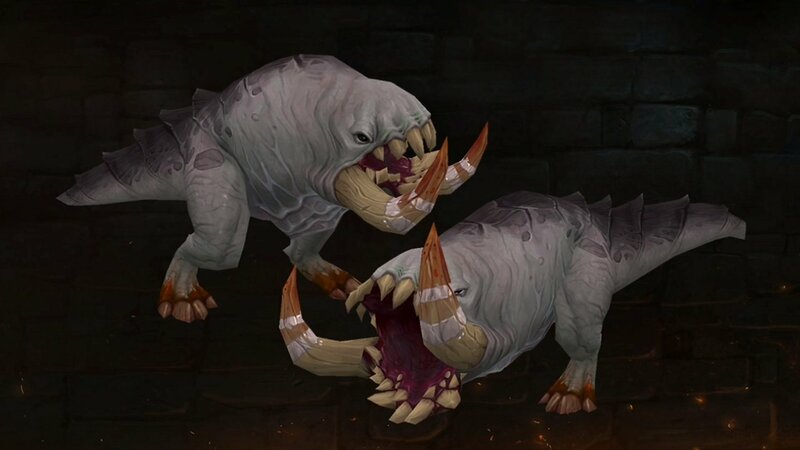 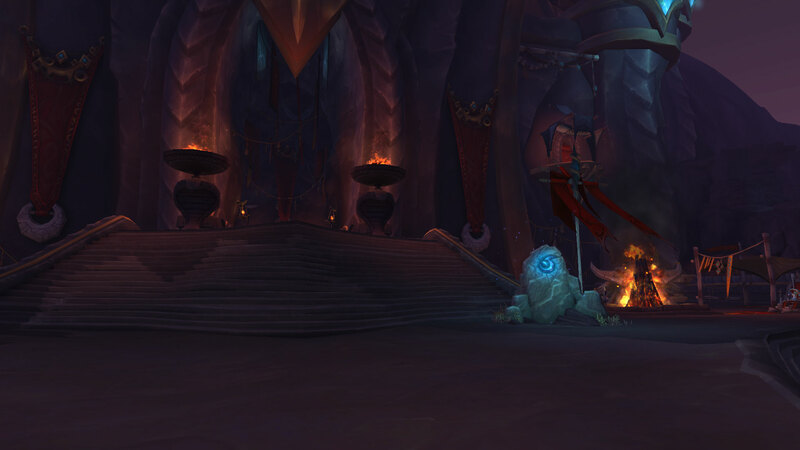 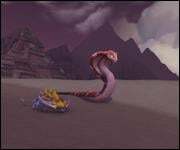 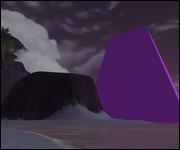 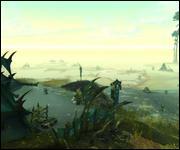 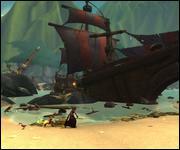 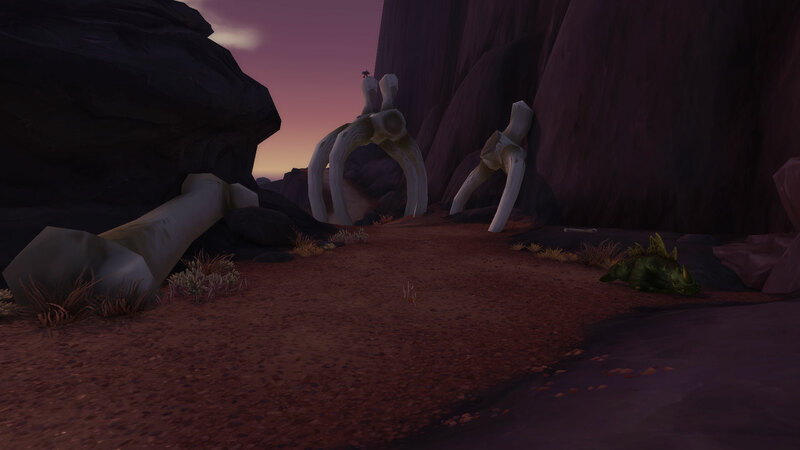 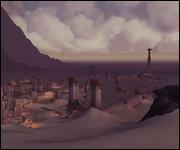 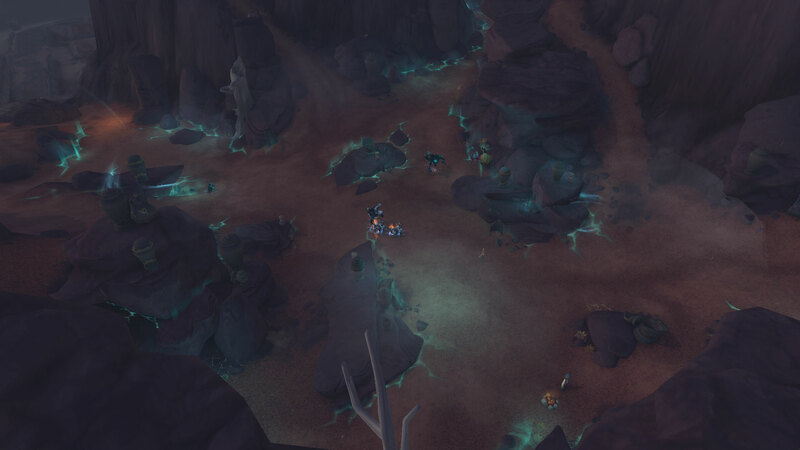 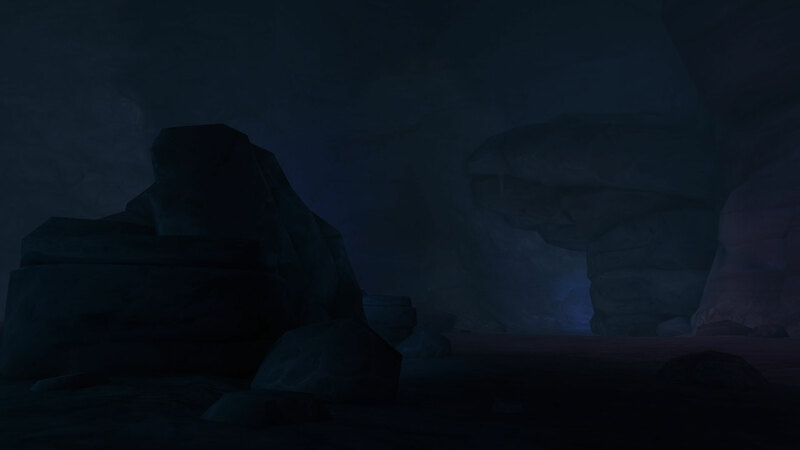 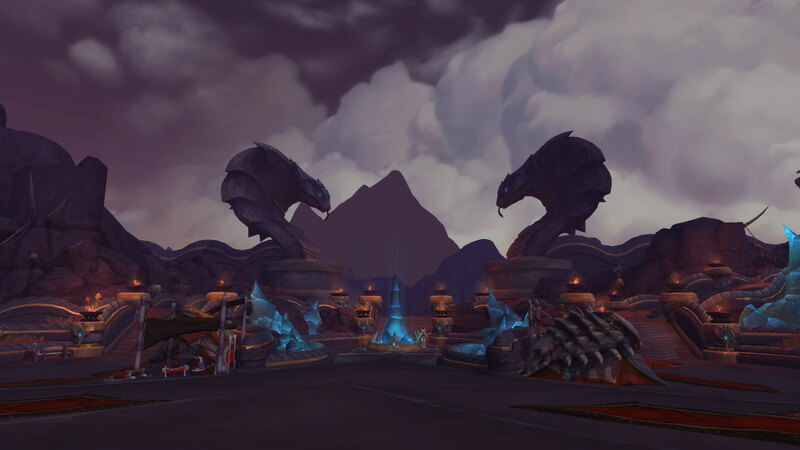 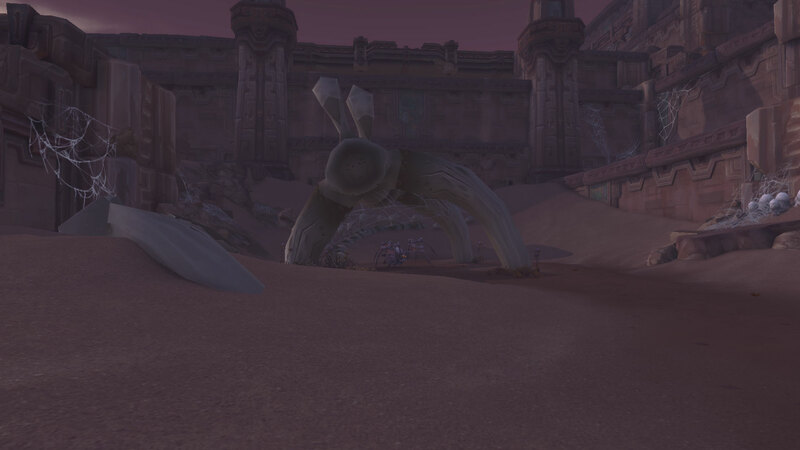 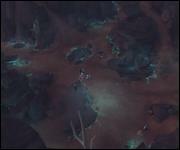 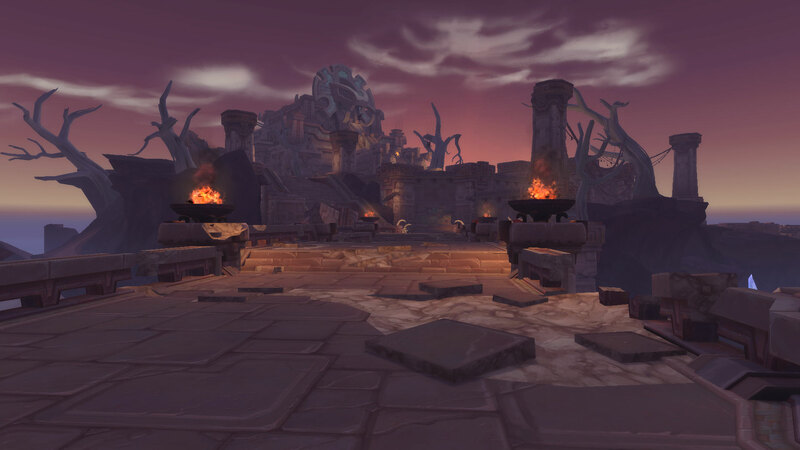 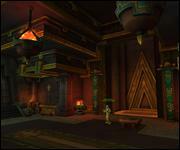 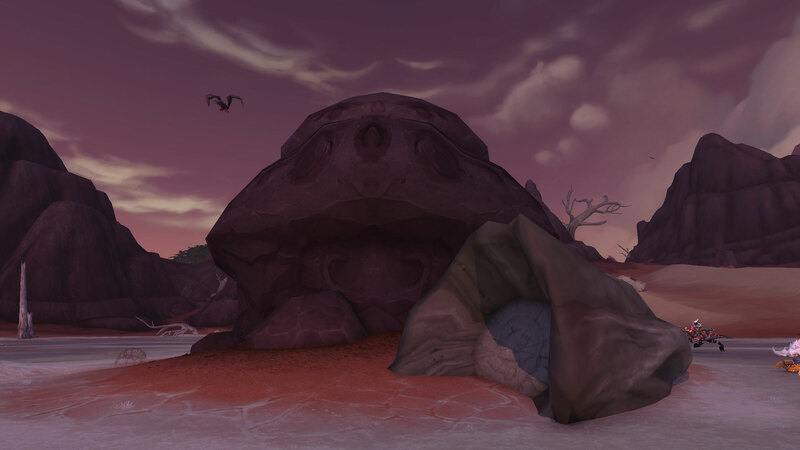 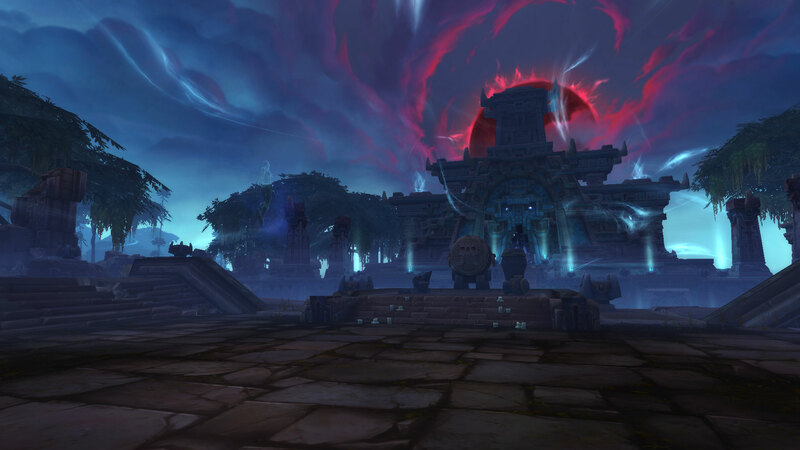 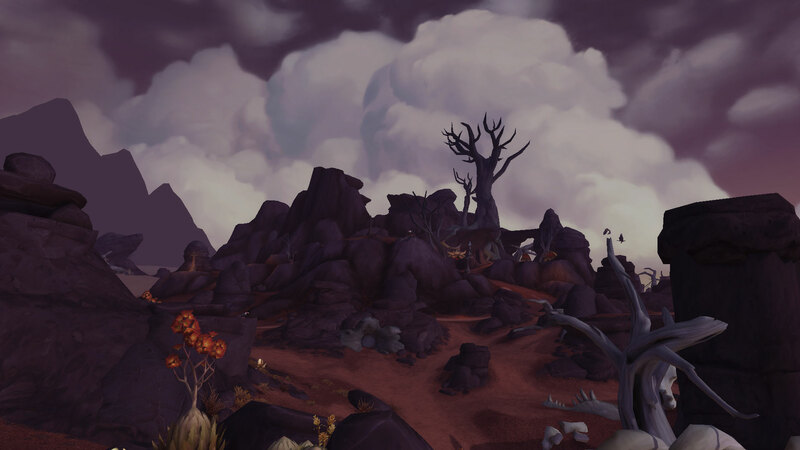 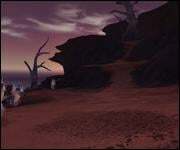 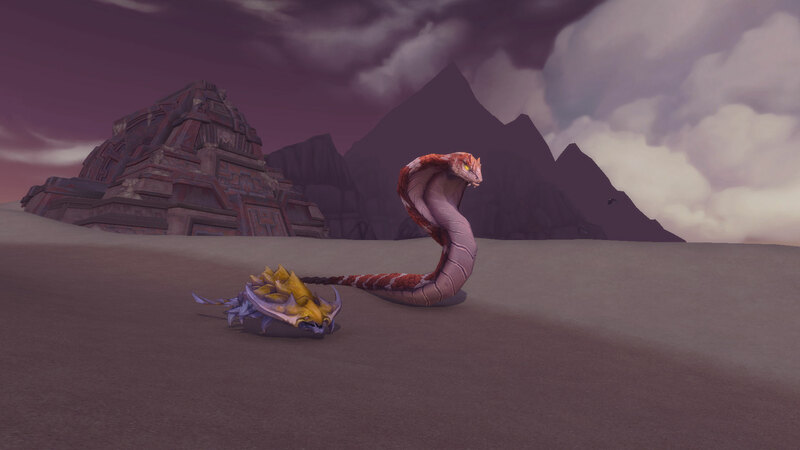 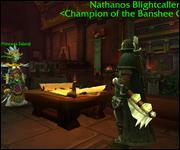 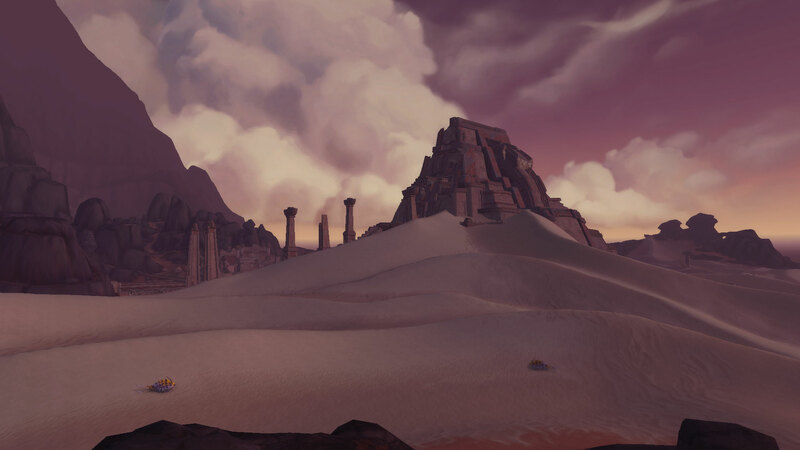 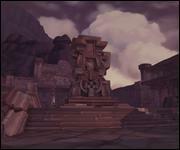 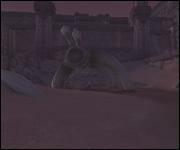 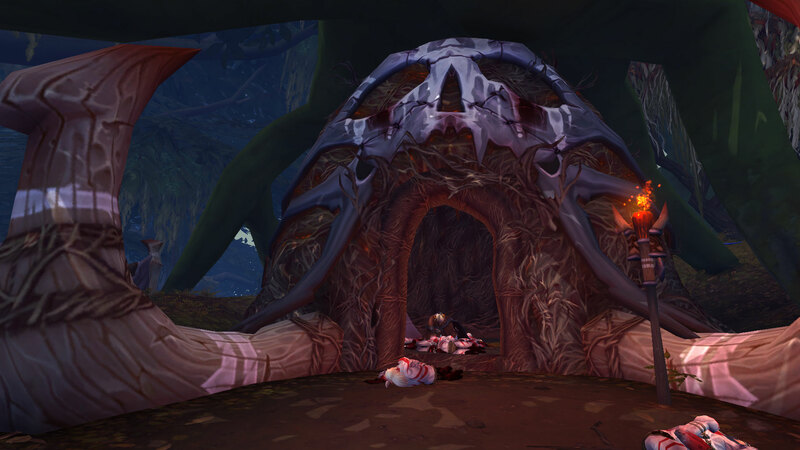 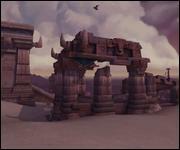 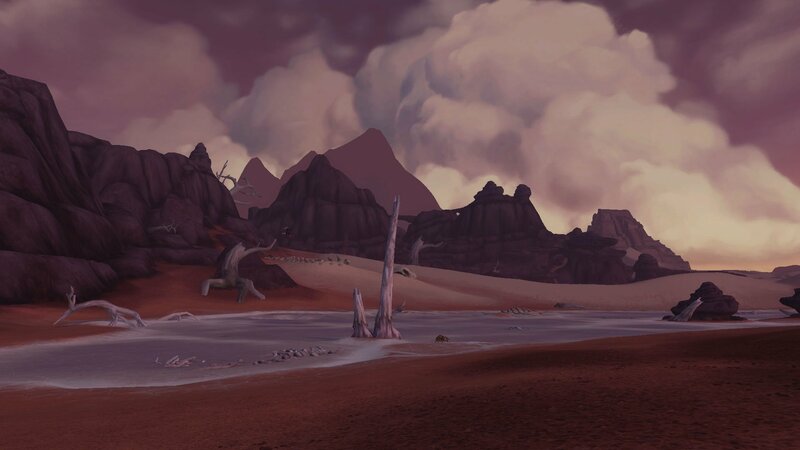 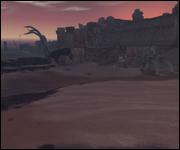 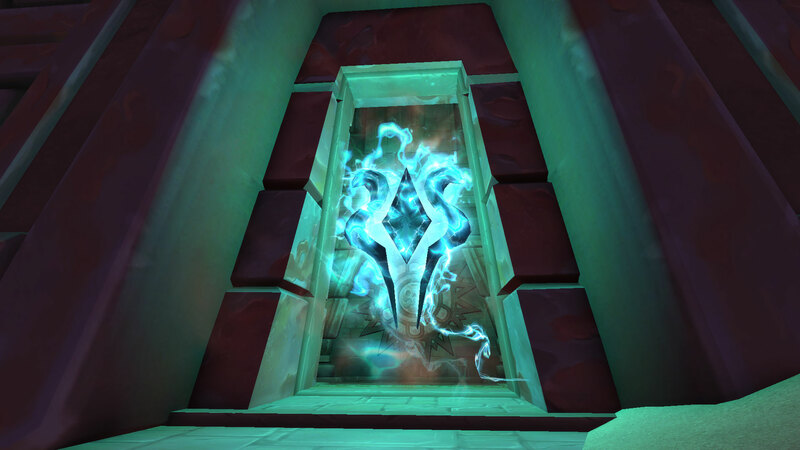 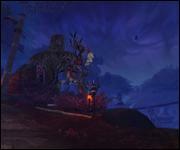 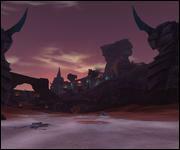 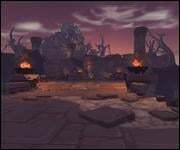 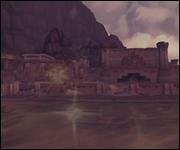 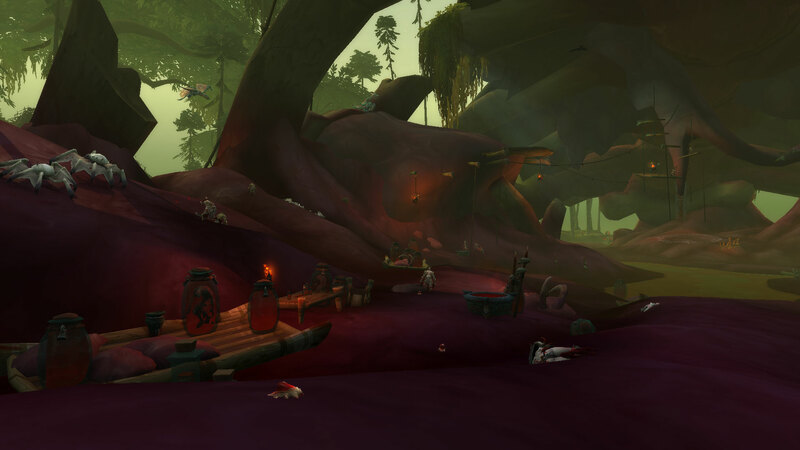 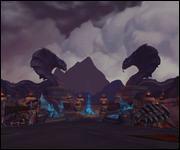 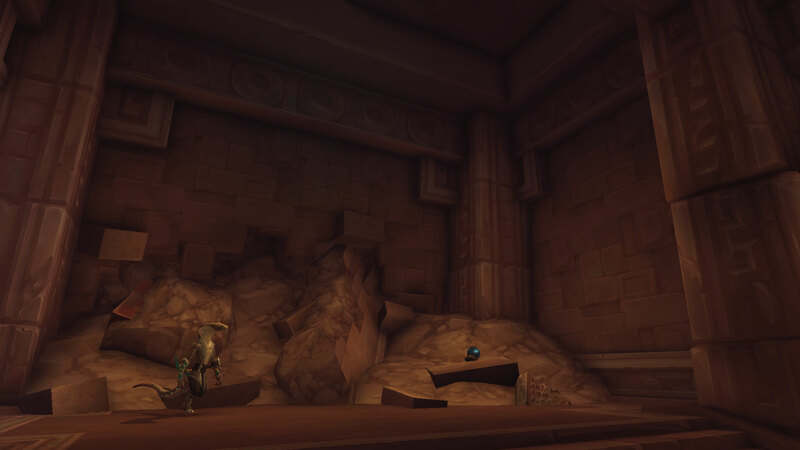 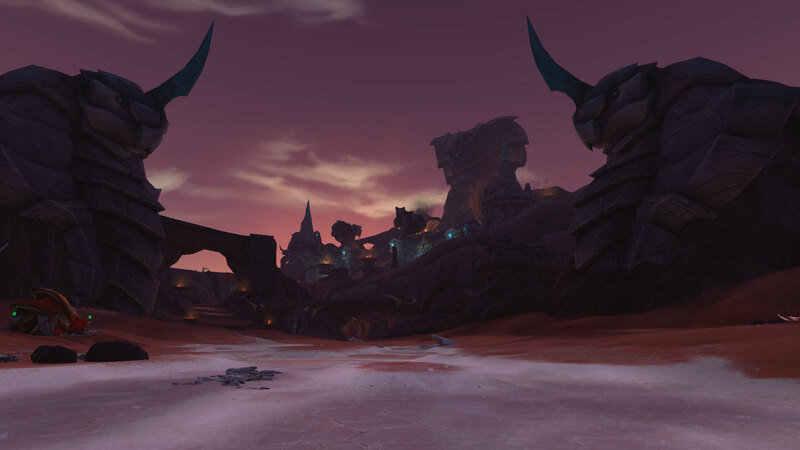 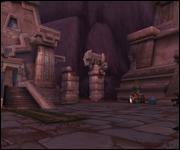 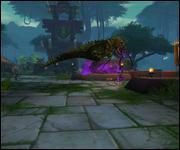 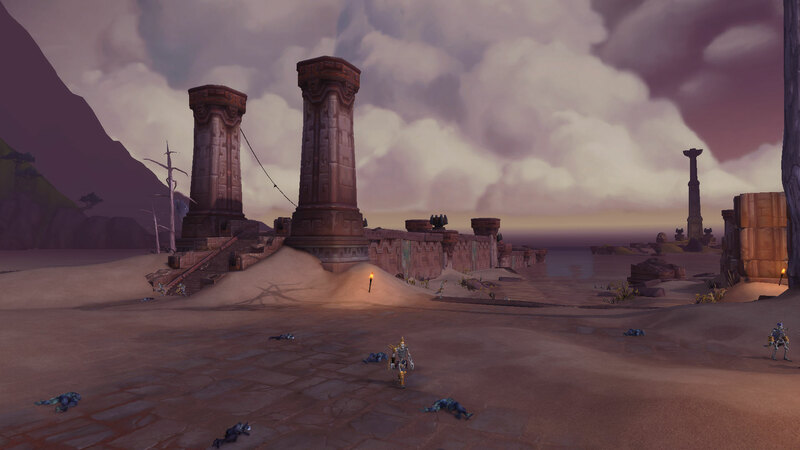 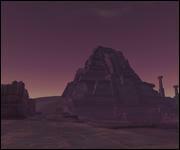 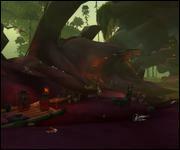 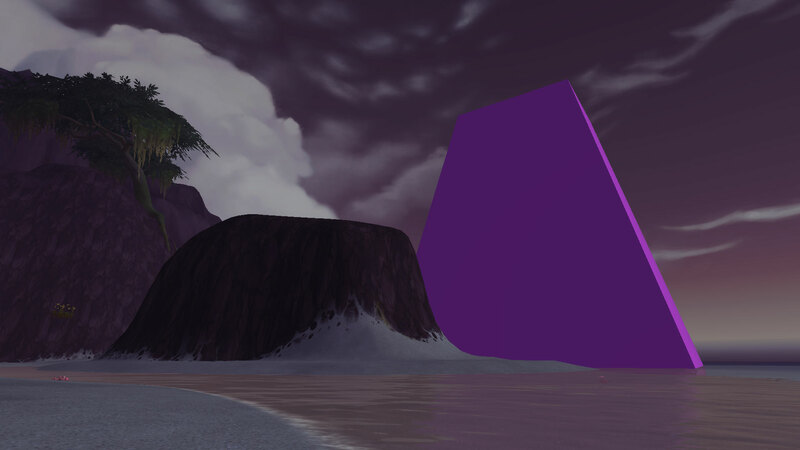 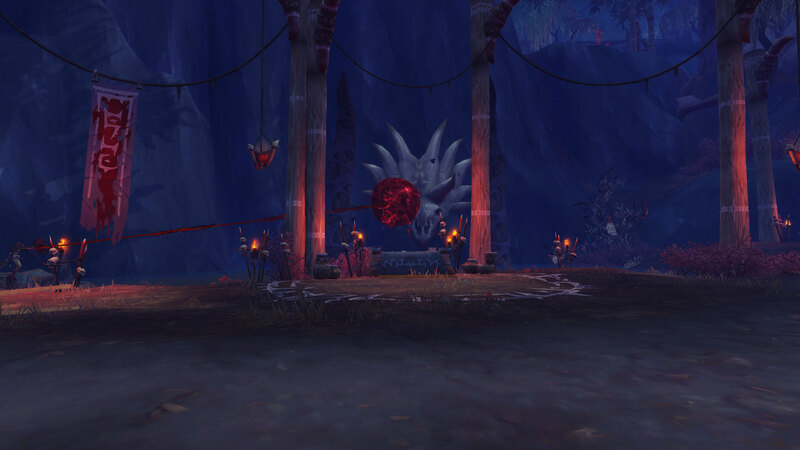 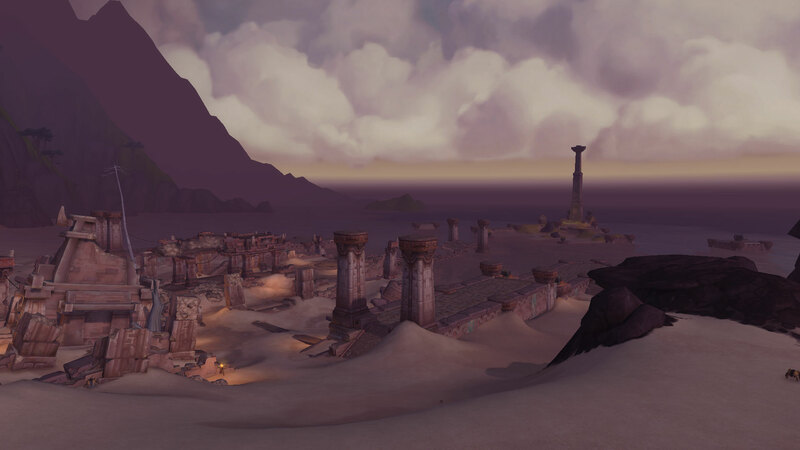 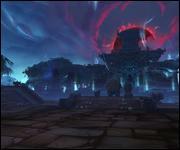 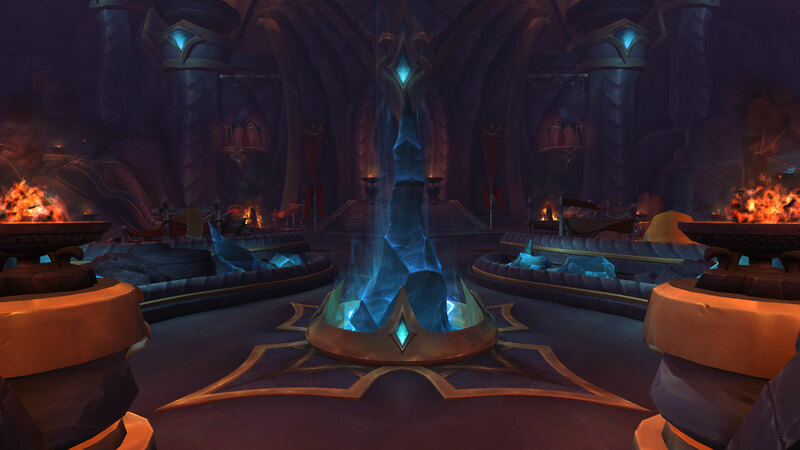 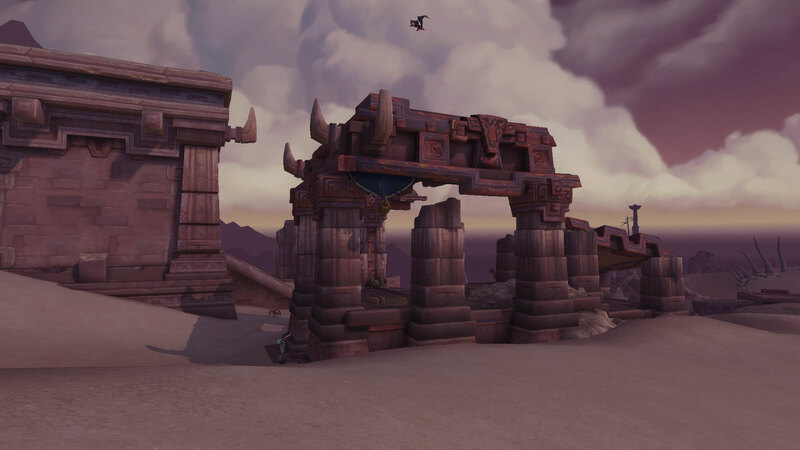 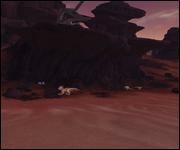 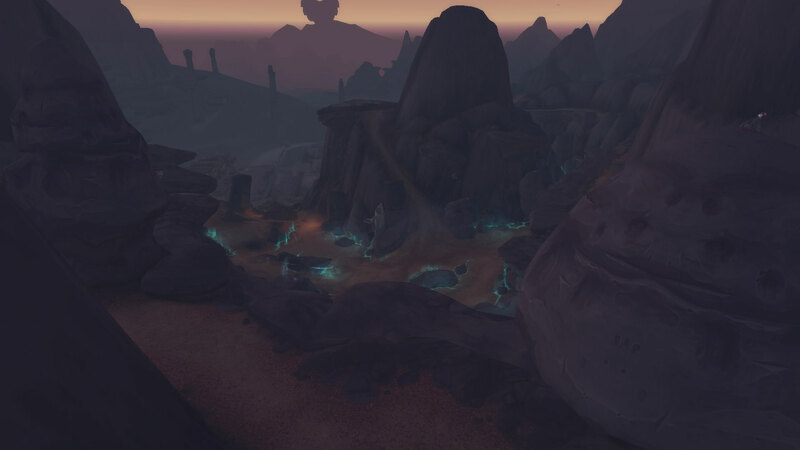 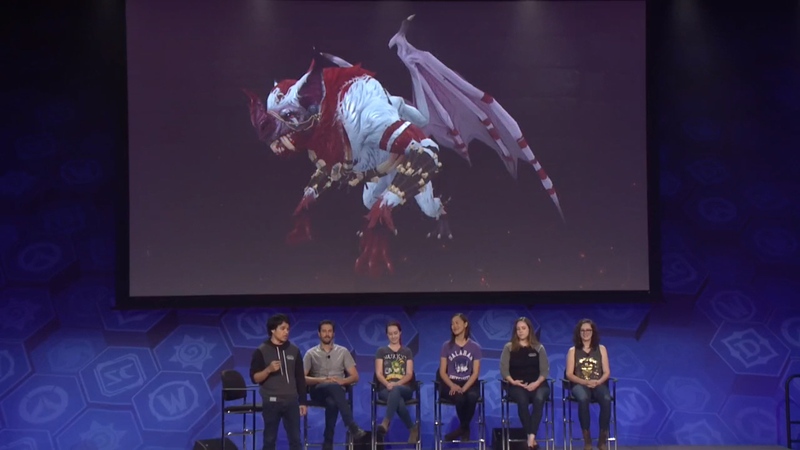 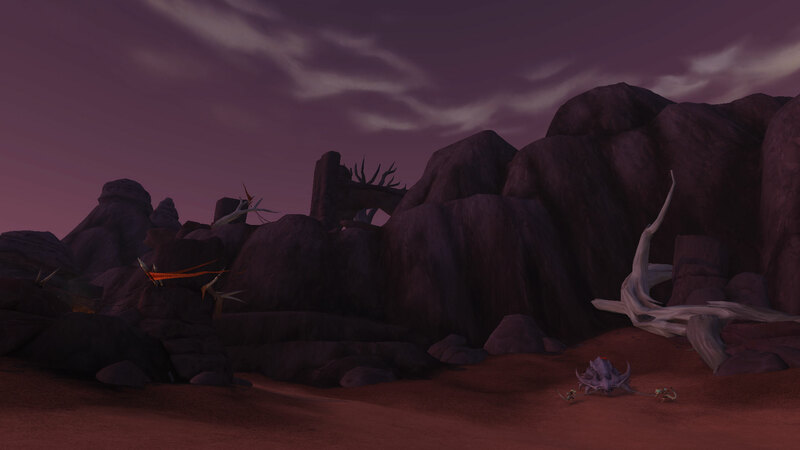 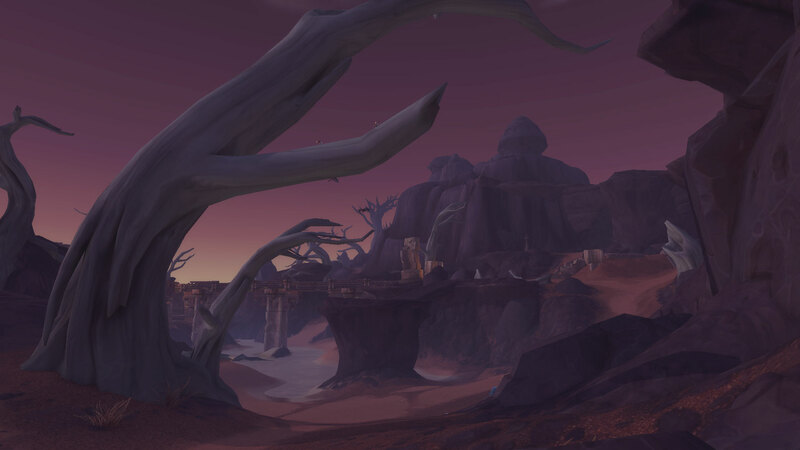 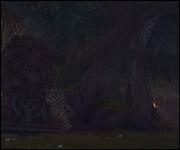 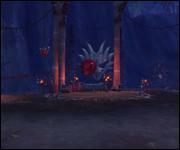 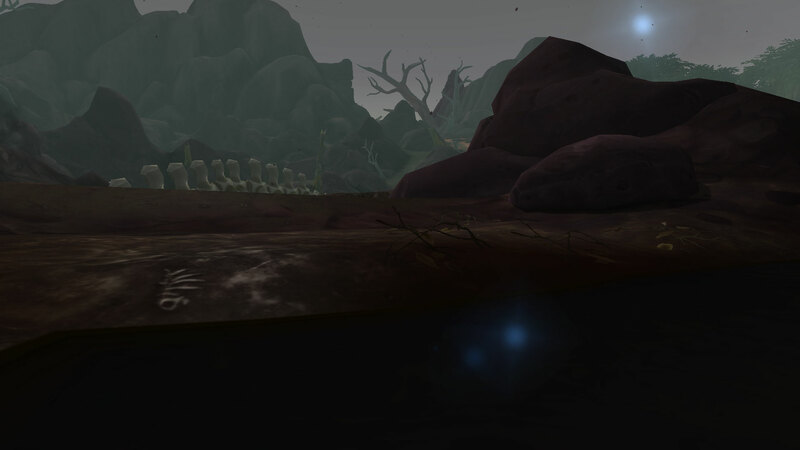 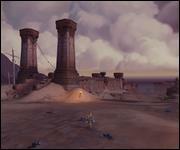 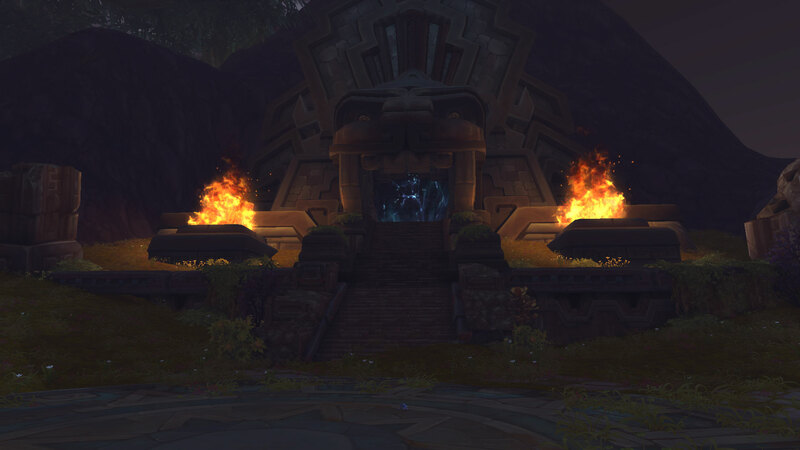 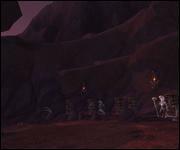 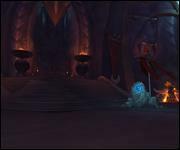 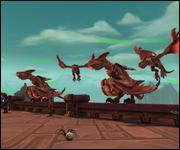 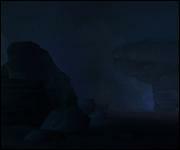 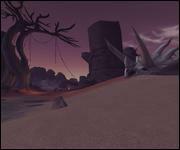 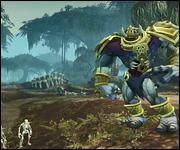 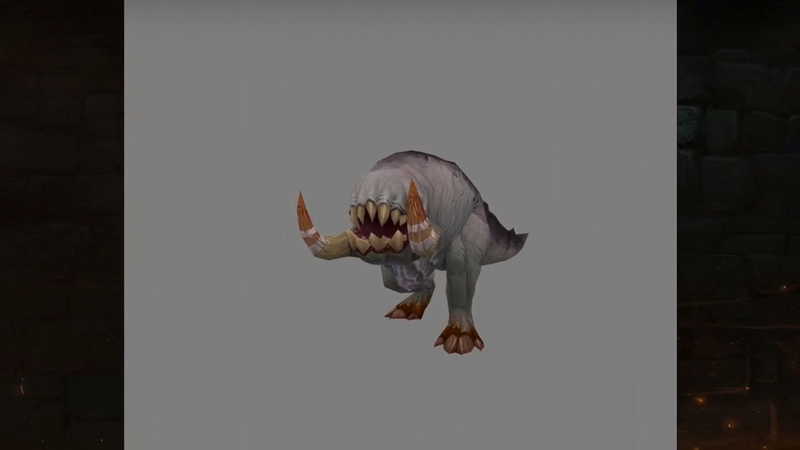 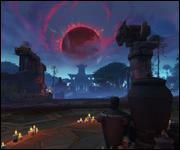 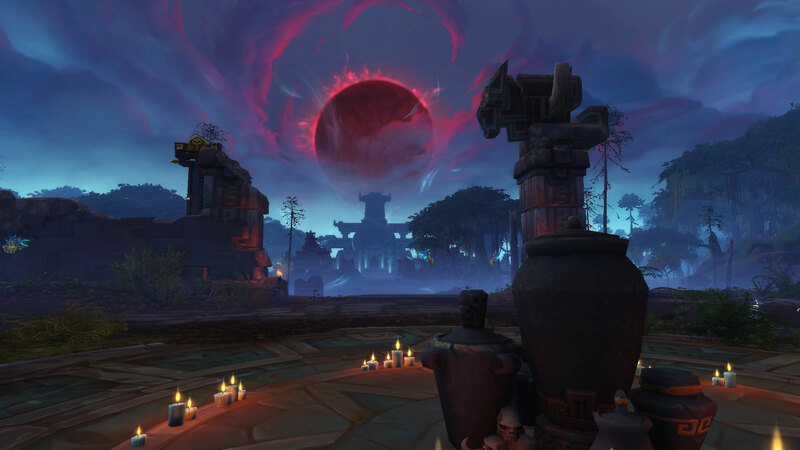 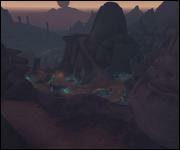 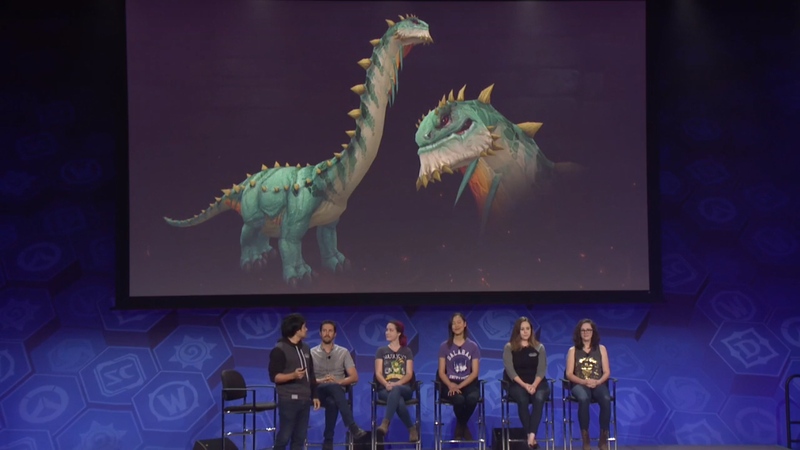 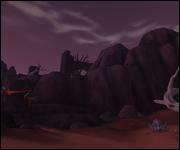 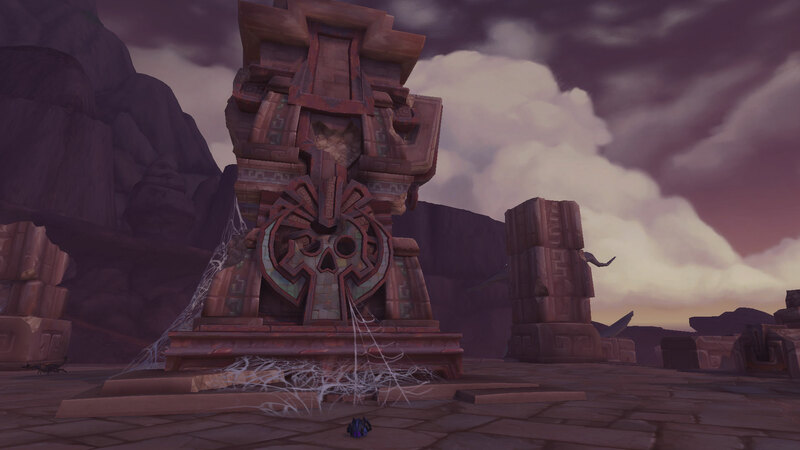 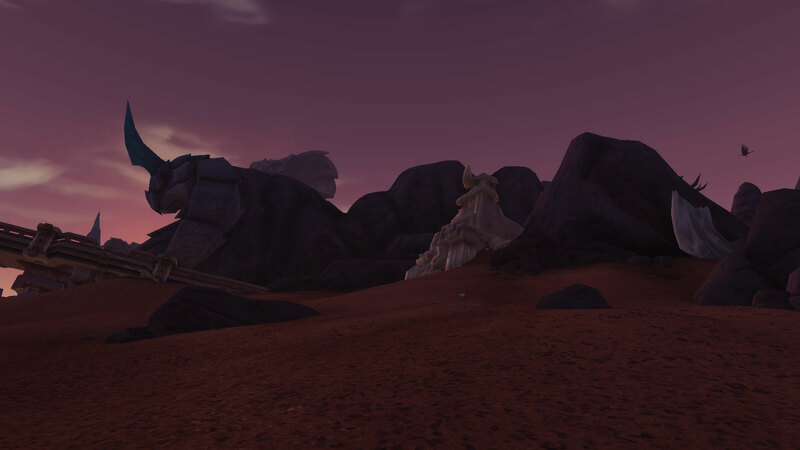 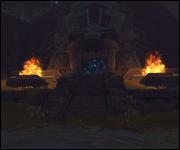 Nazmir also contains a Titan facility that holds the key to destroying all life on Azeroth. 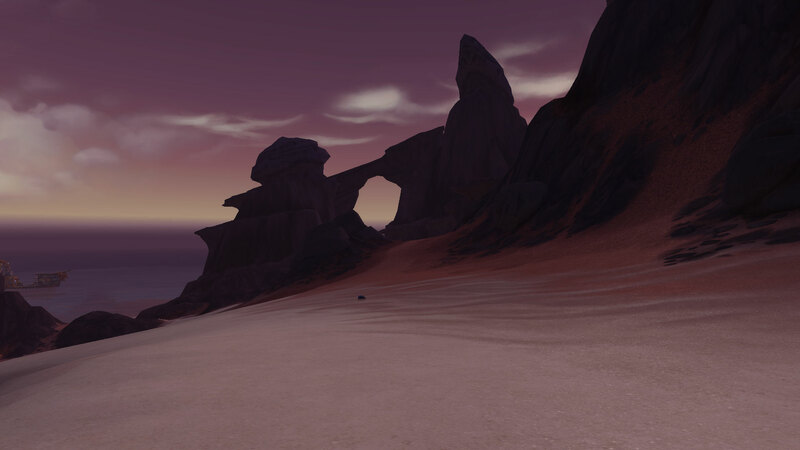 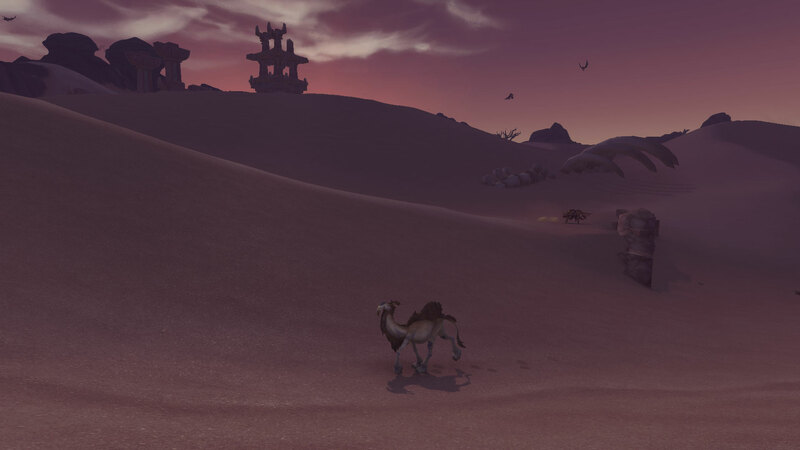 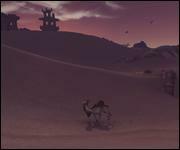 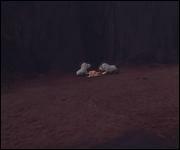 To the northwest lies the desert of Vol'dun. 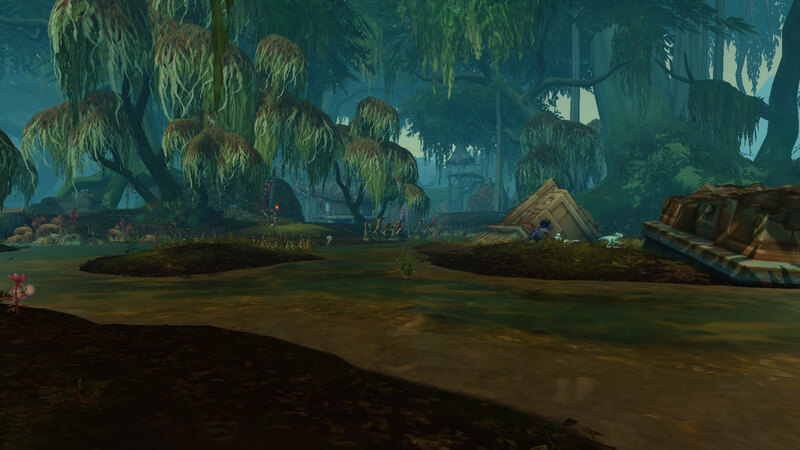 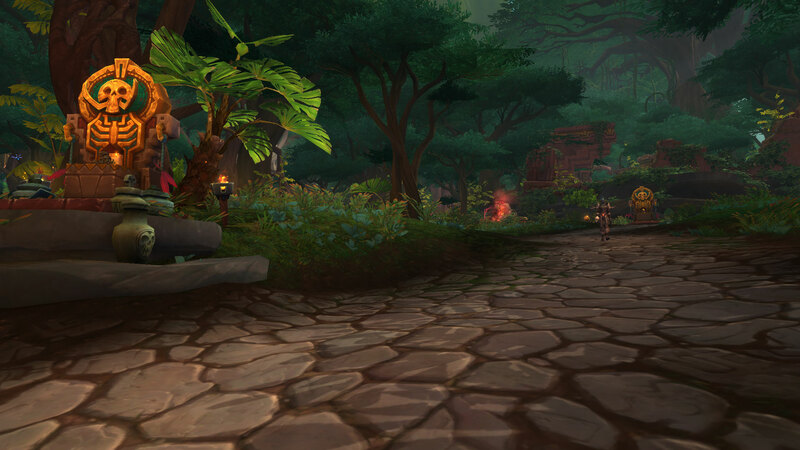 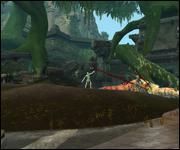 It used to be a thriving jungle until the Aqir destroyed it. 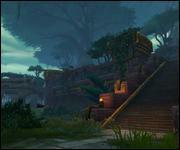 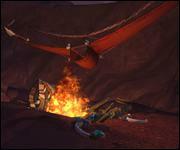 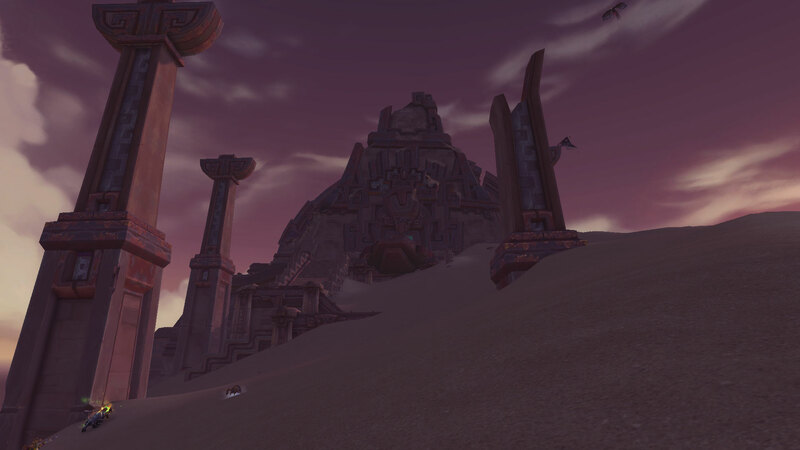 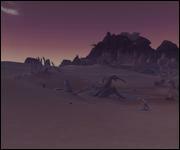 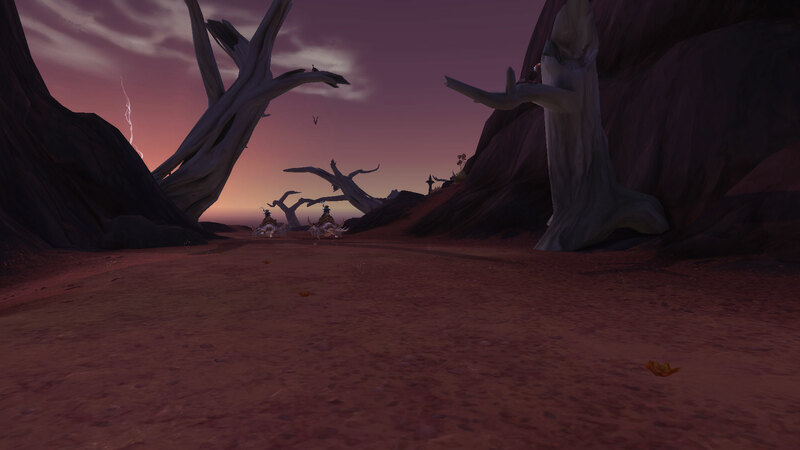 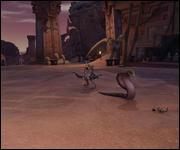 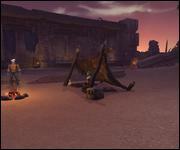 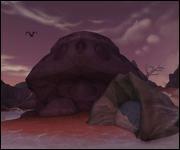 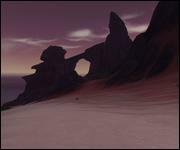 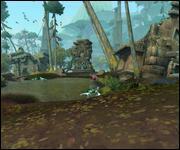 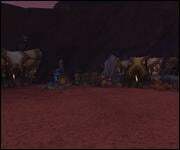 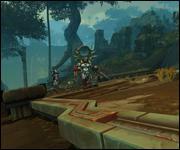 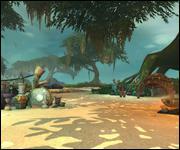 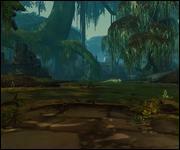 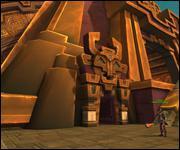 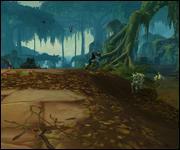 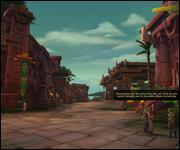 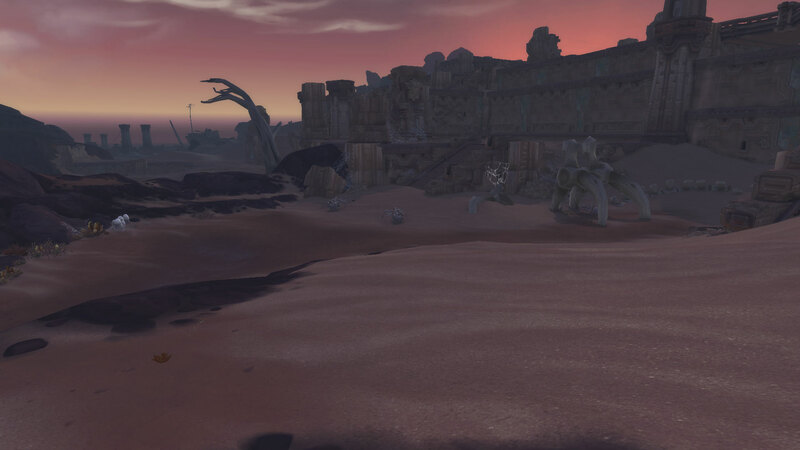 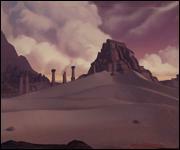 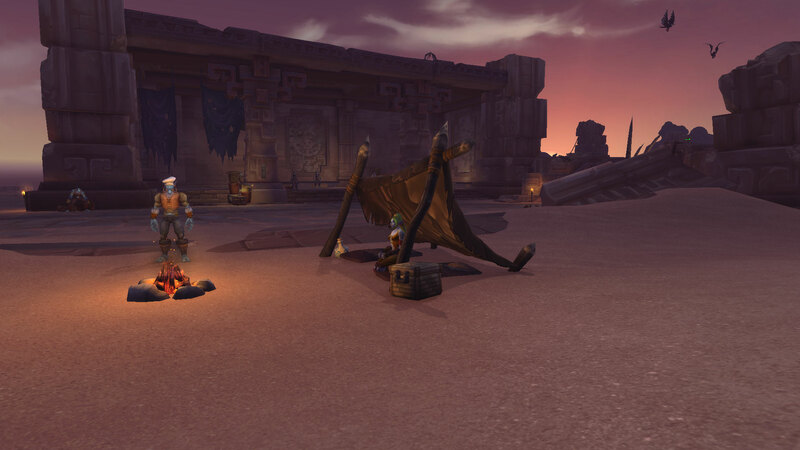 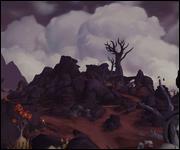 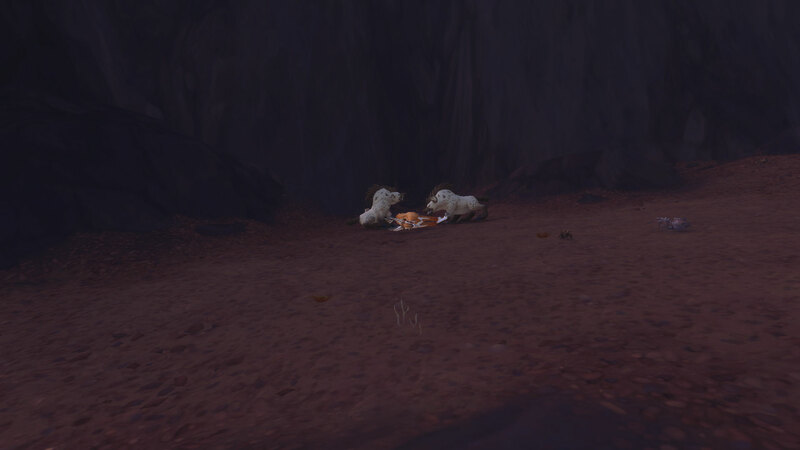 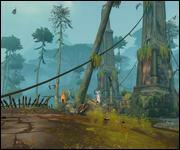 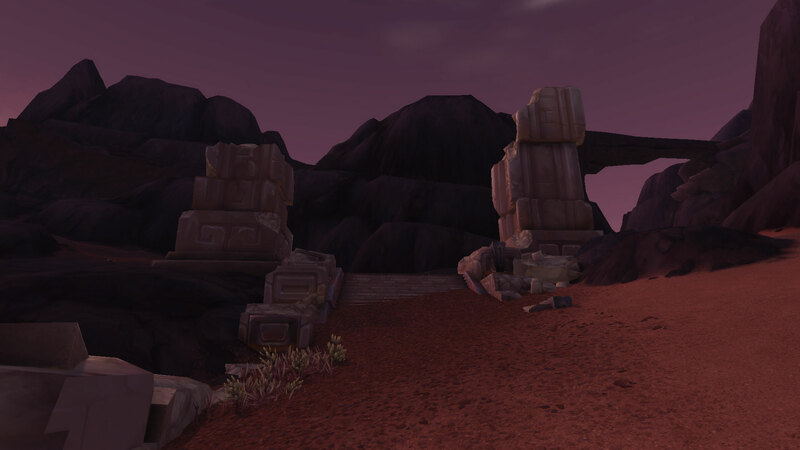 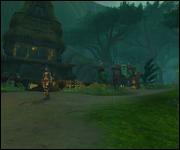 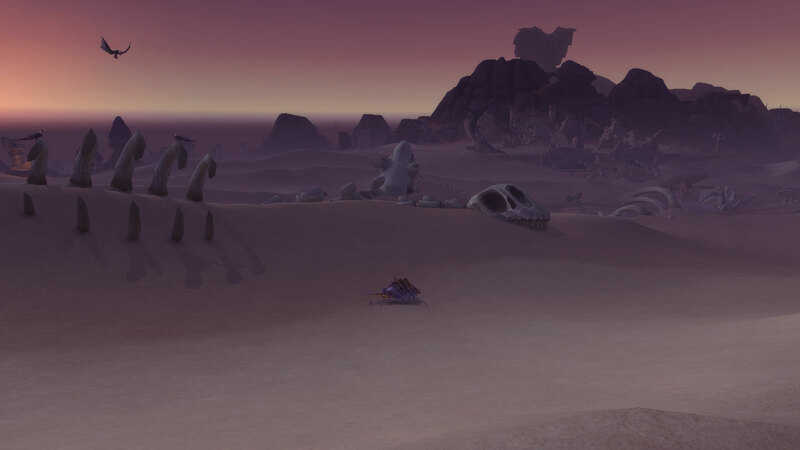 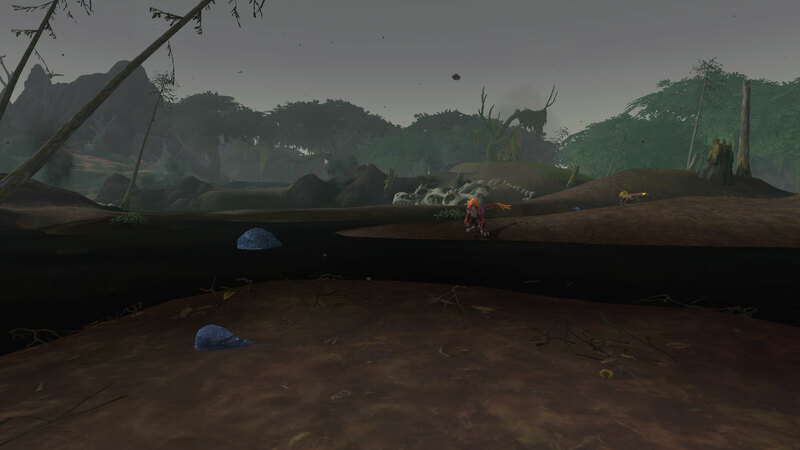 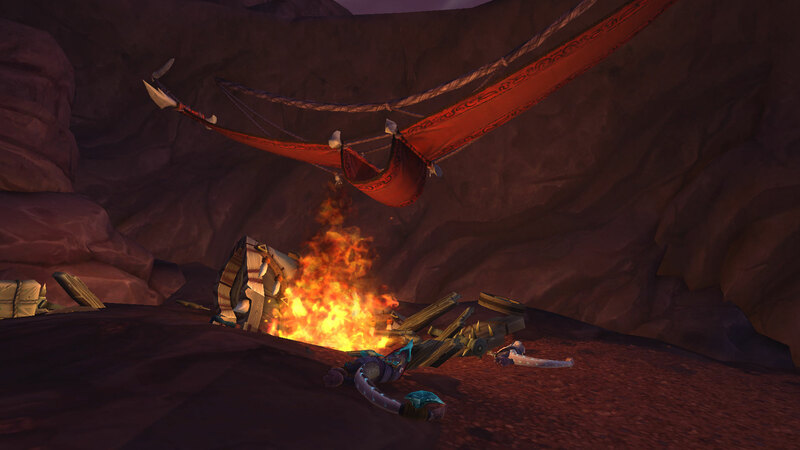 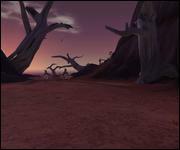 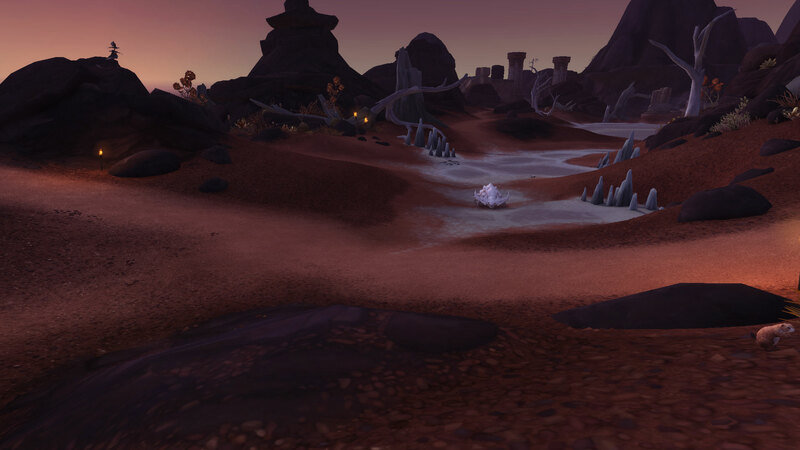 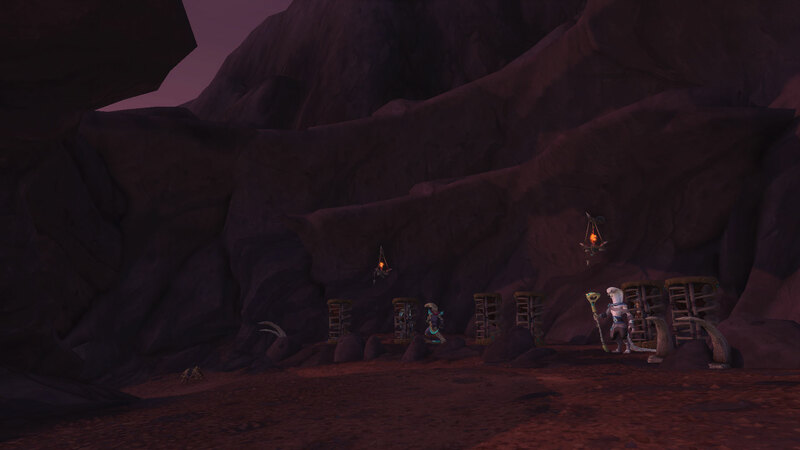 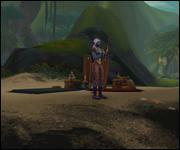 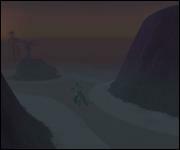 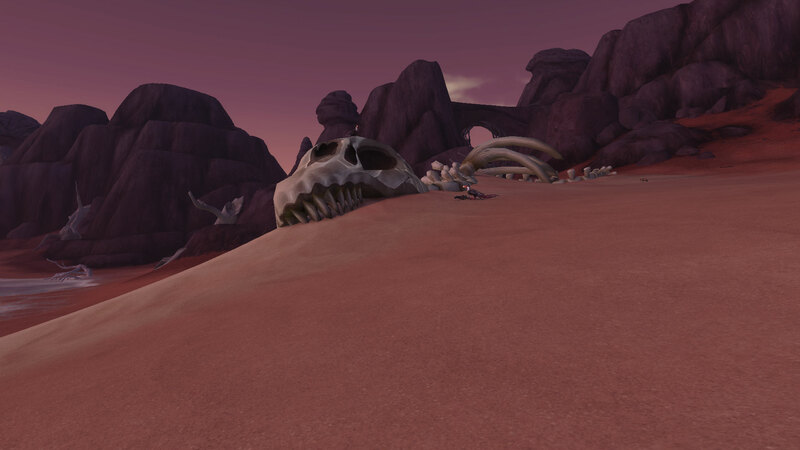 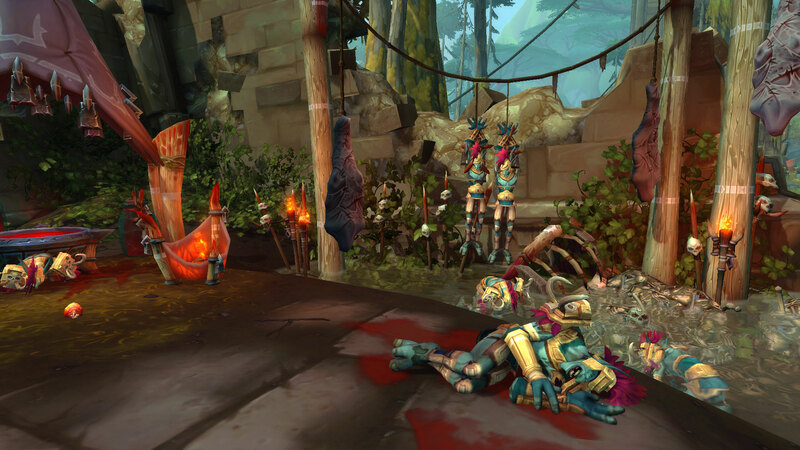 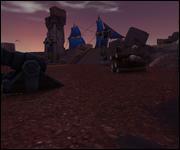 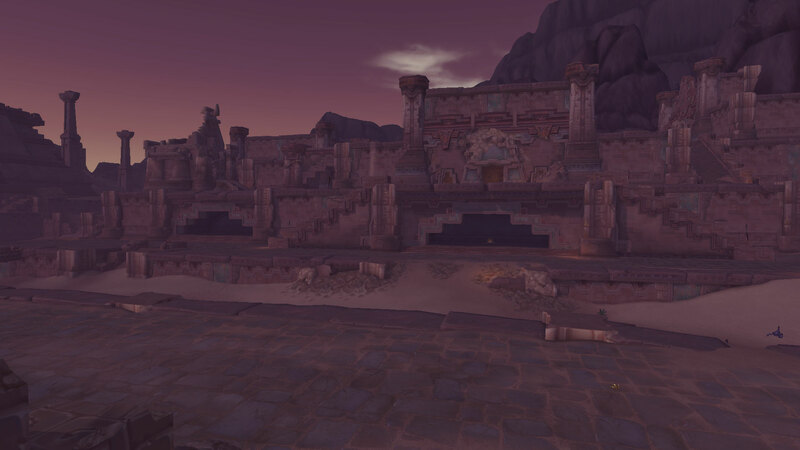 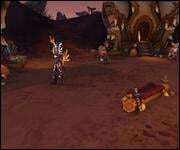 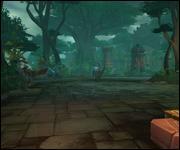 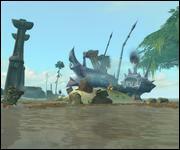 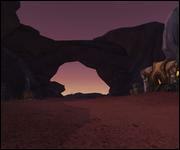 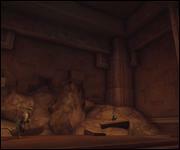 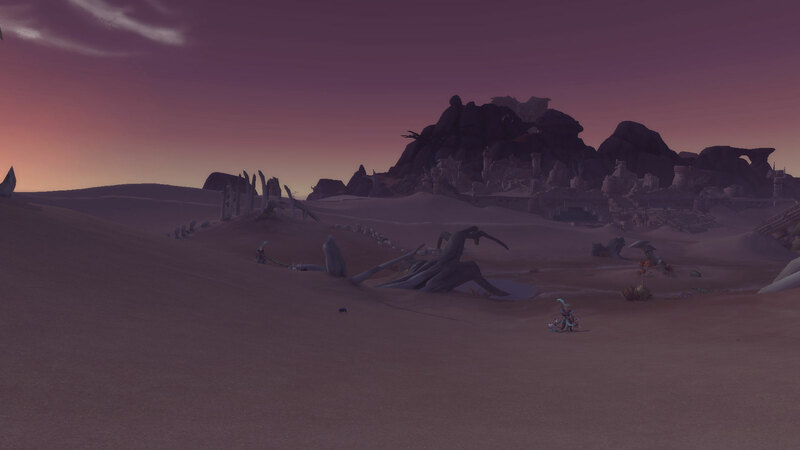 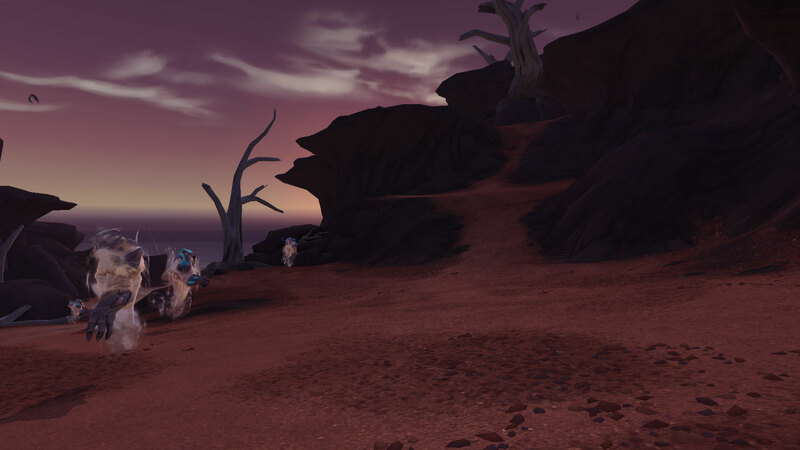 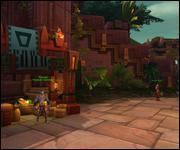 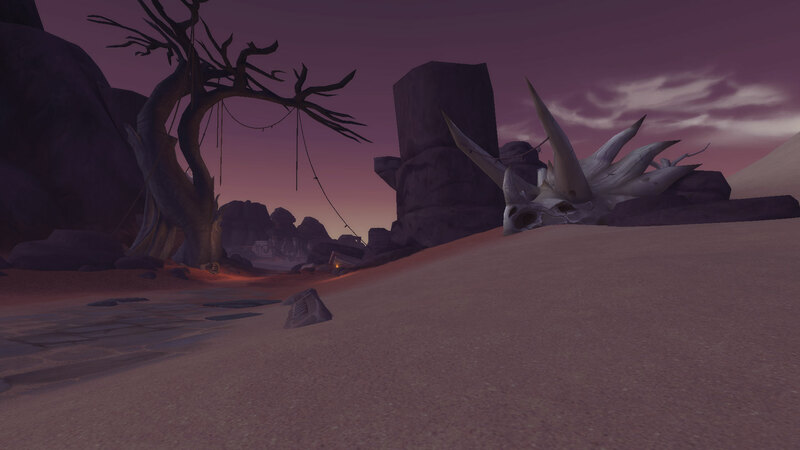 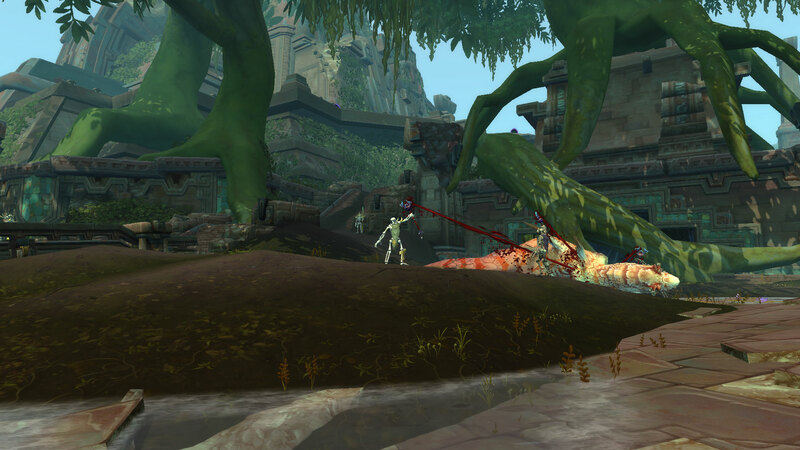 Zandalar send their criminals to this desert to die, however, some survive to cause problems. 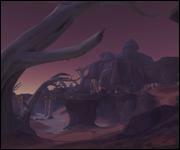 A native race of fox people called the Vulpera make their home in this desert as well. 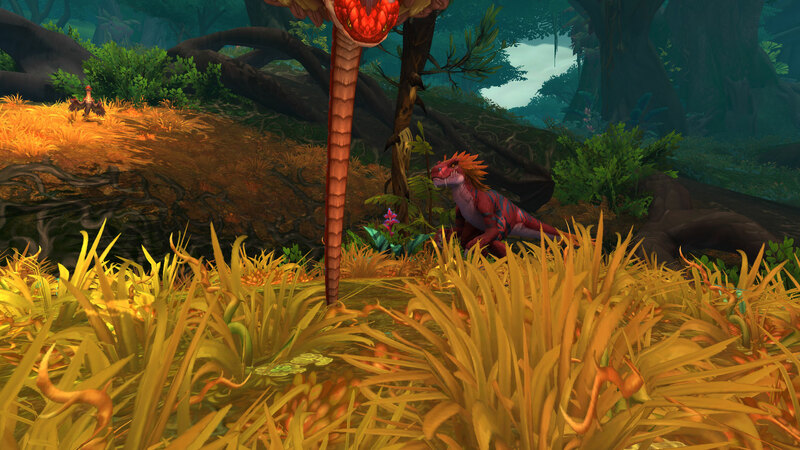 They will need help against the Sethrak, sentient snake people, who also cause trouble. 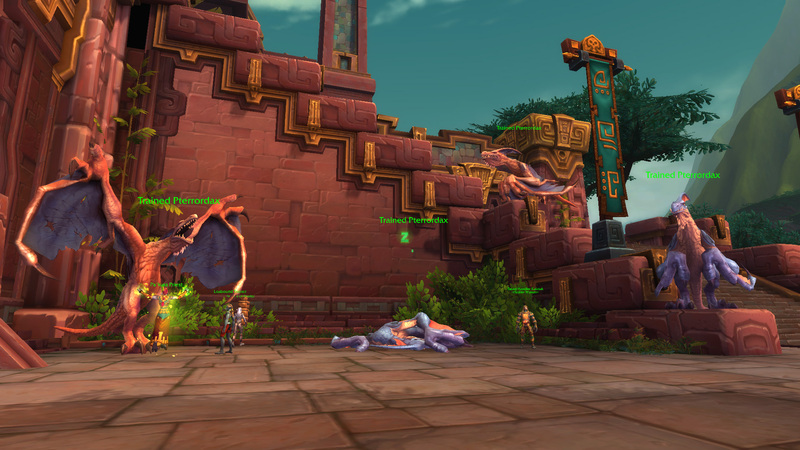 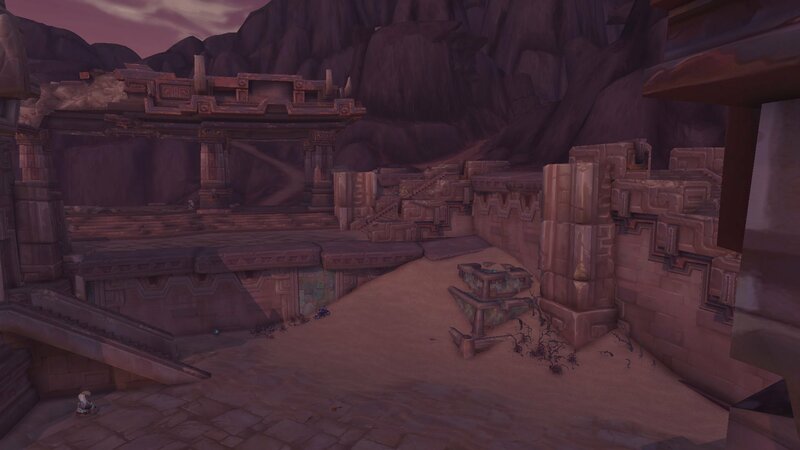 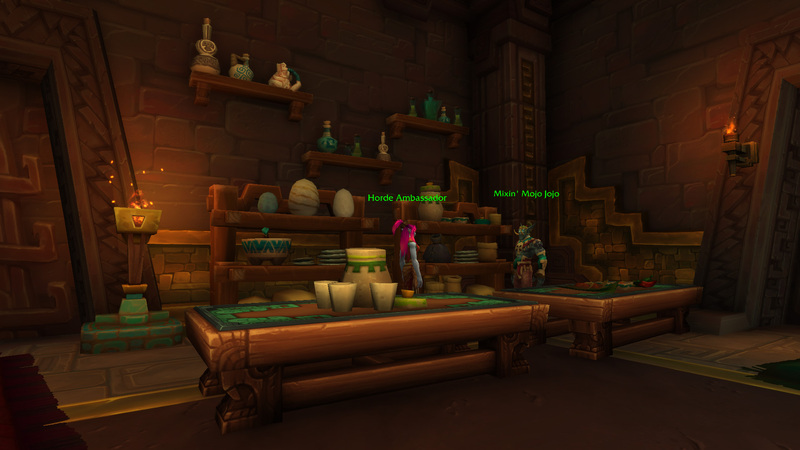 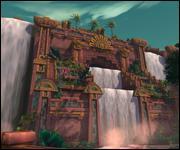 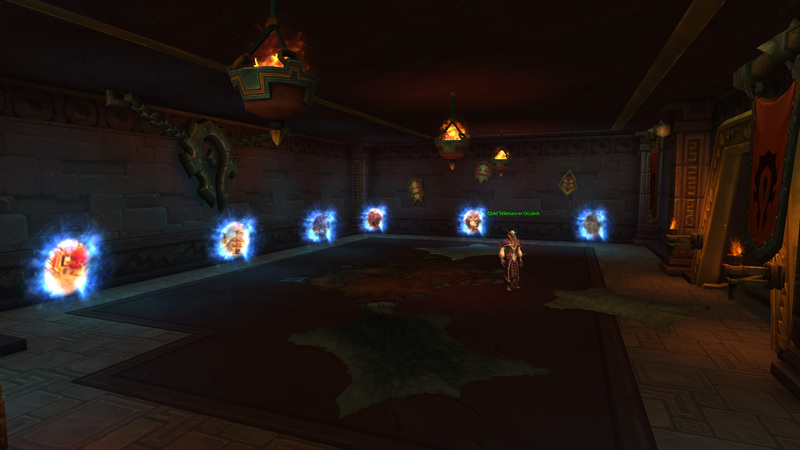 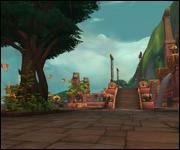 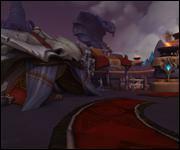 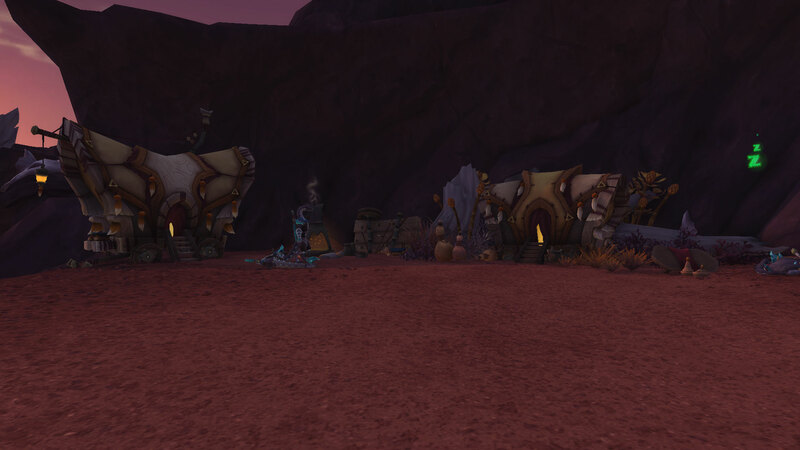 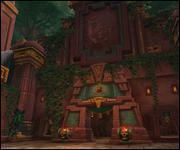 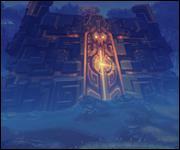 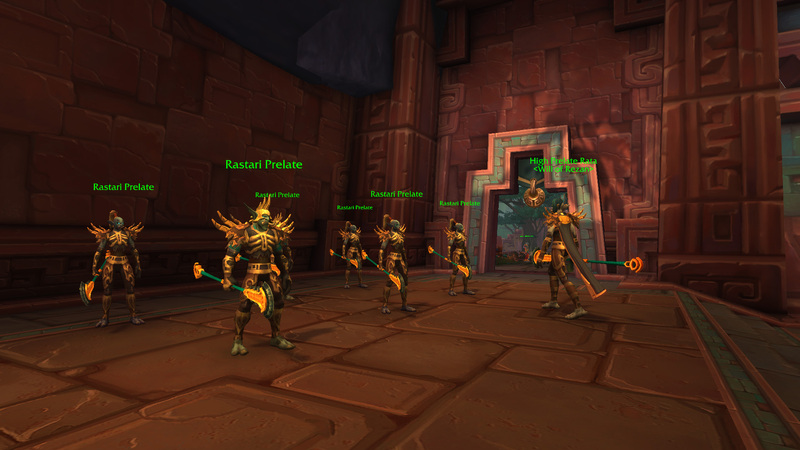 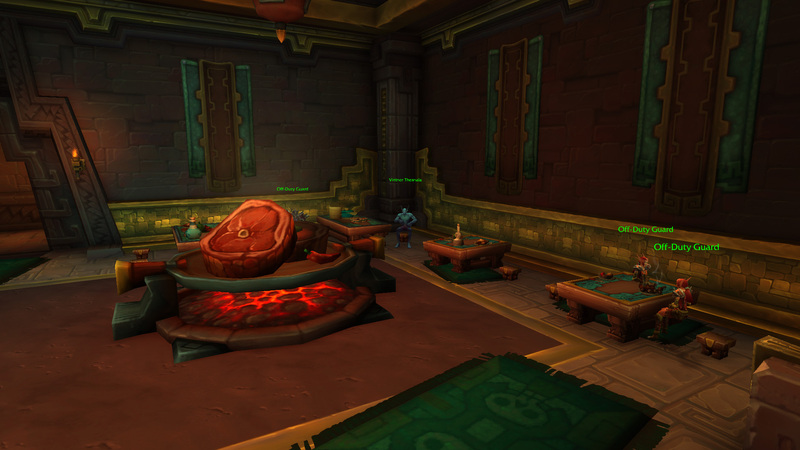 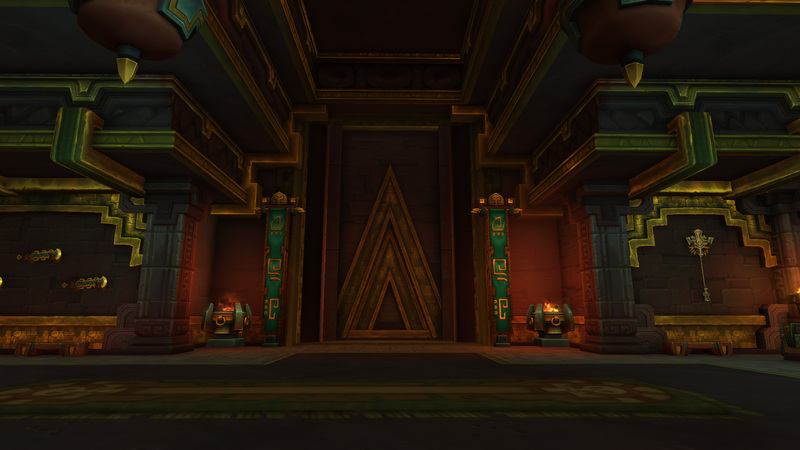 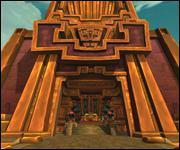 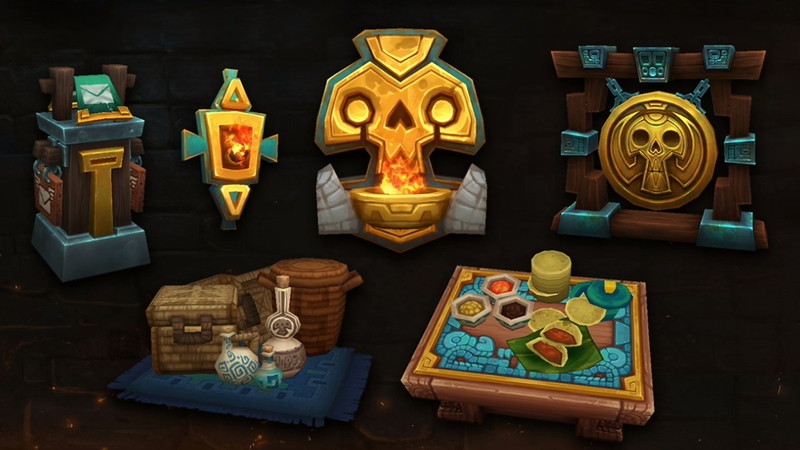 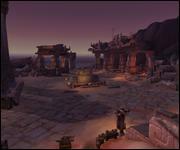 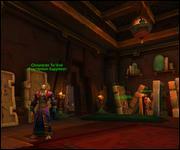 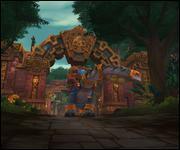 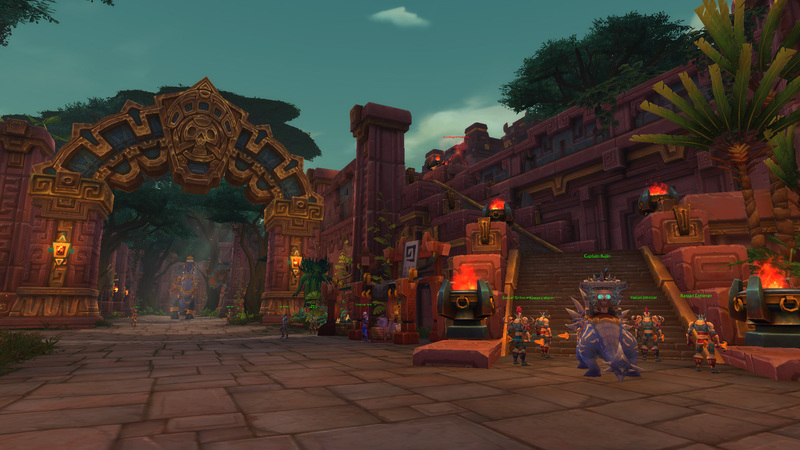 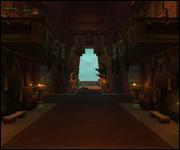 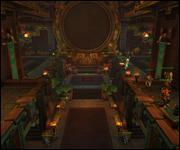 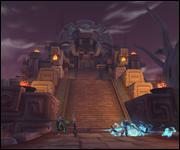 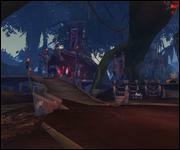 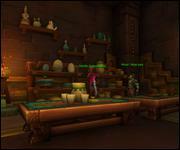 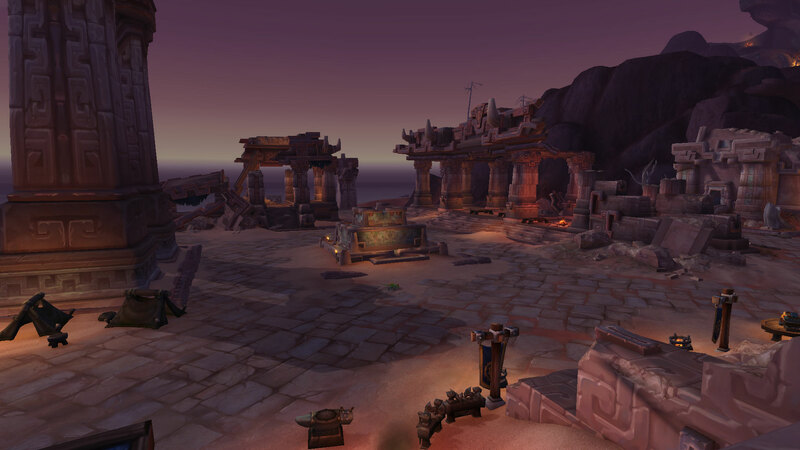 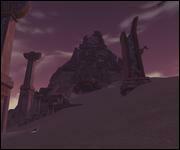 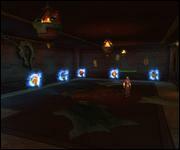 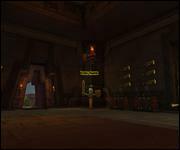 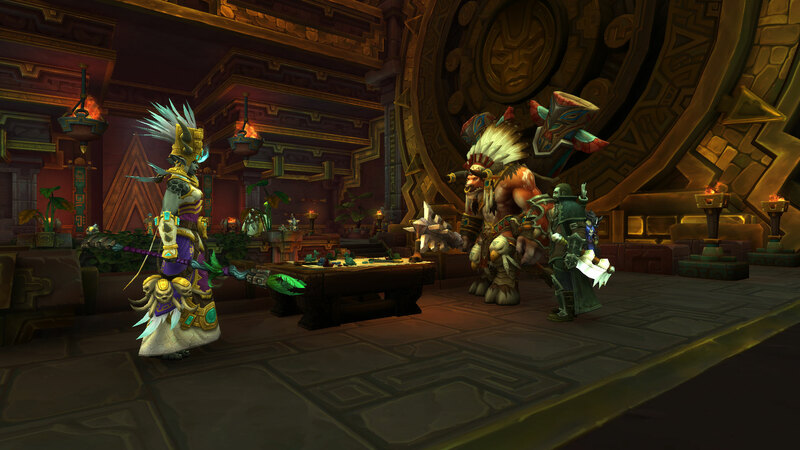 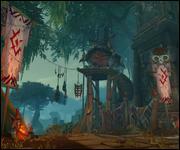 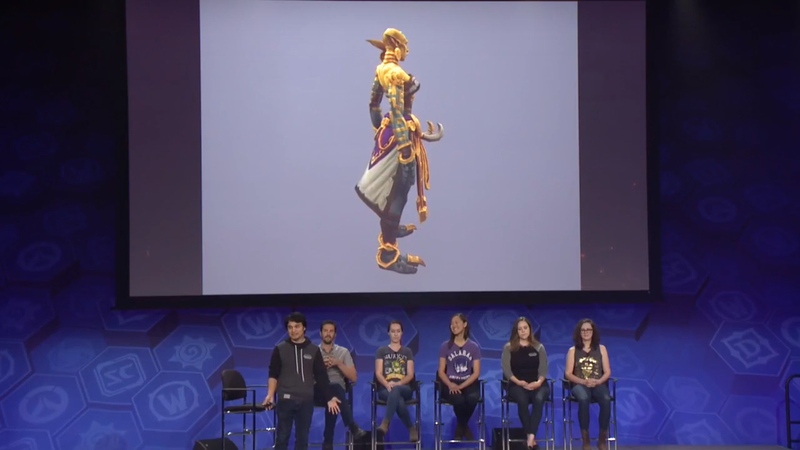 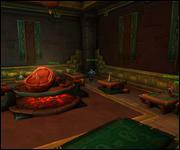 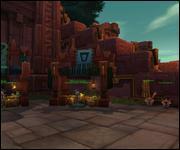 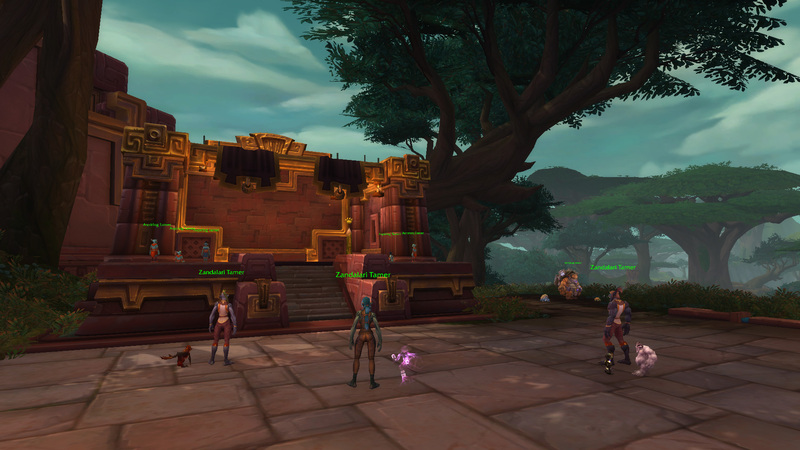 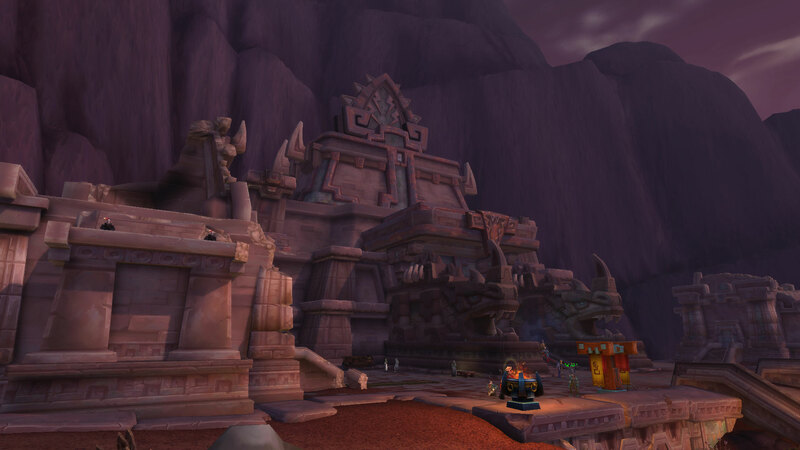 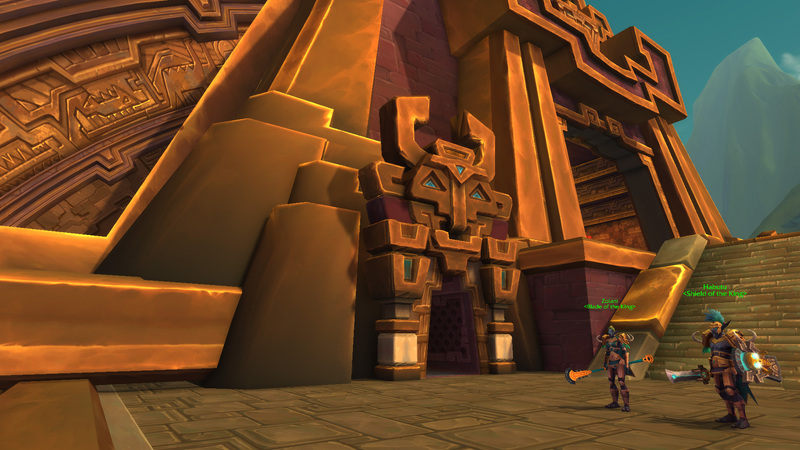 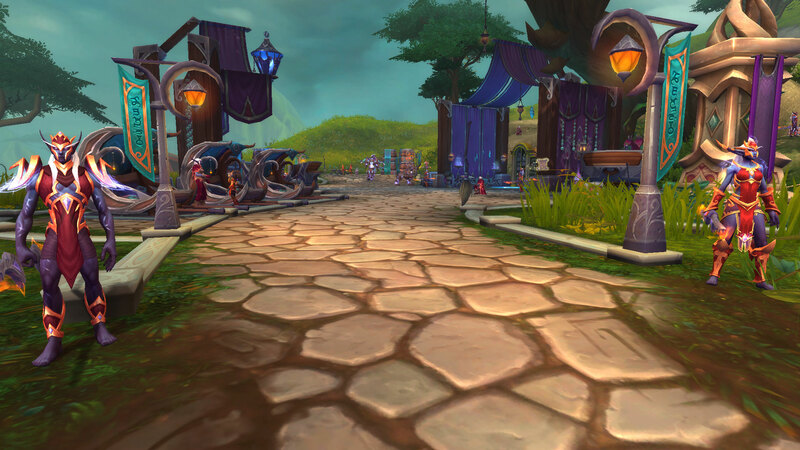 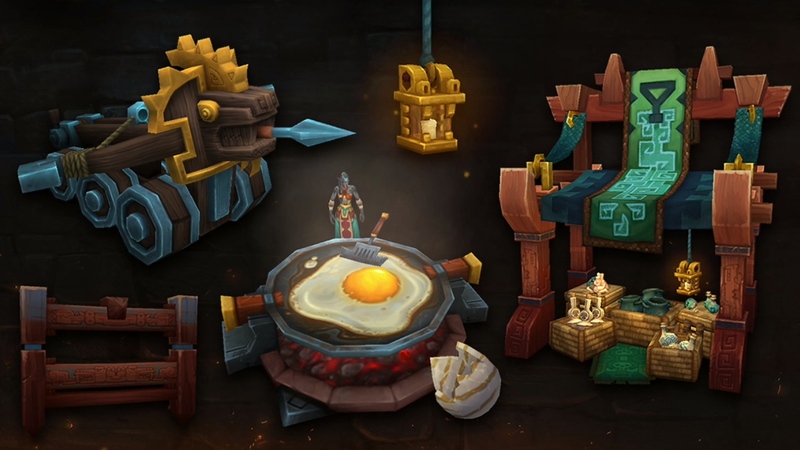 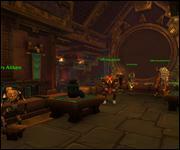 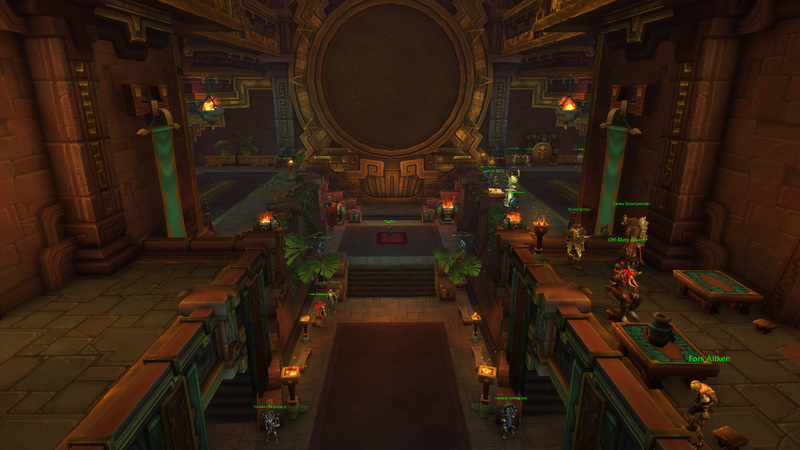 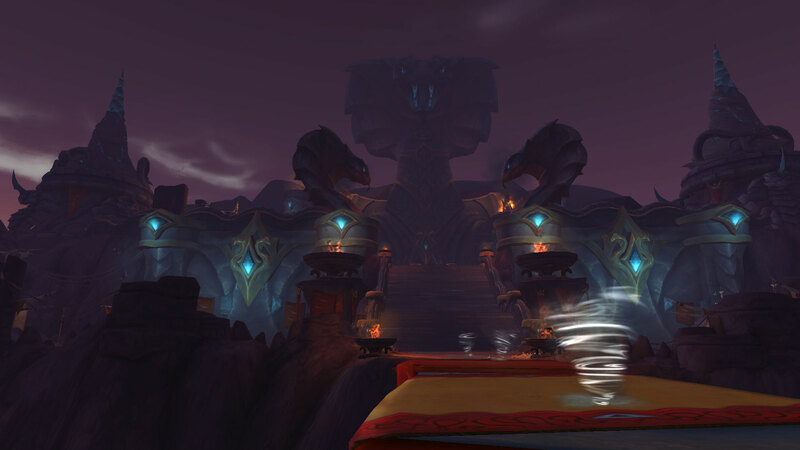 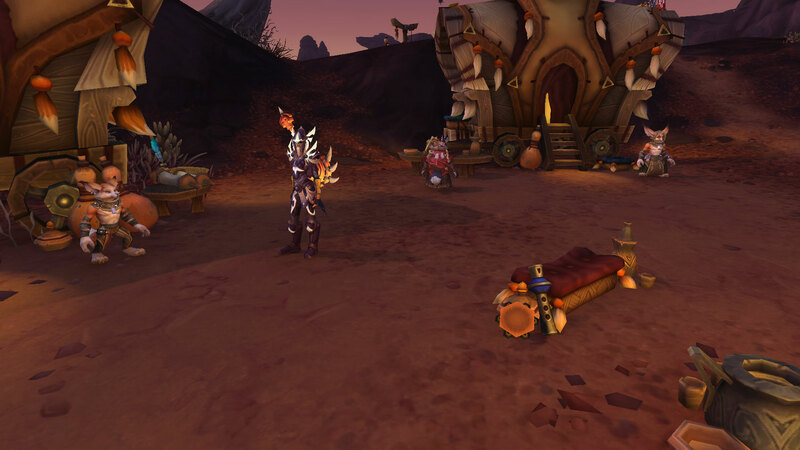 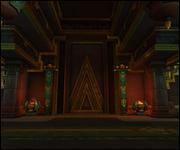 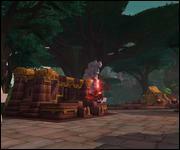 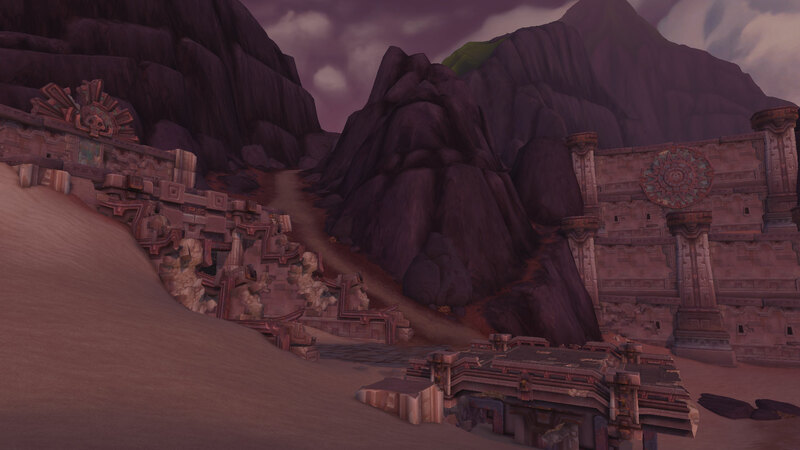 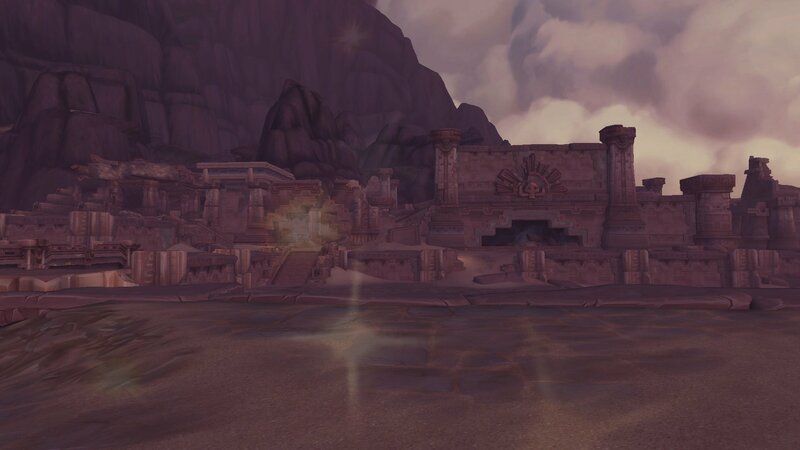 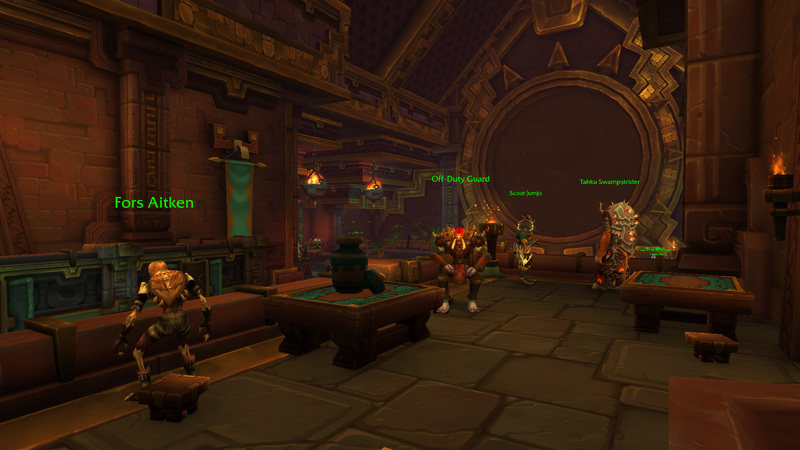 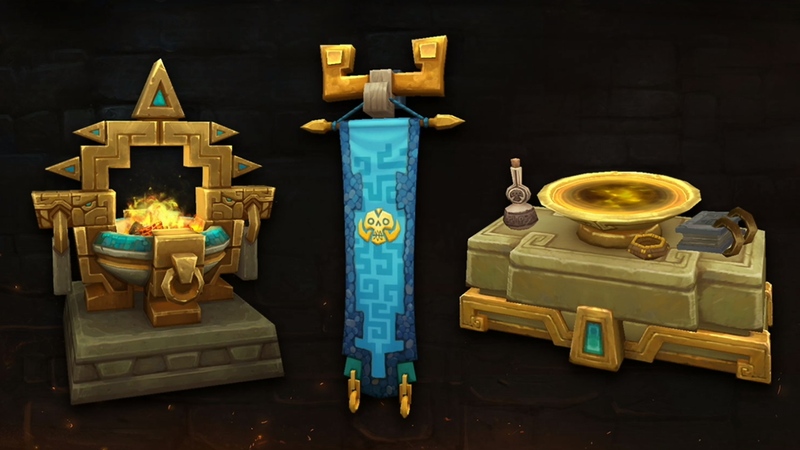 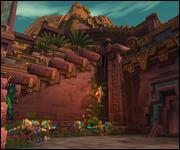 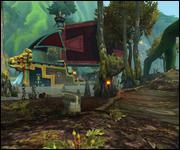 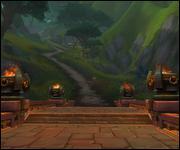 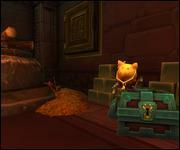 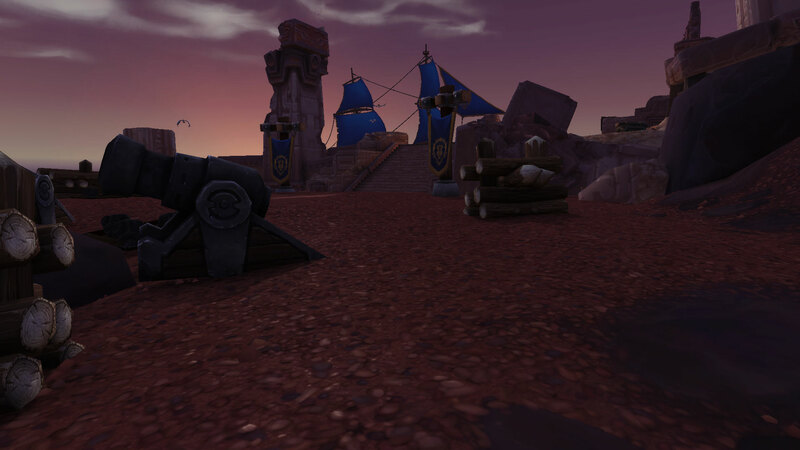 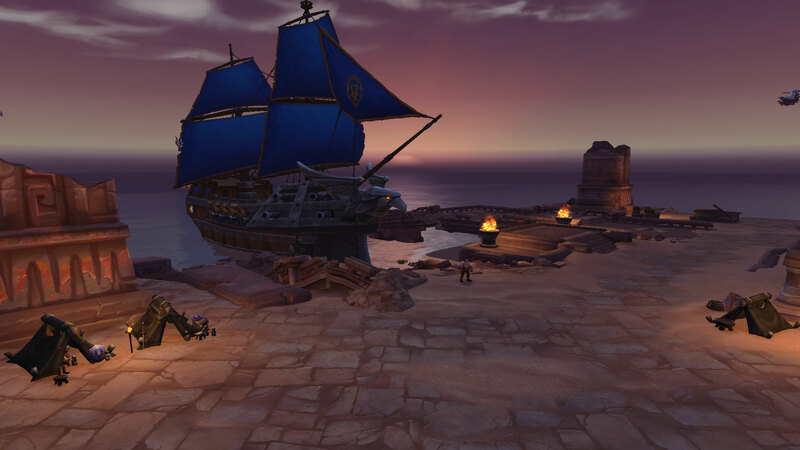 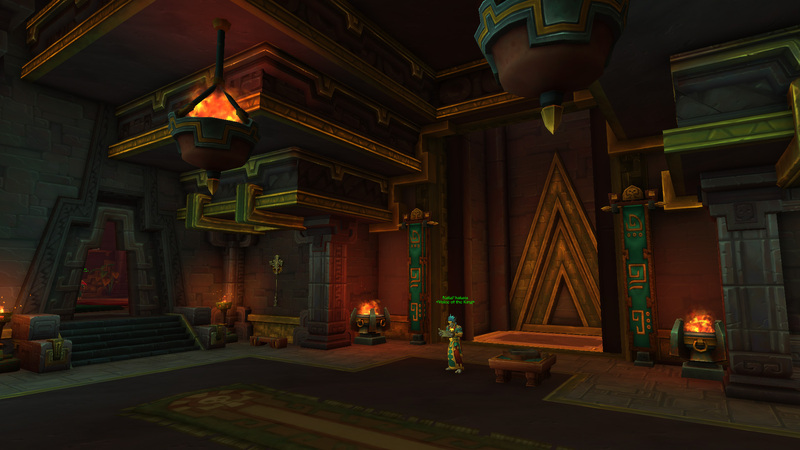 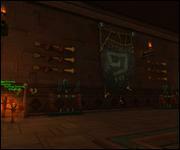 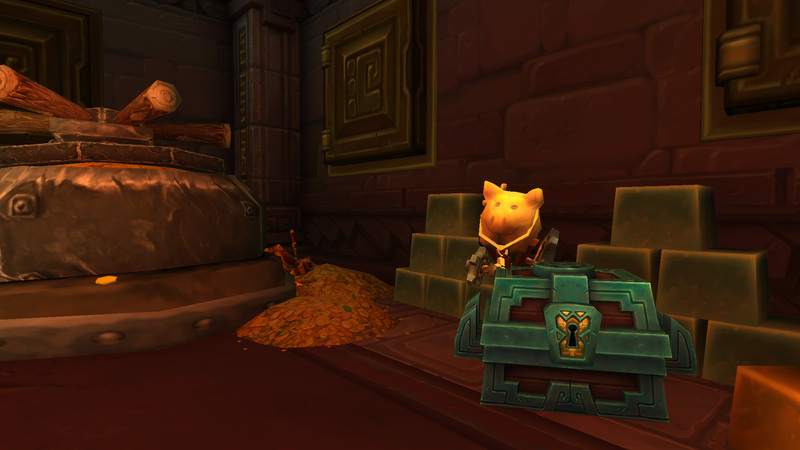 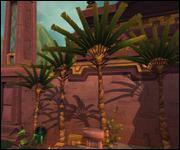 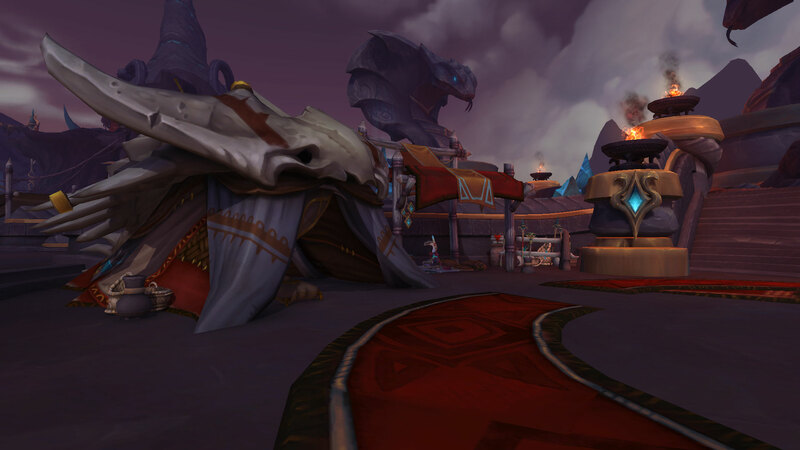 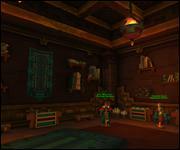 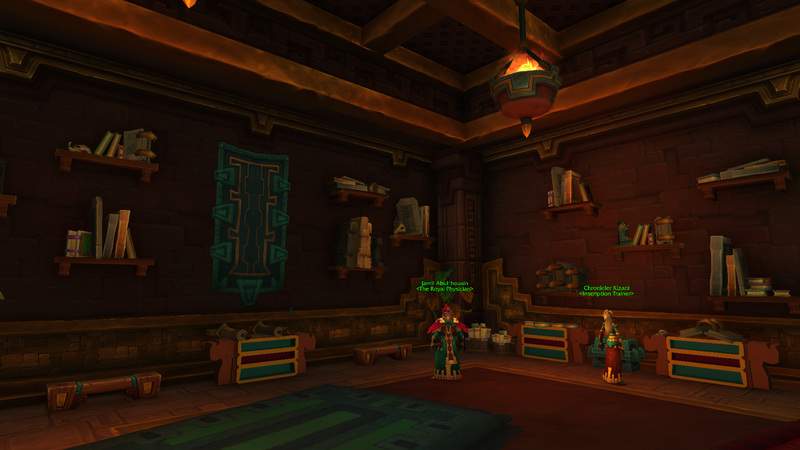 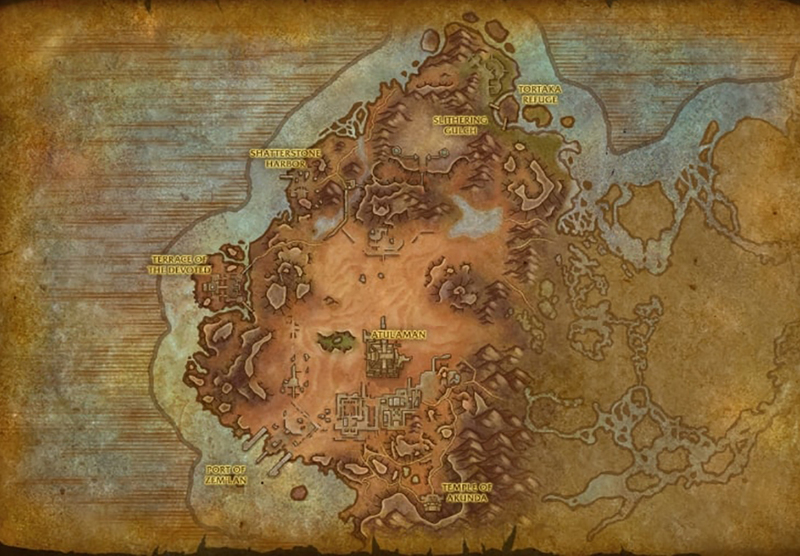 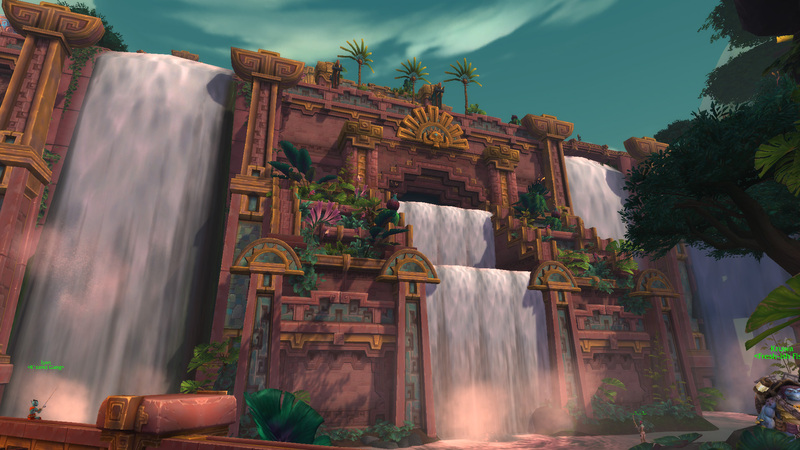 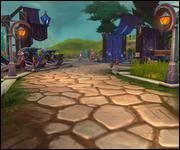 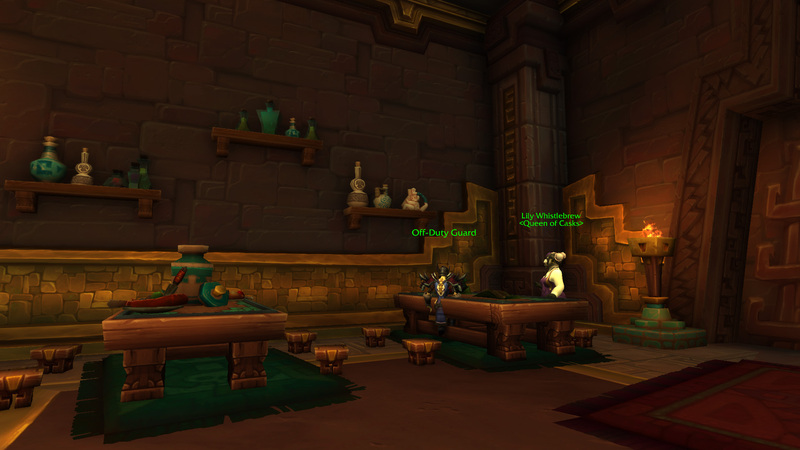 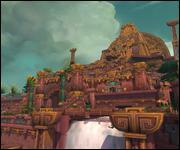 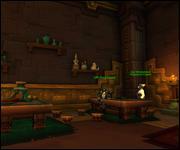 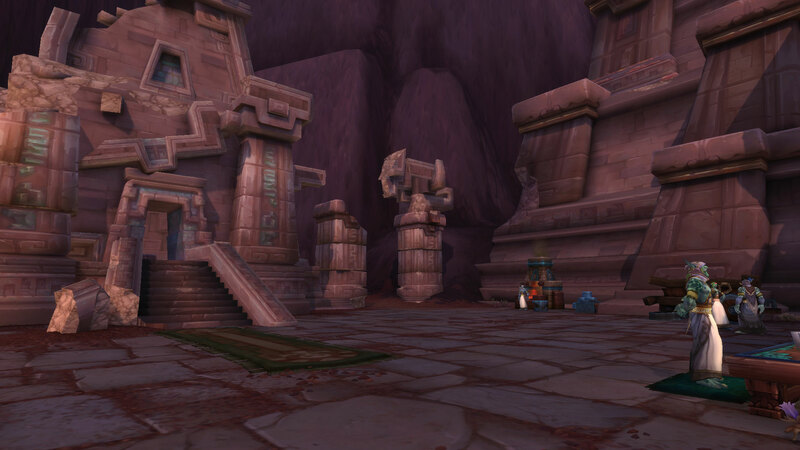 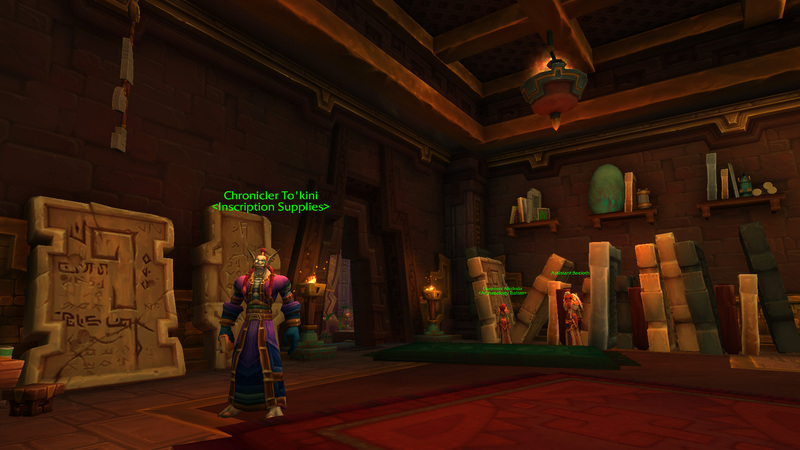 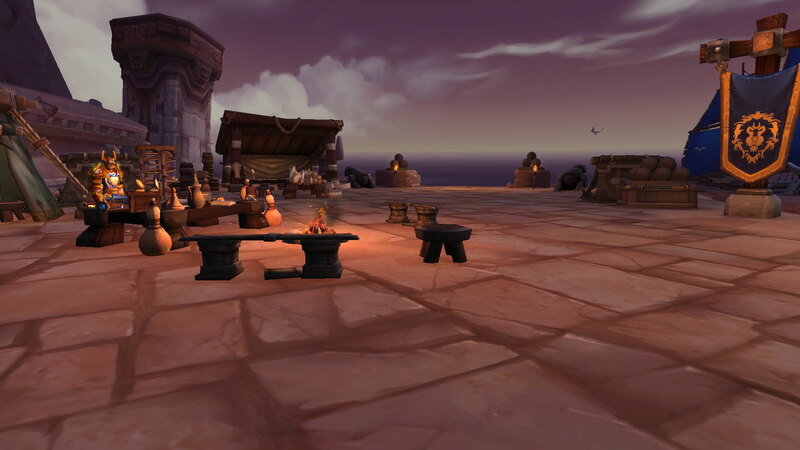 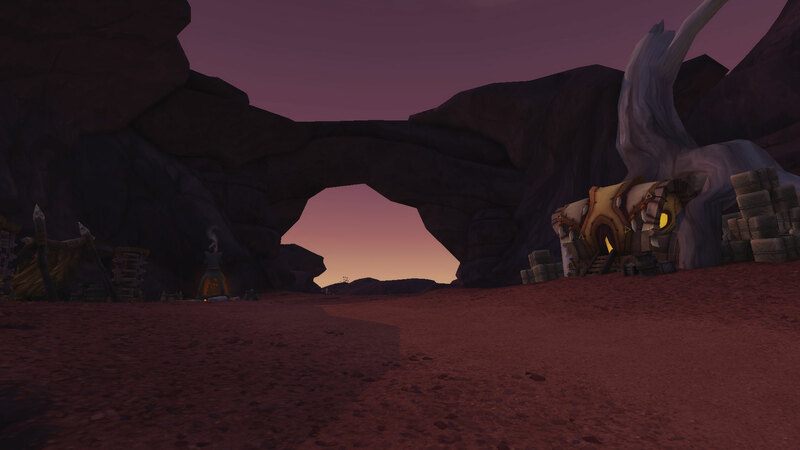 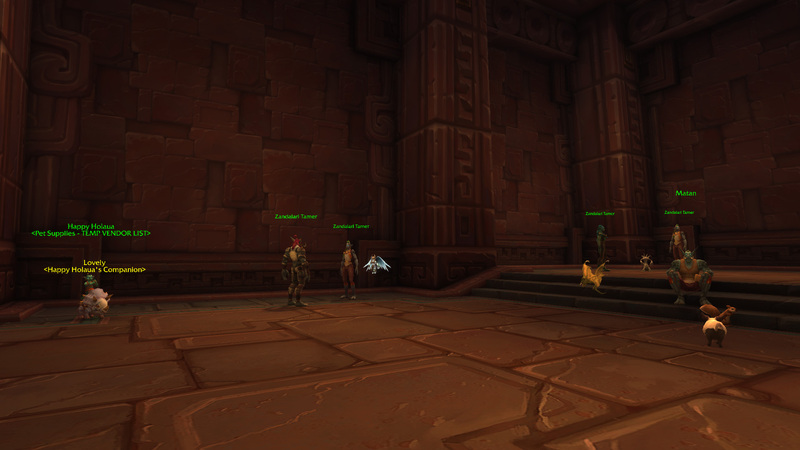 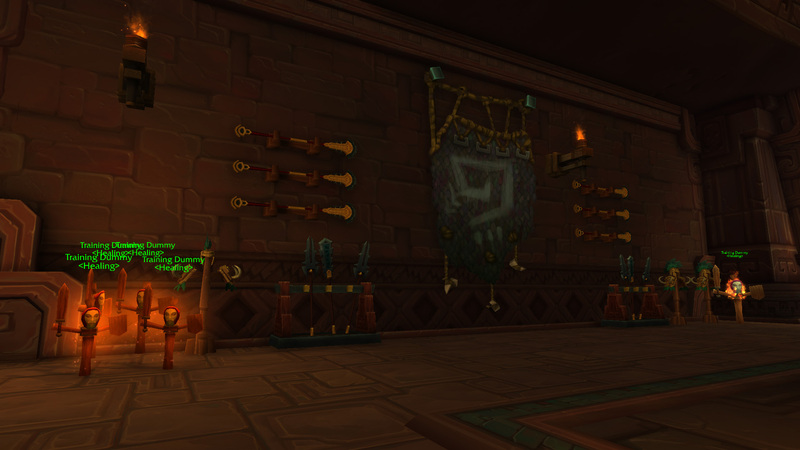 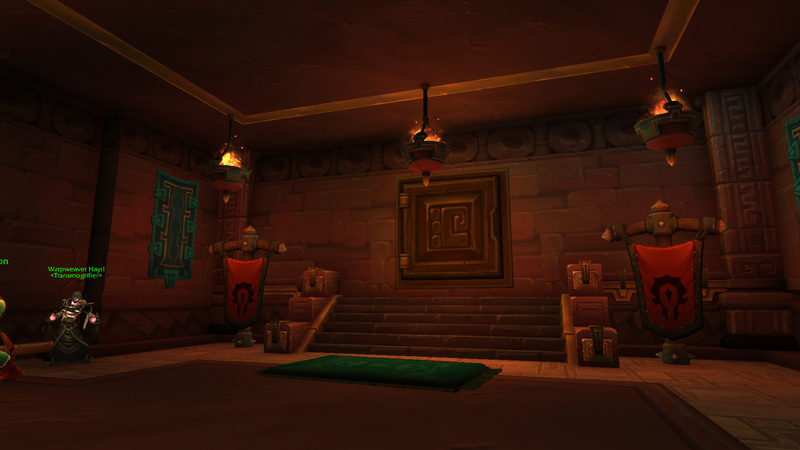 Dazar'alor is the new faction hub for the Horde. 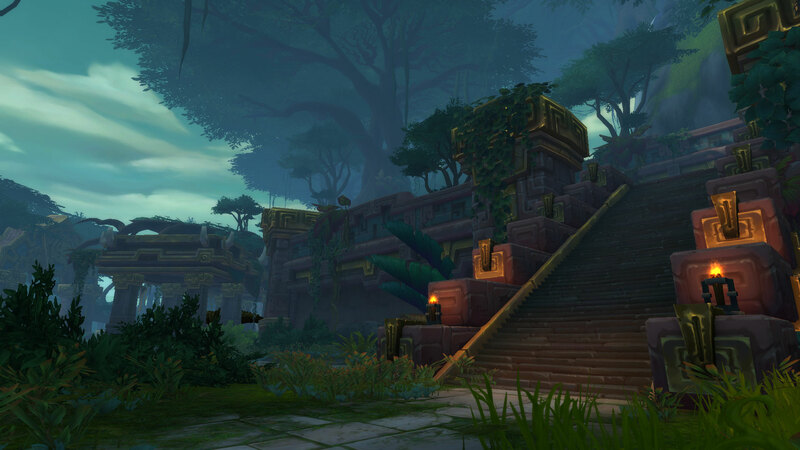 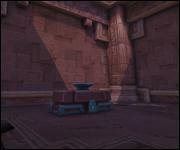 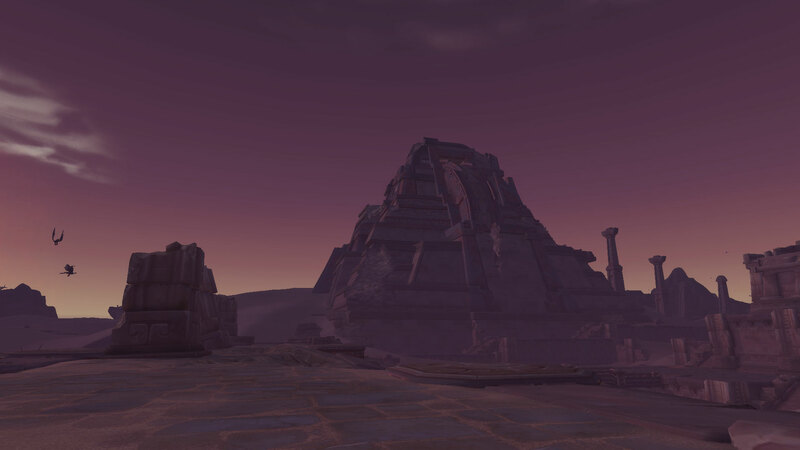 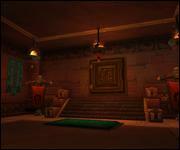 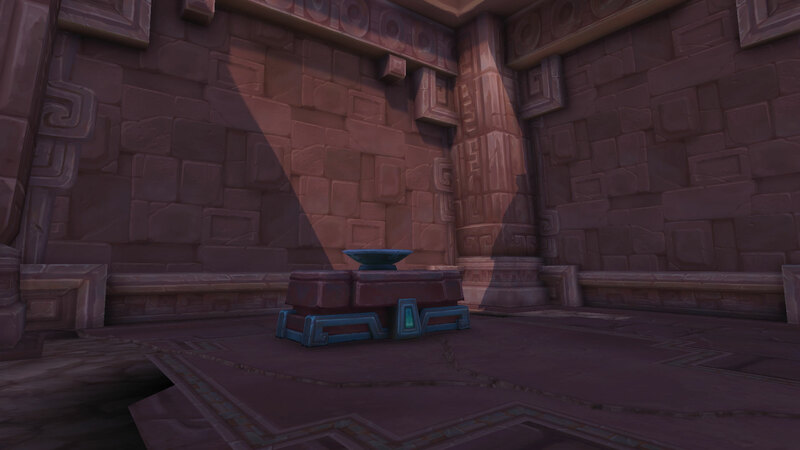 It is a giant pyramid located in the center of Zuldazar.